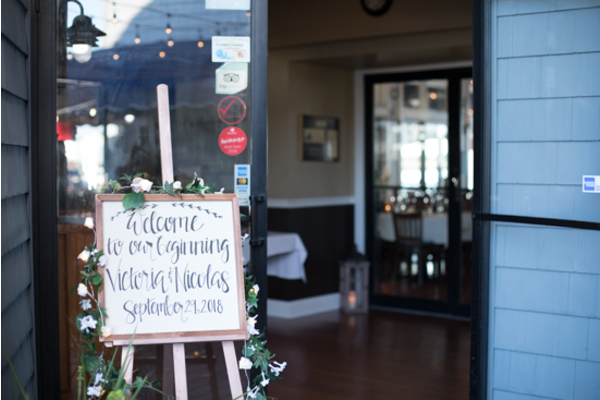 Congratulations to Victoria and Nick on their beautiful wedding! 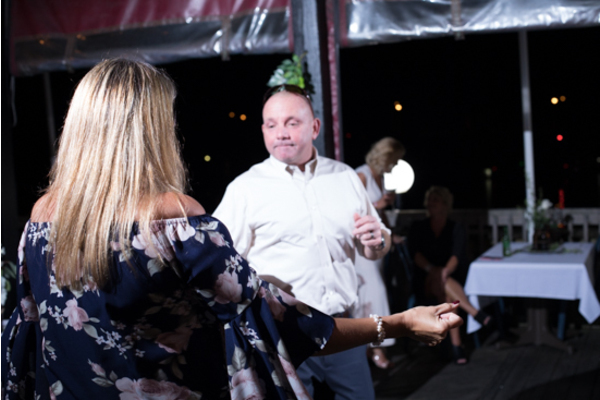 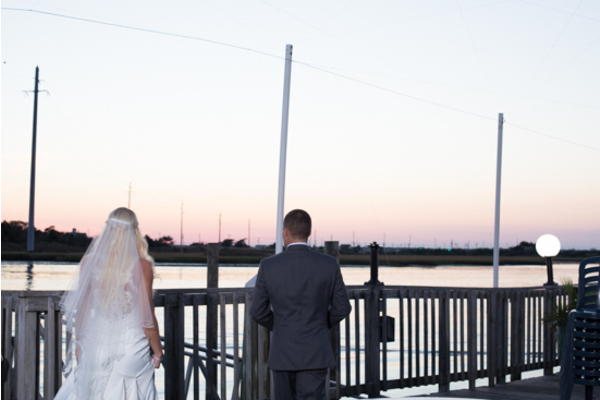 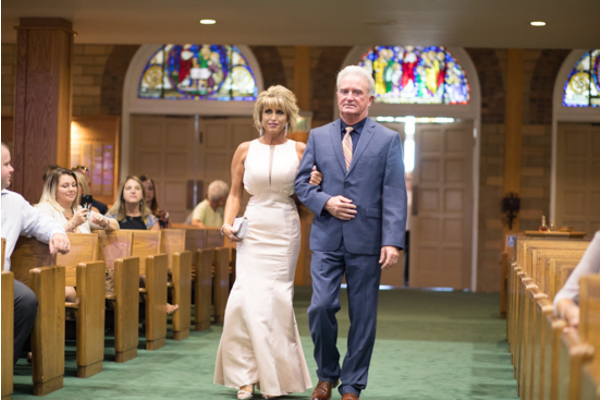 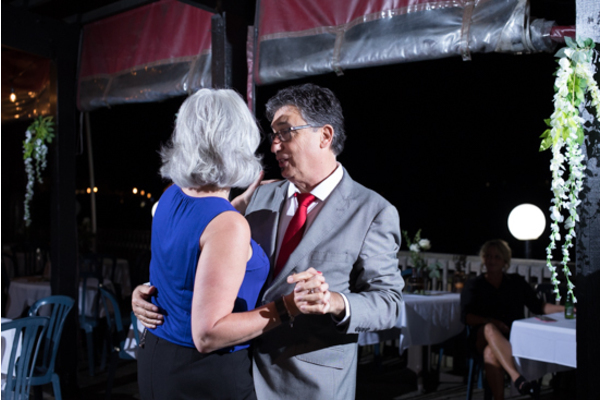 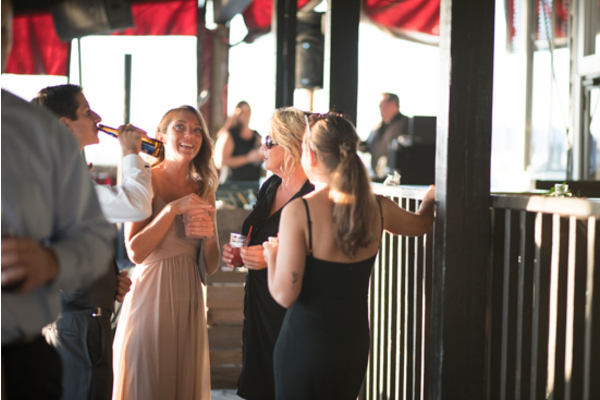 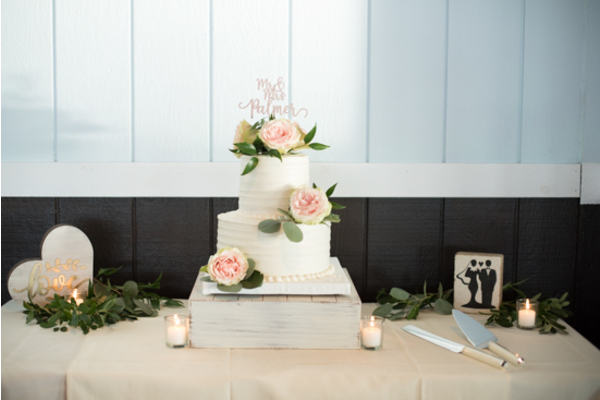 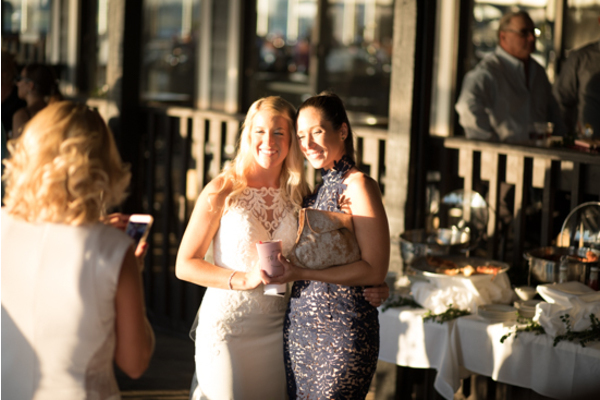 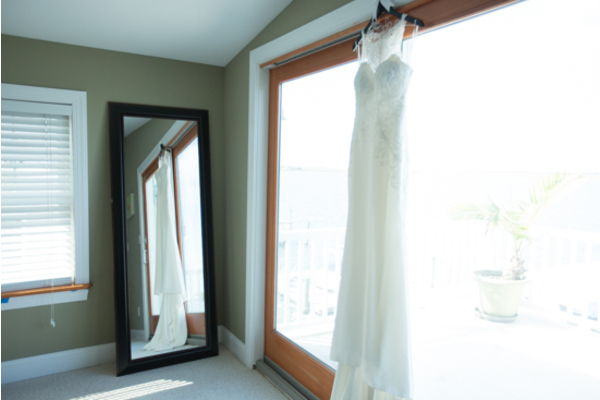 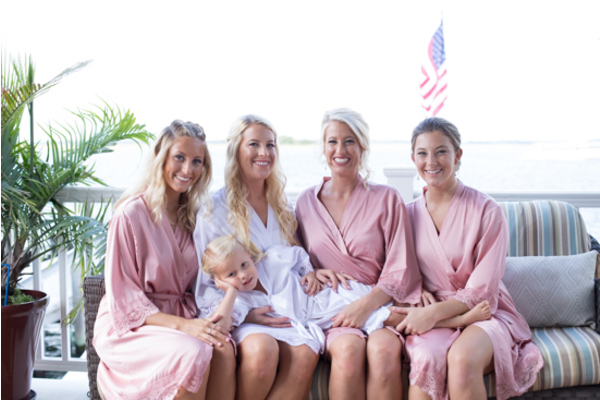 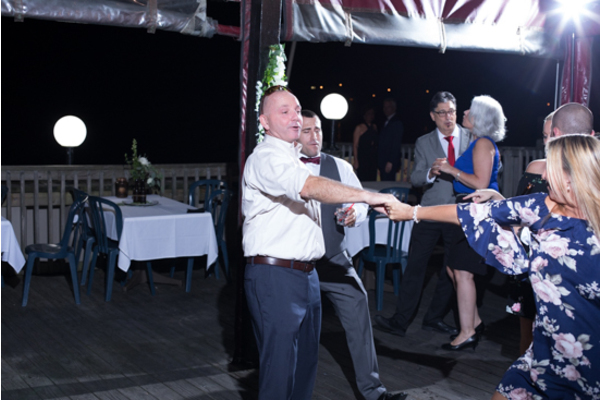 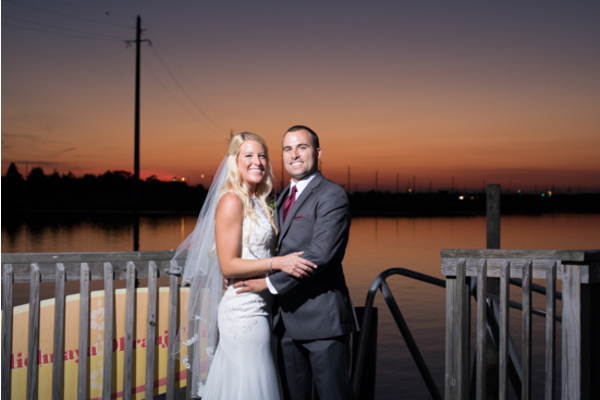 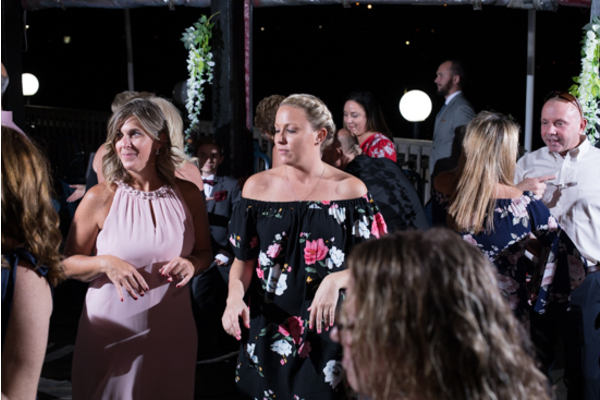 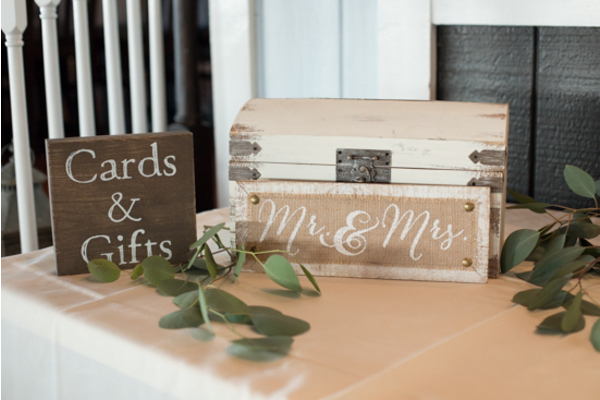 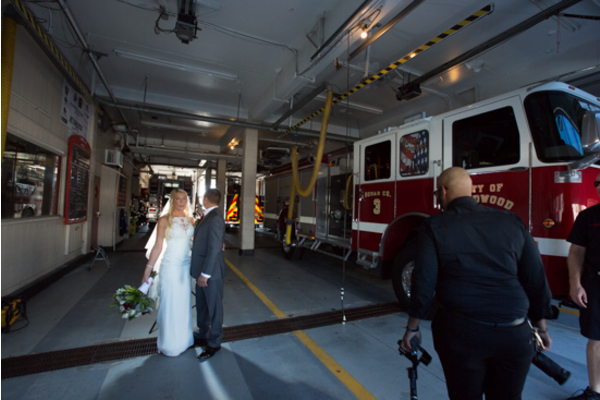 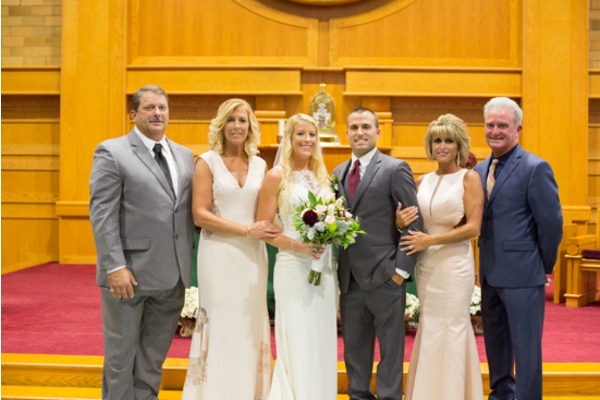 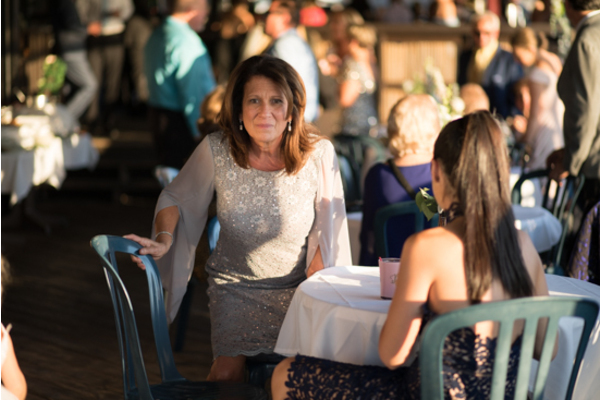 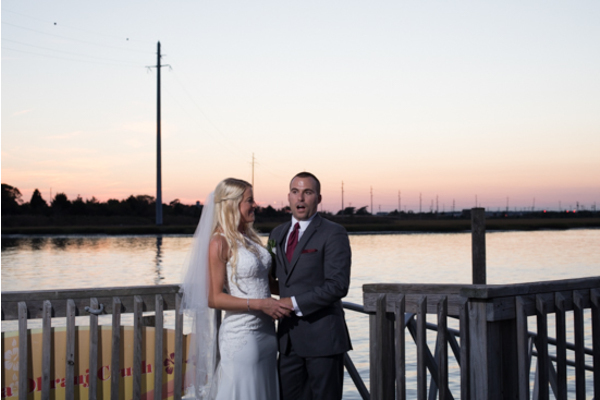 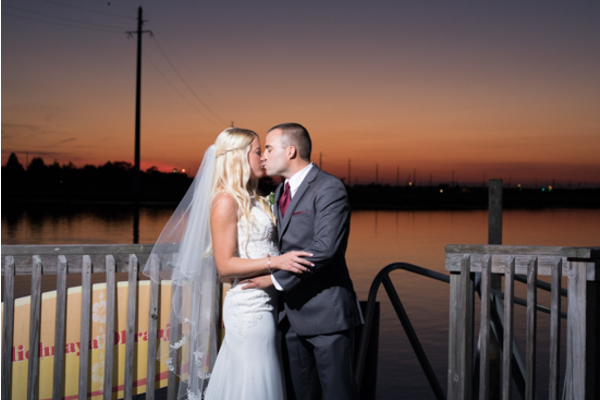 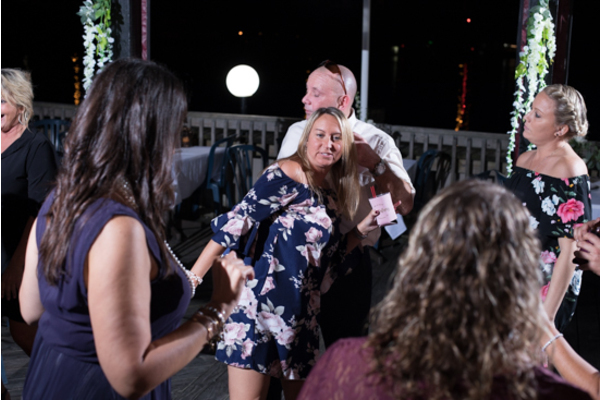 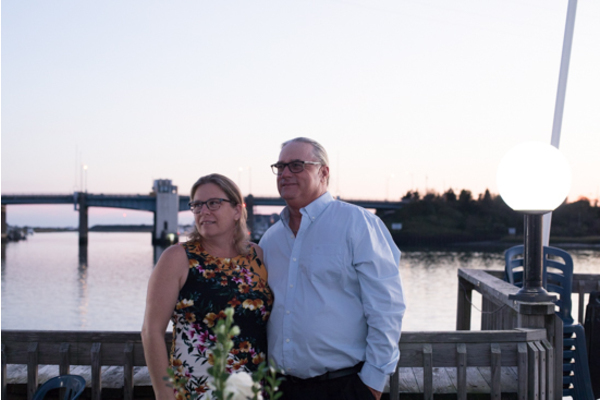 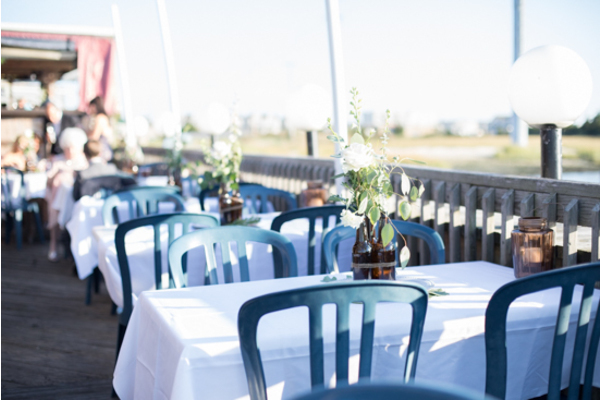 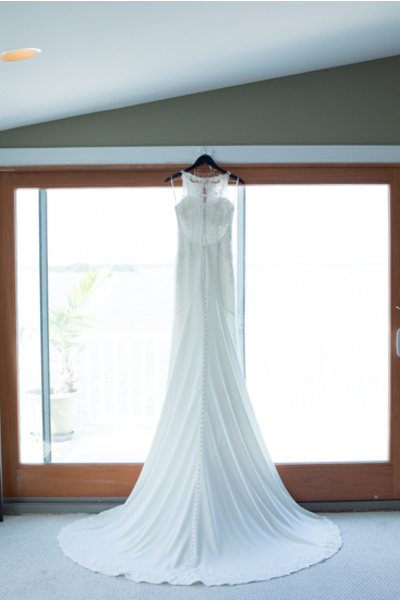 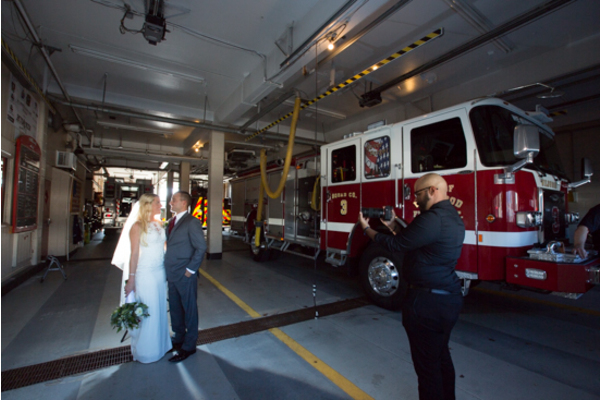 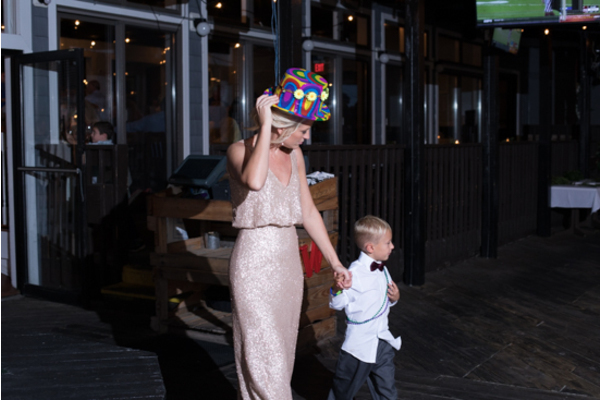 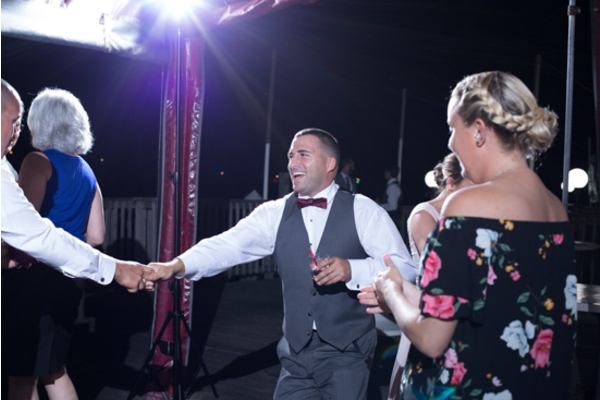 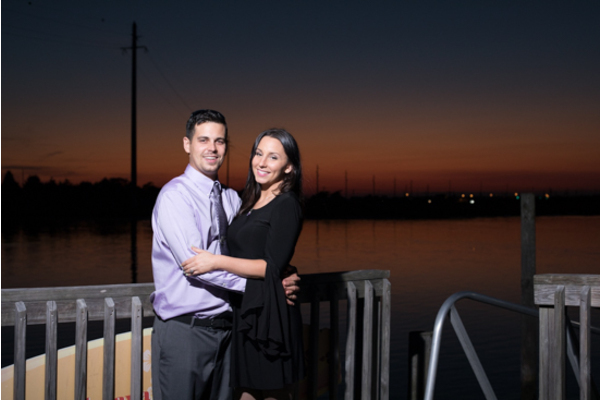 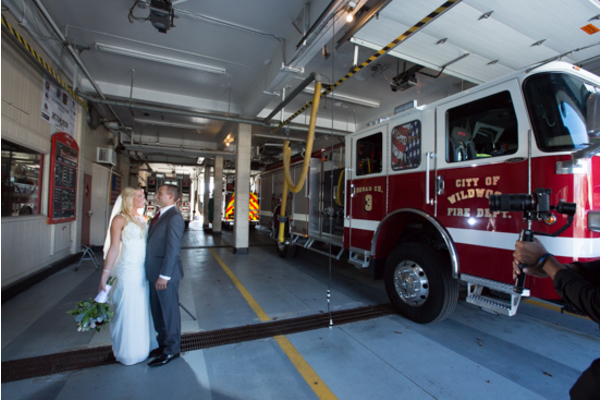 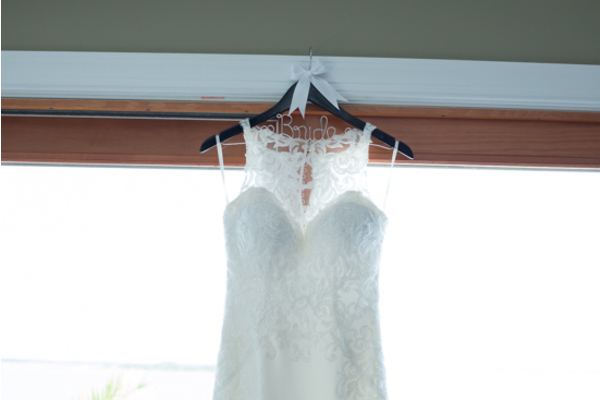 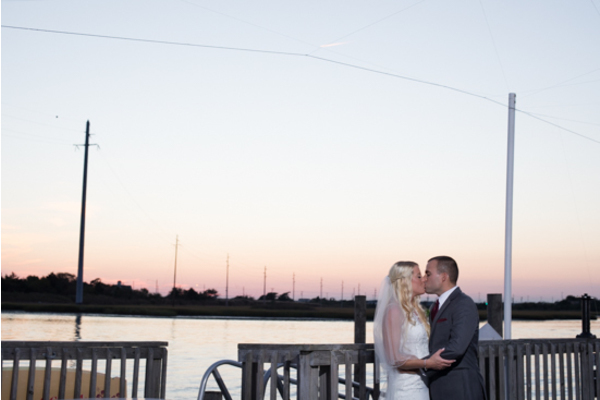 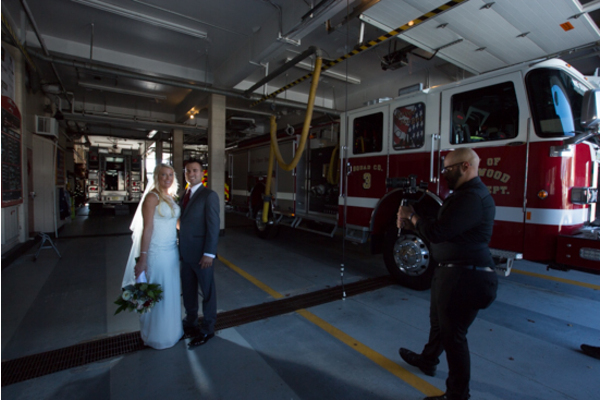 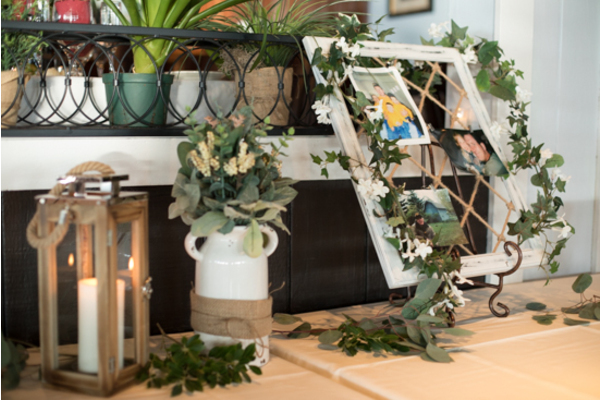 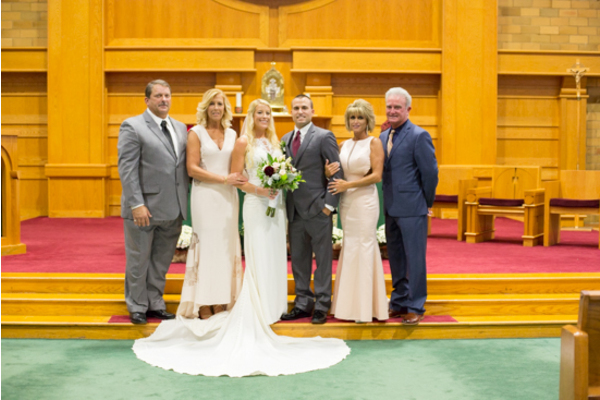 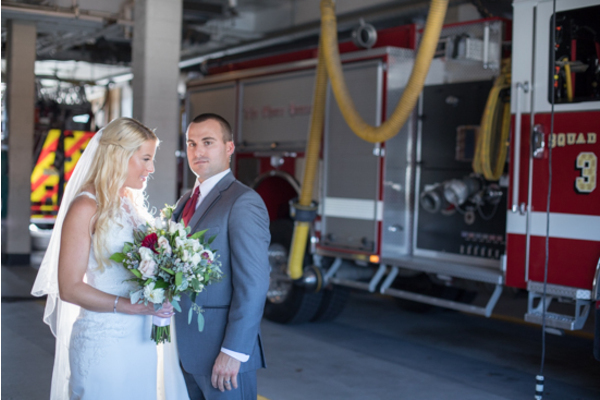 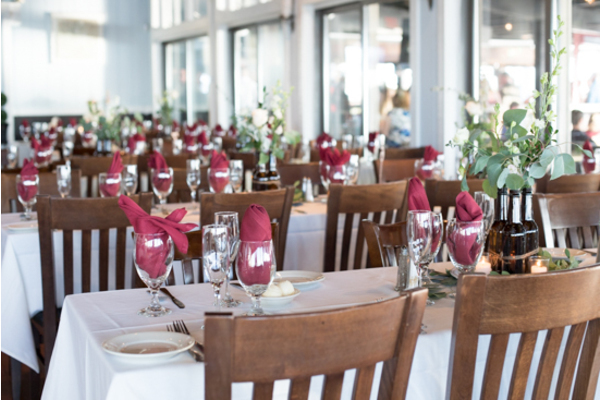 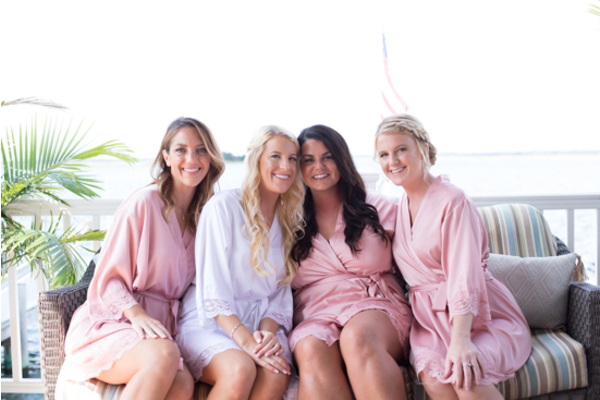 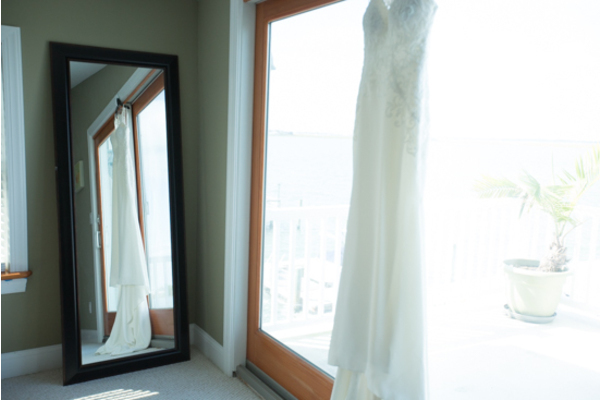 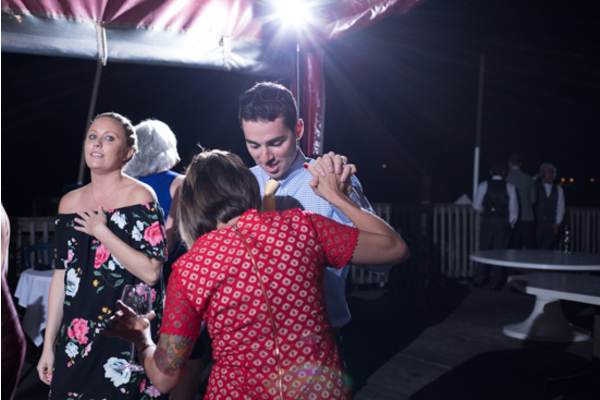 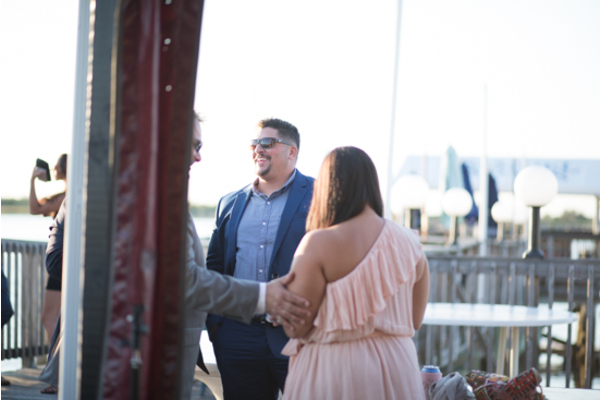 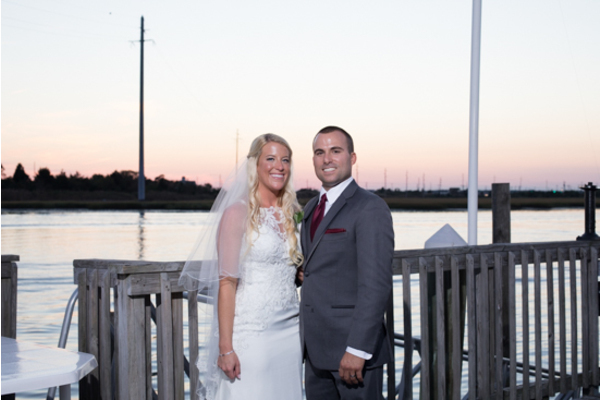 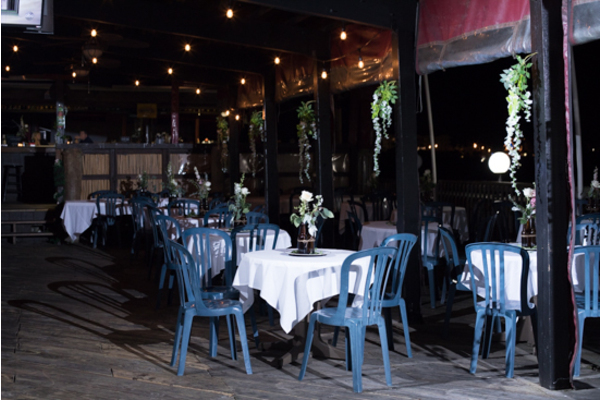 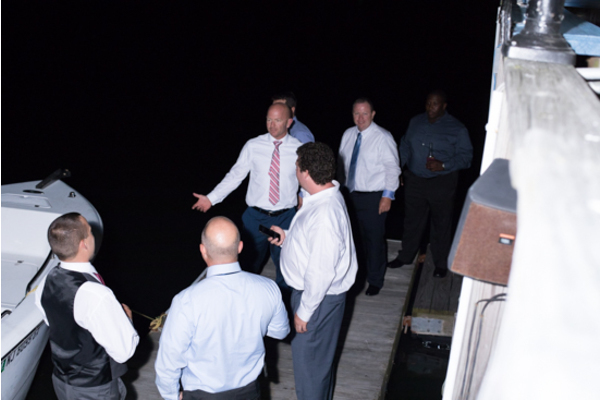 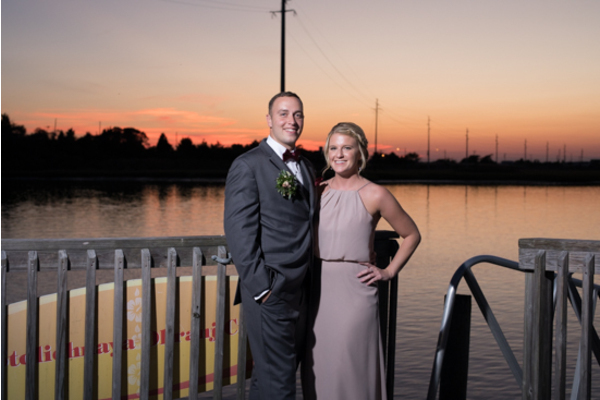 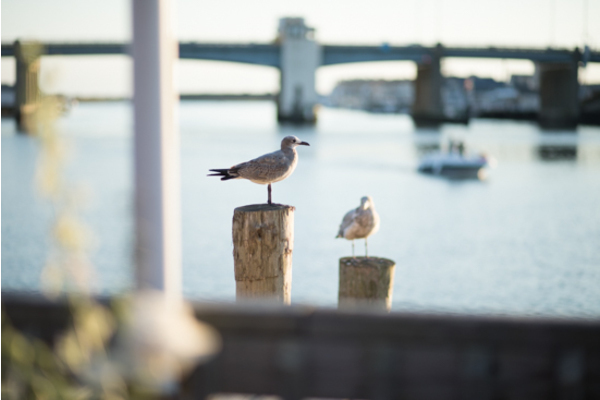 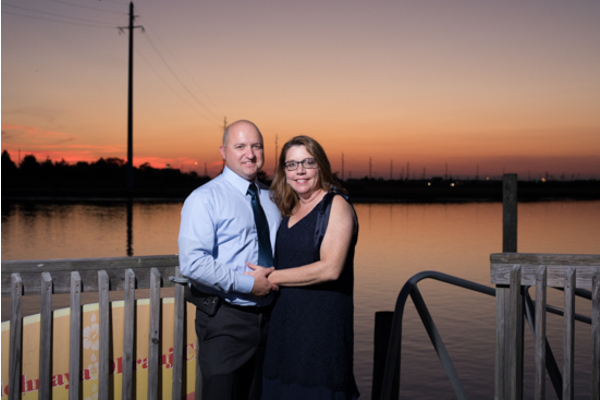 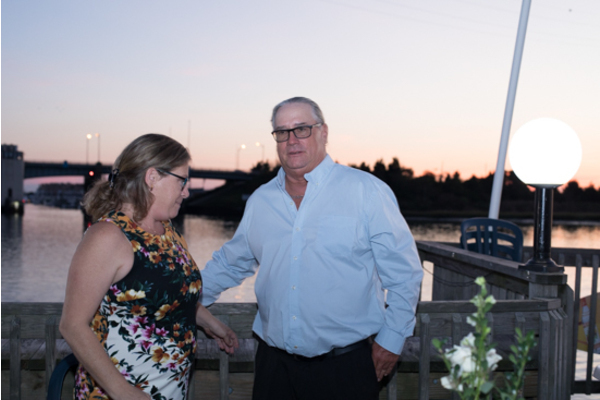 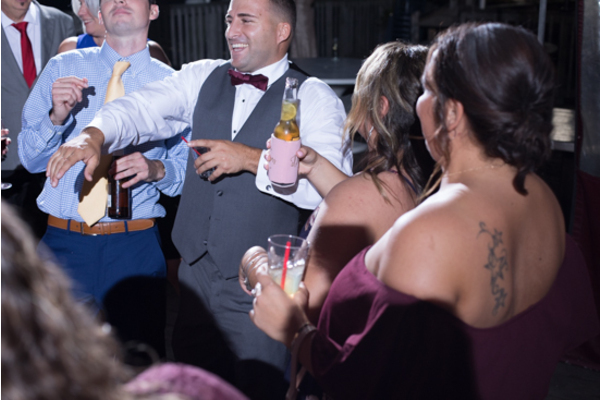 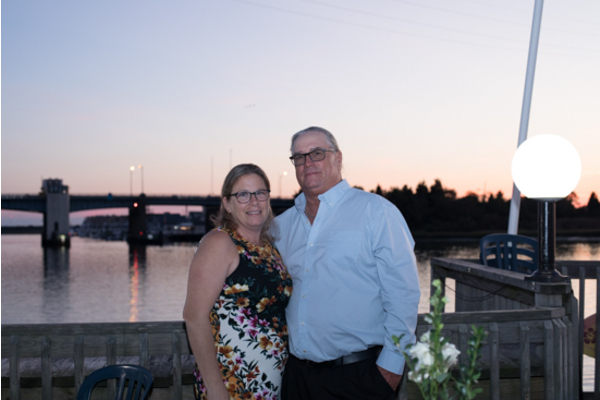 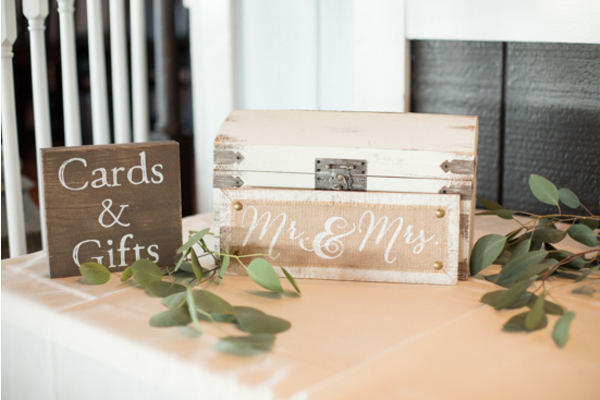 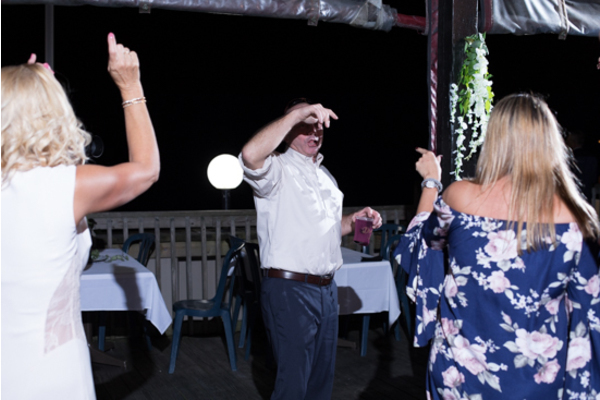 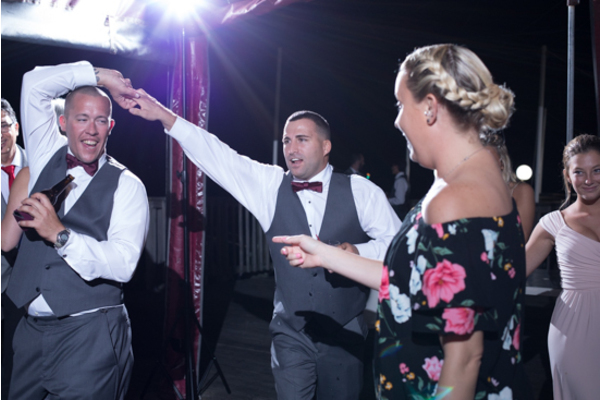 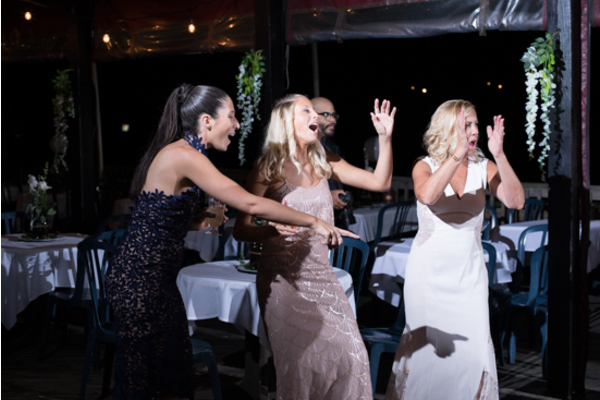 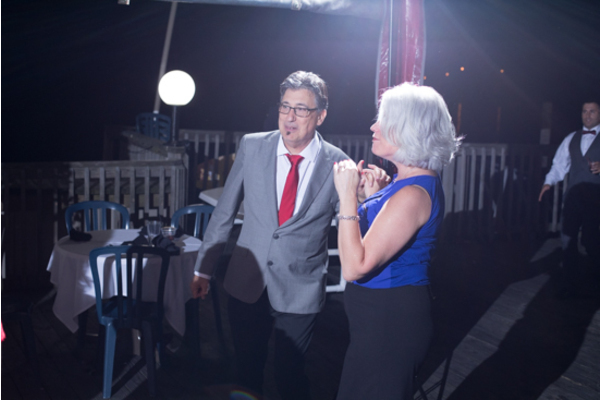 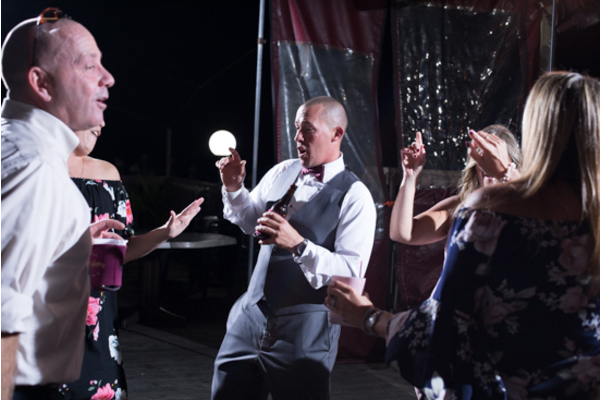 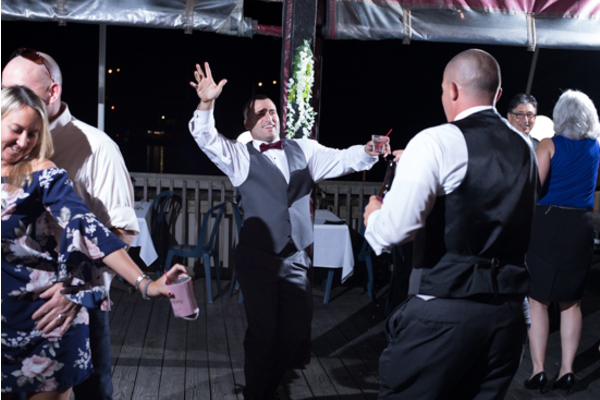 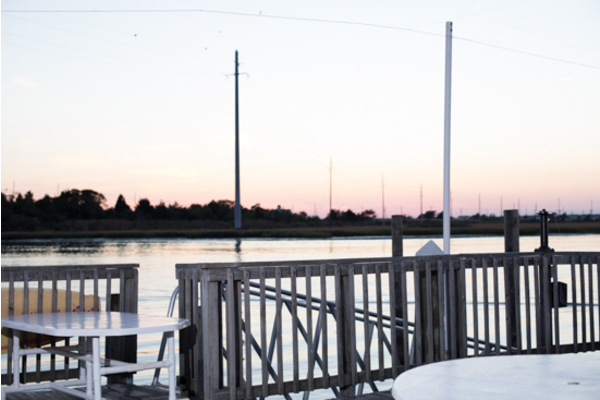 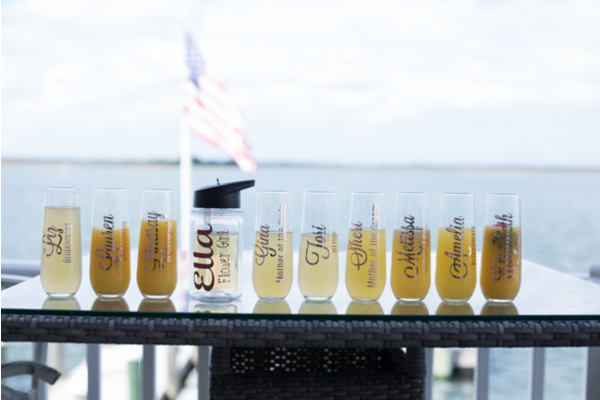 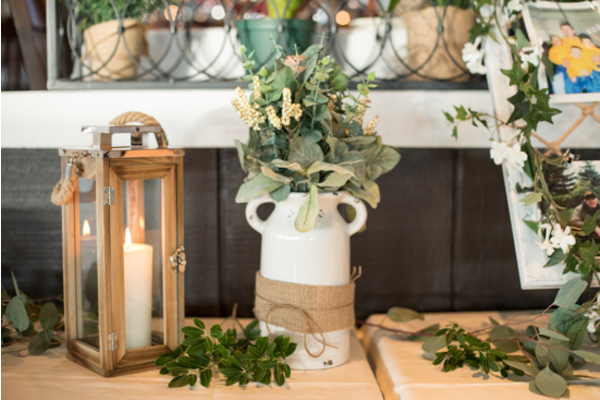 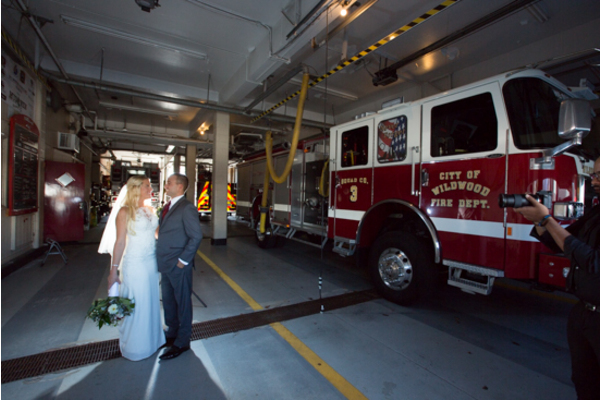 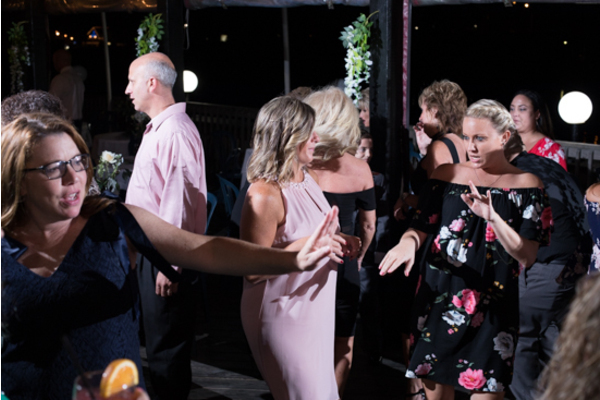 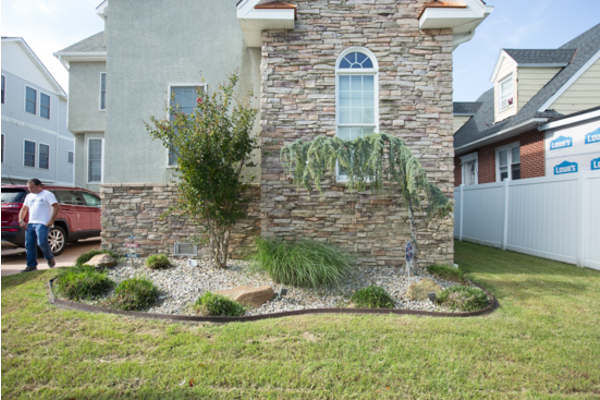 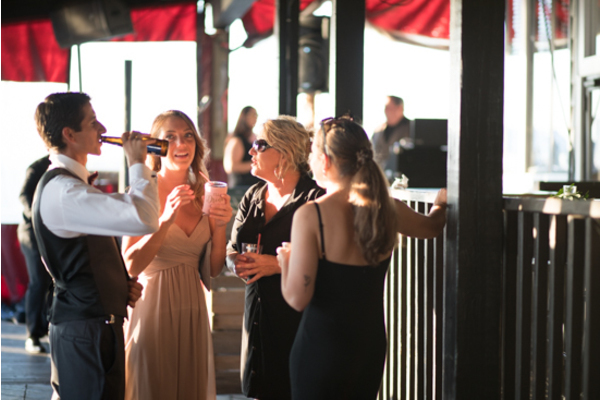 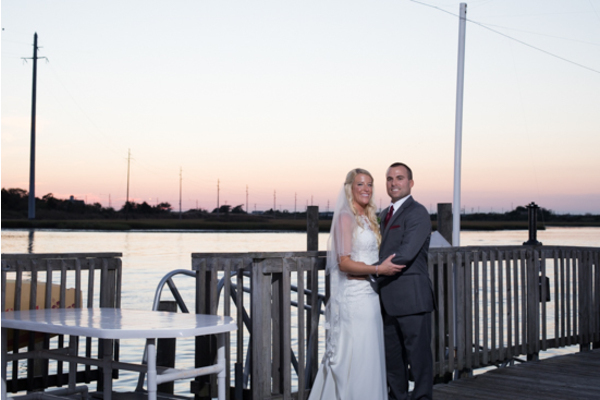 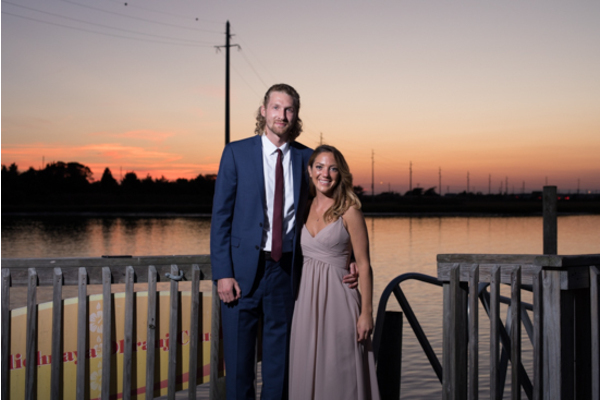 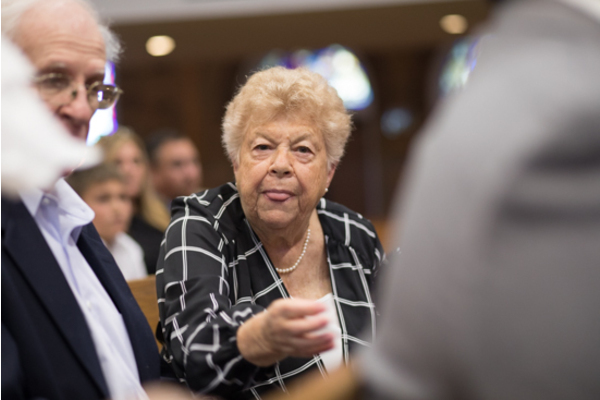 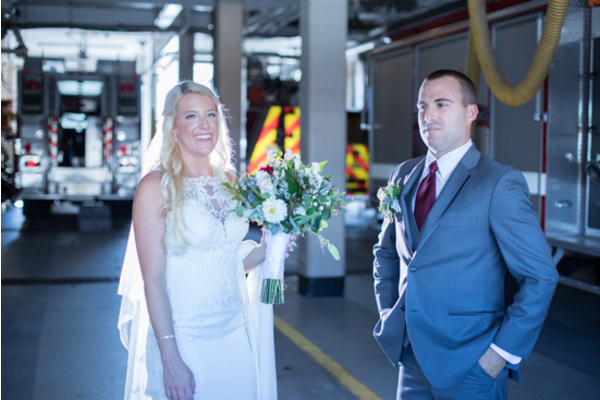 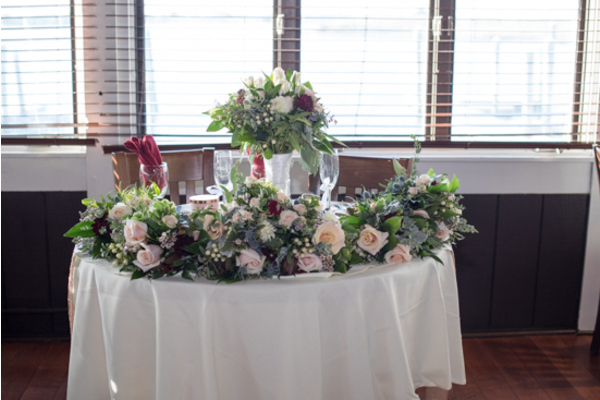 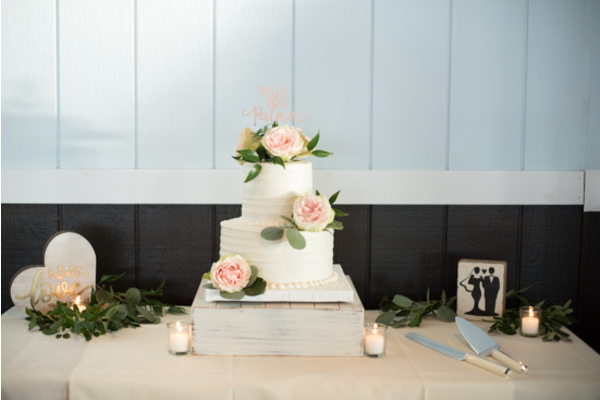 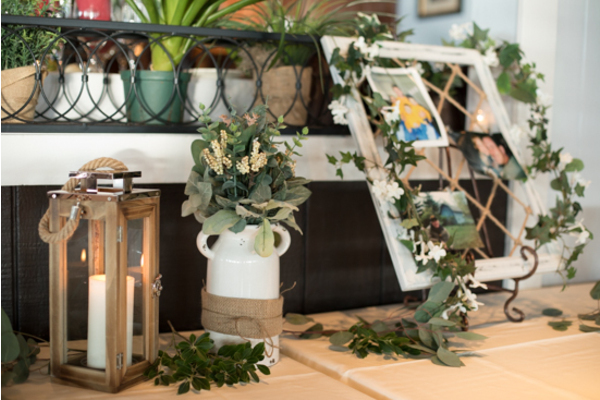 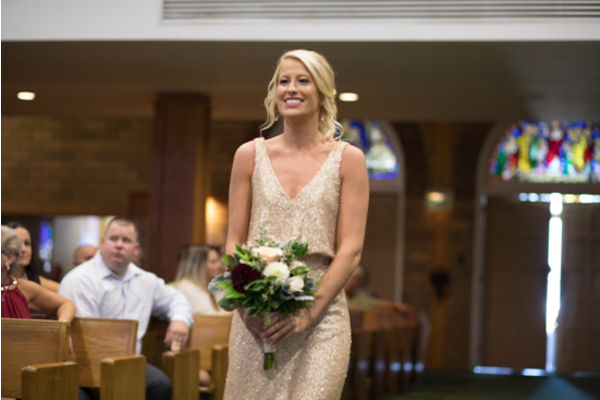 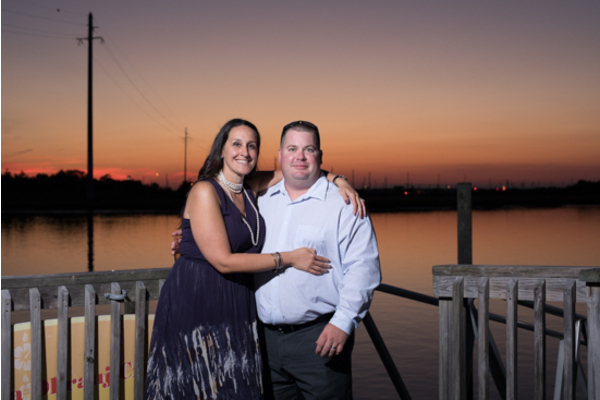 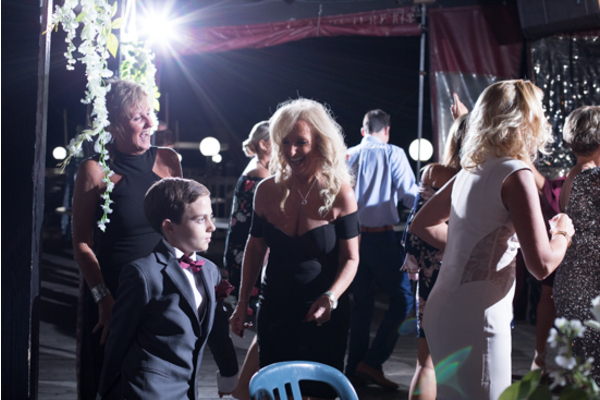 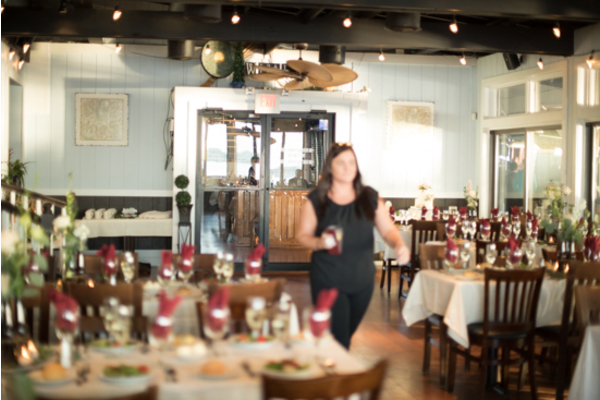 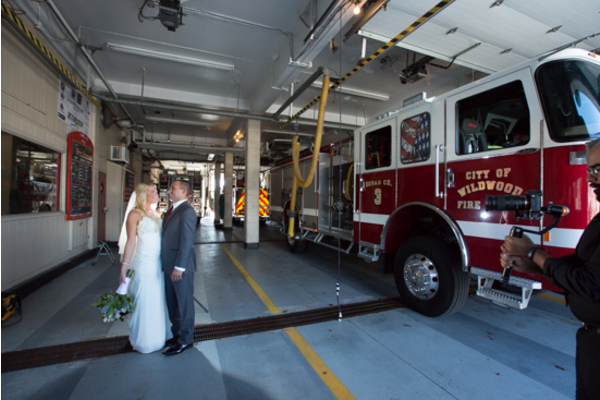 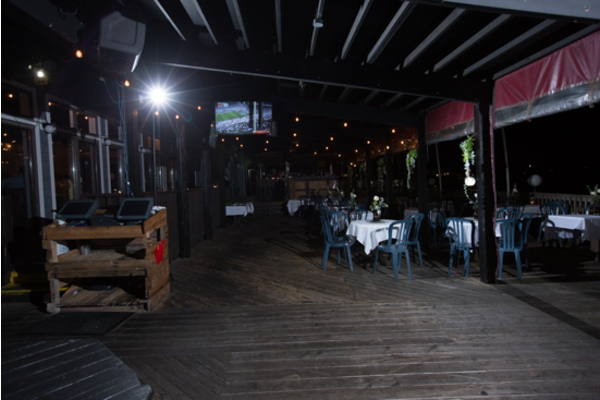 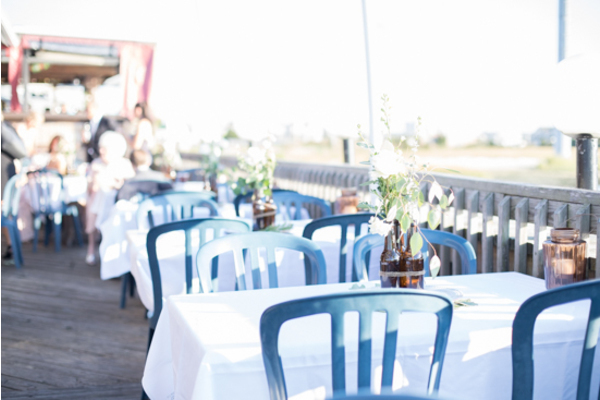 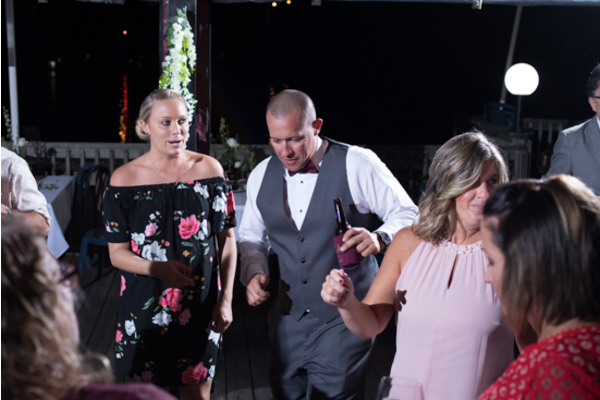 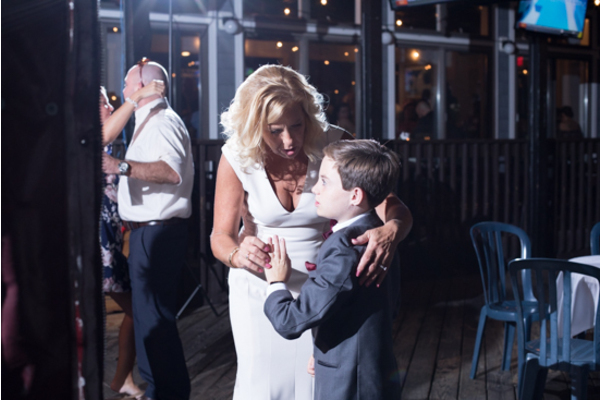 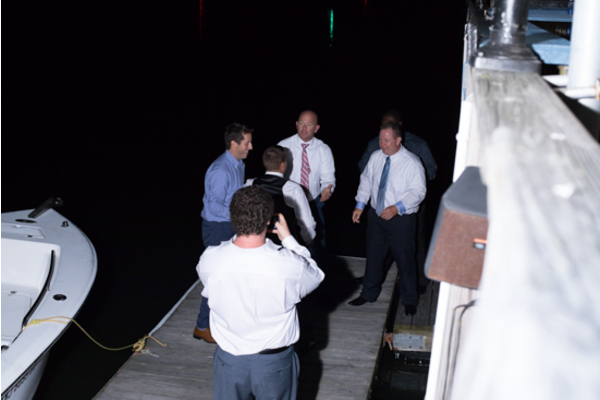 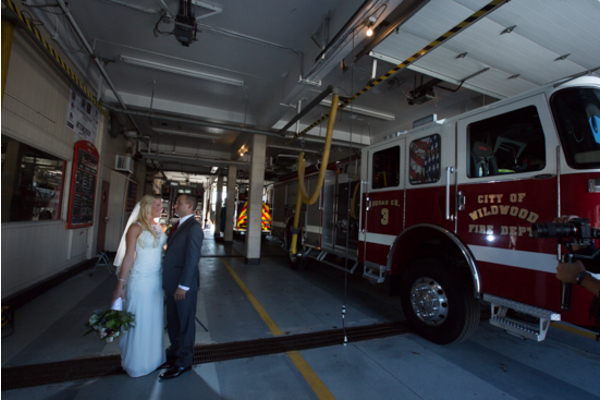 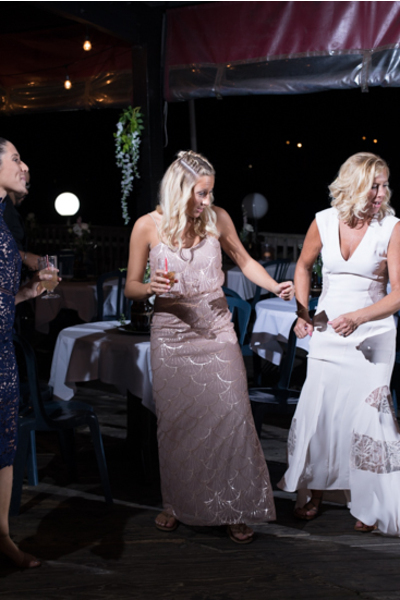 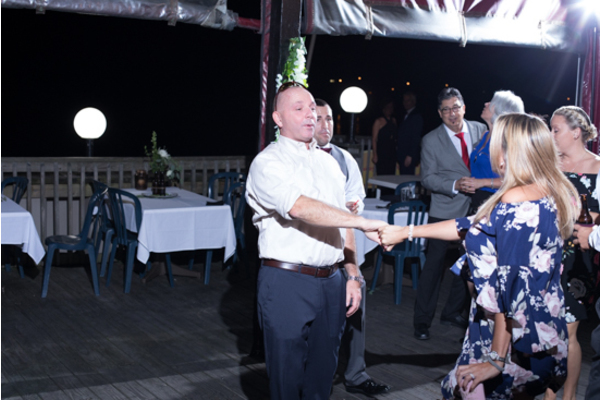 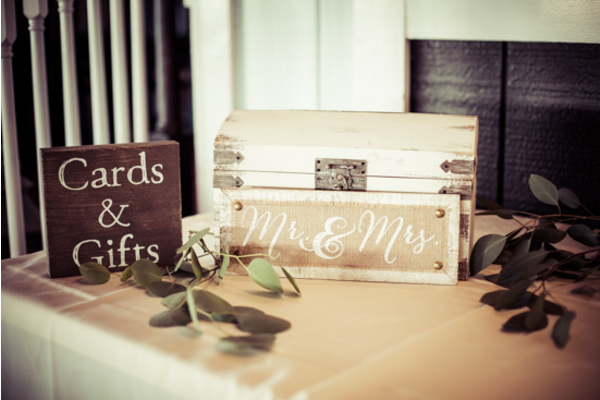 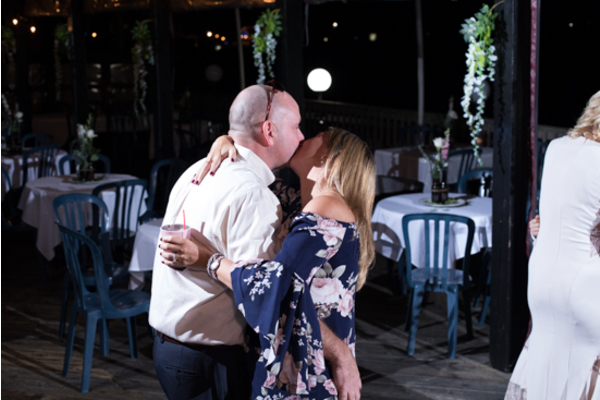 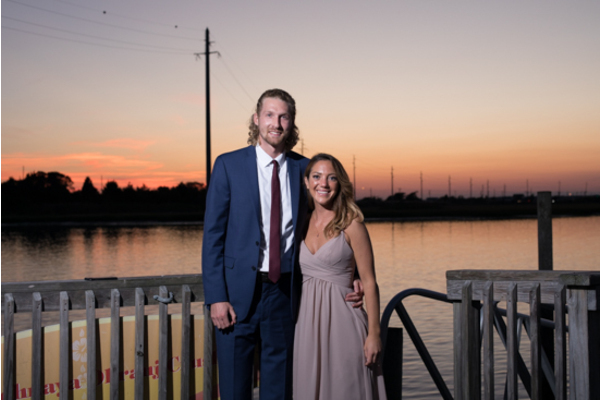 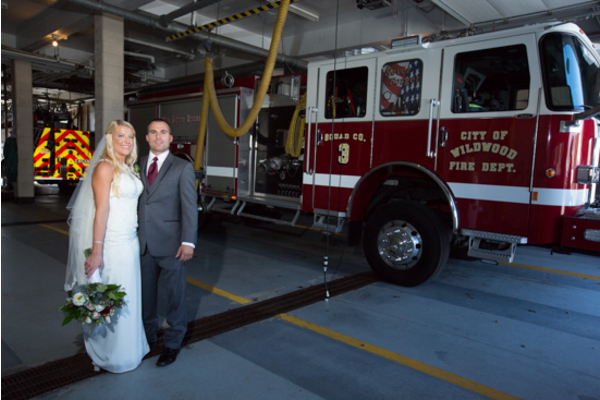 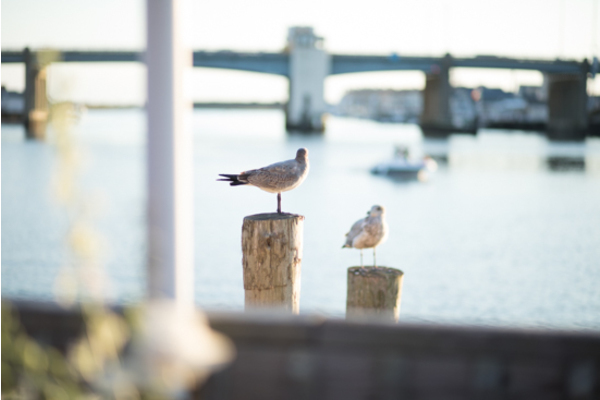 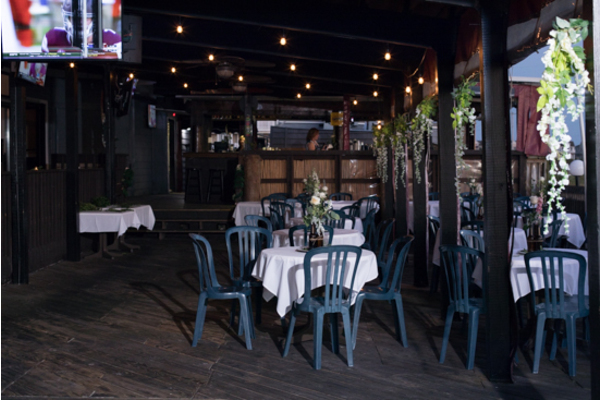 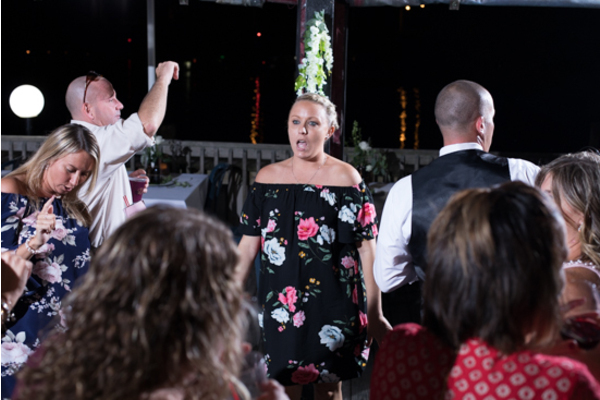 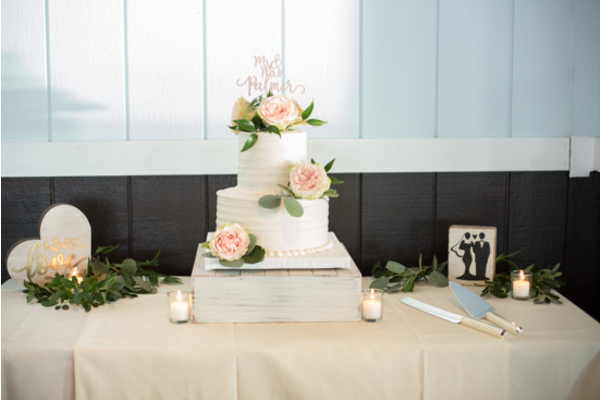 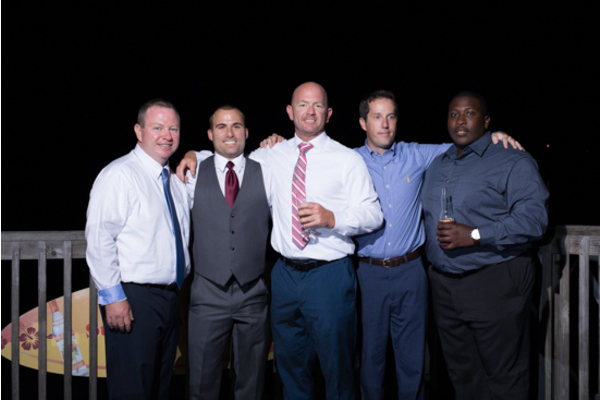 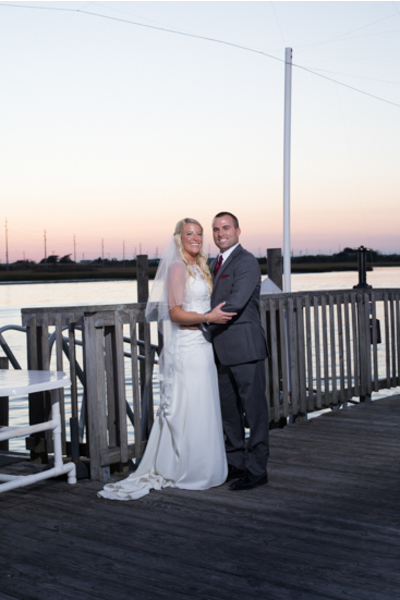 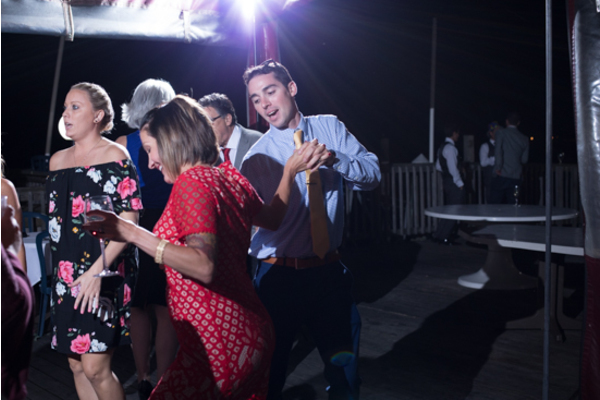 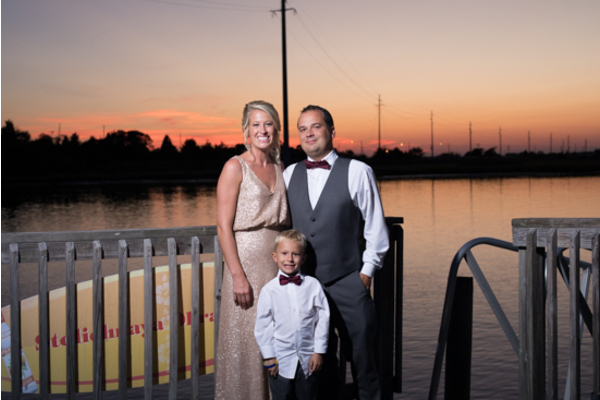 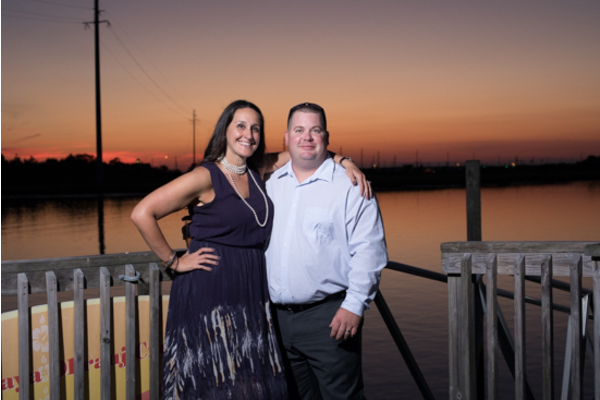 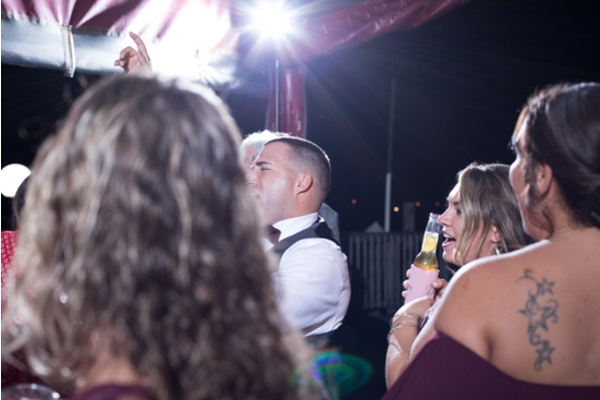 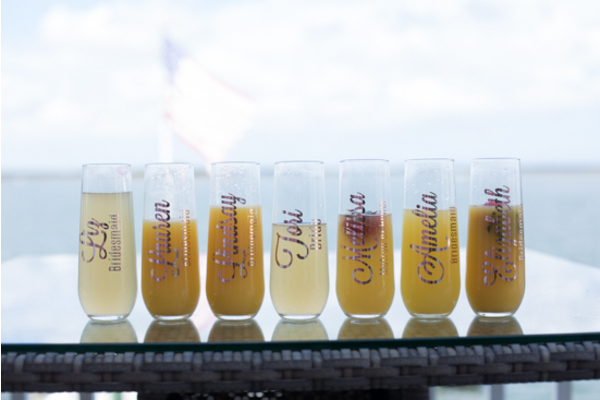 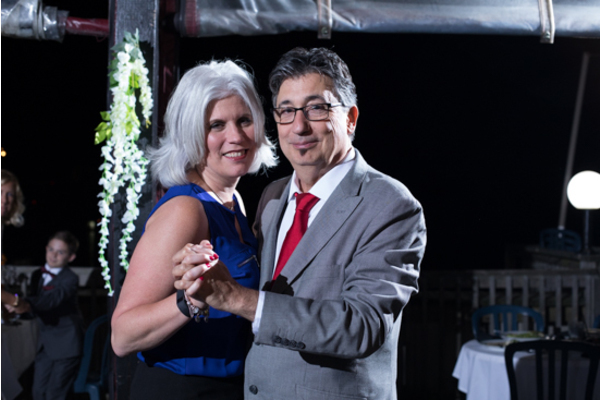 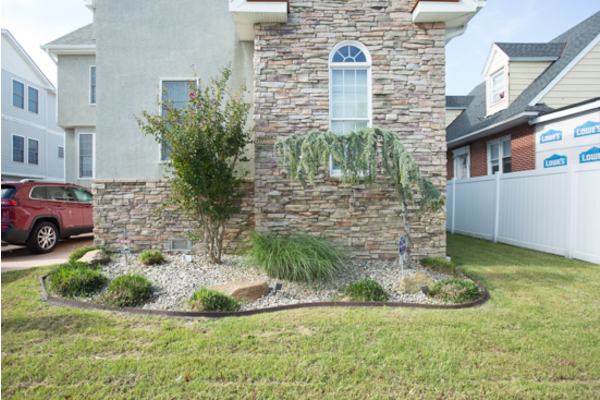 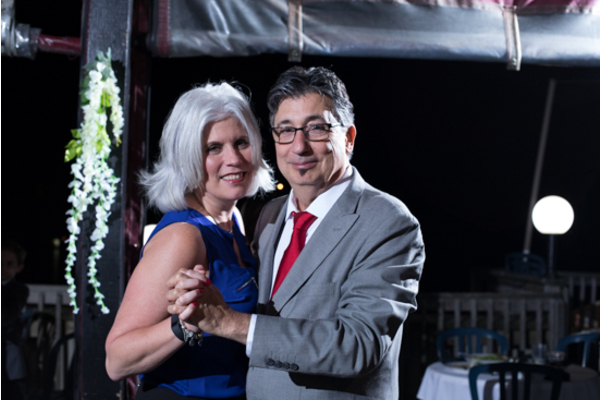 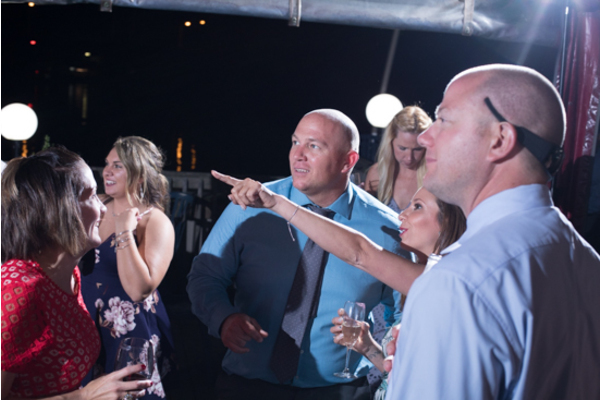 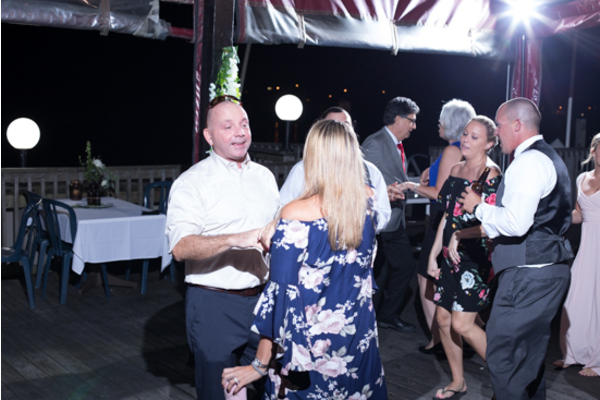 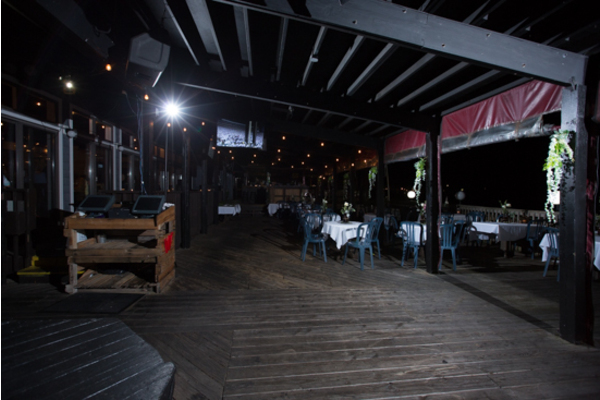 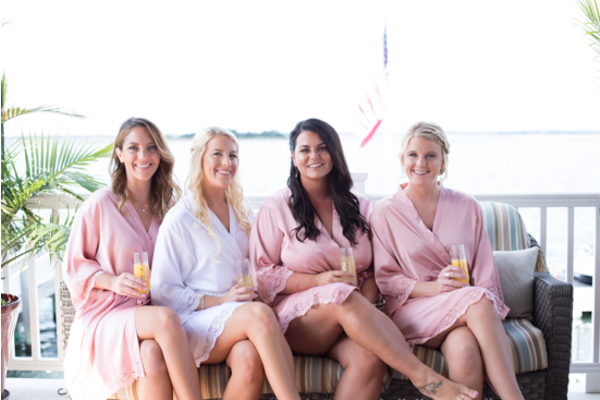 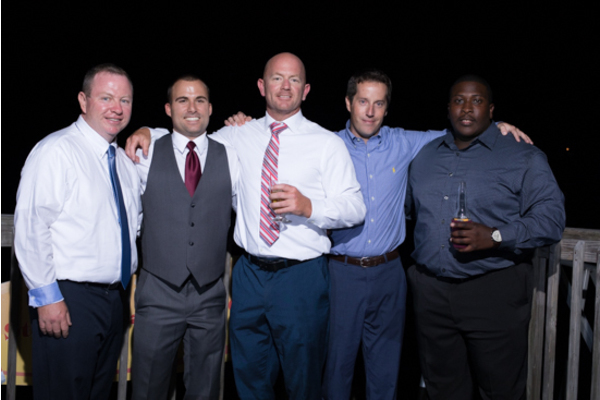 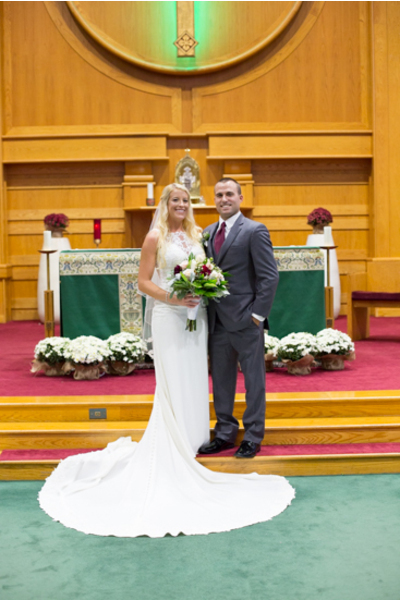 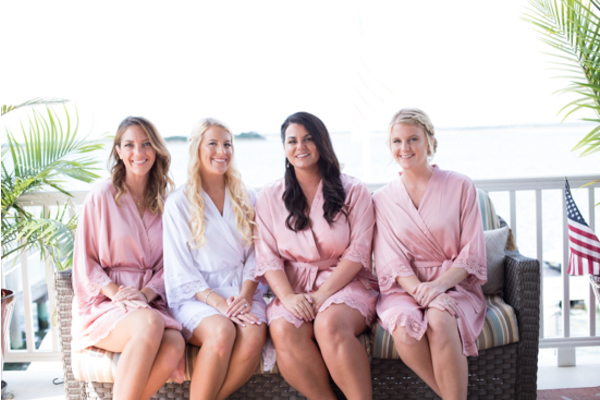 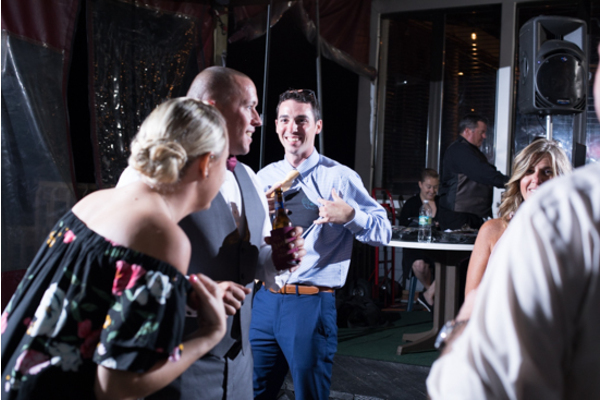 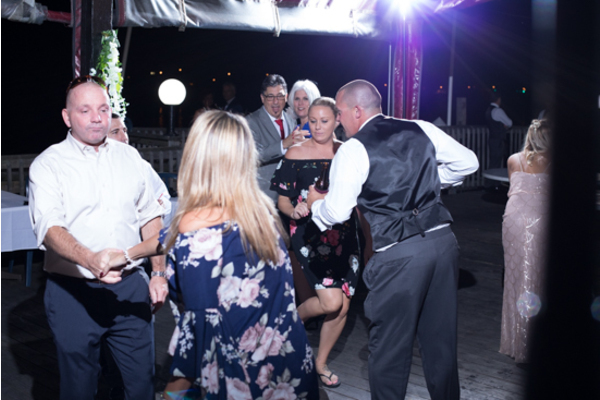 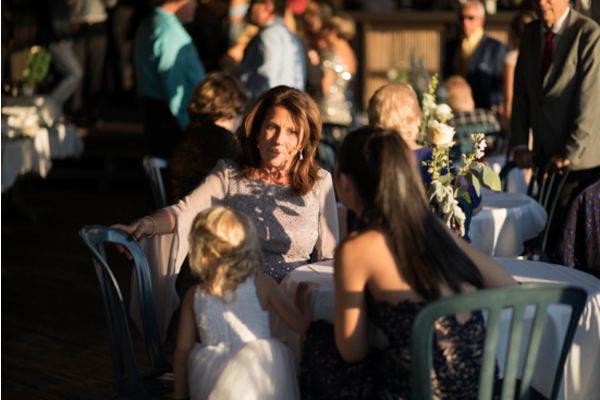 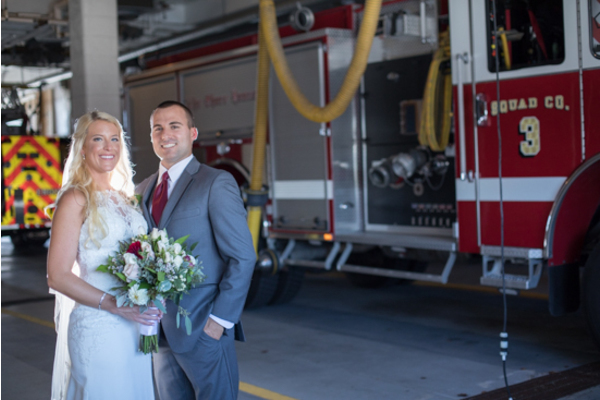 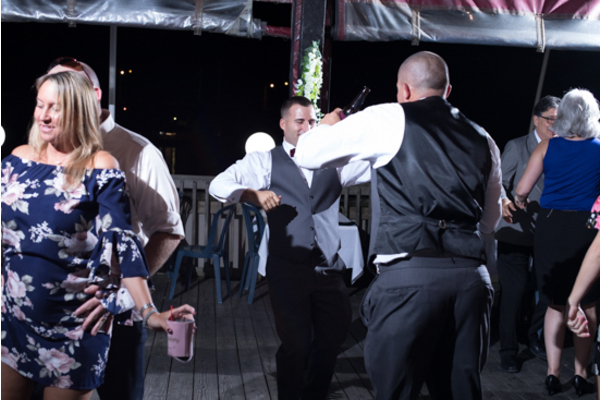 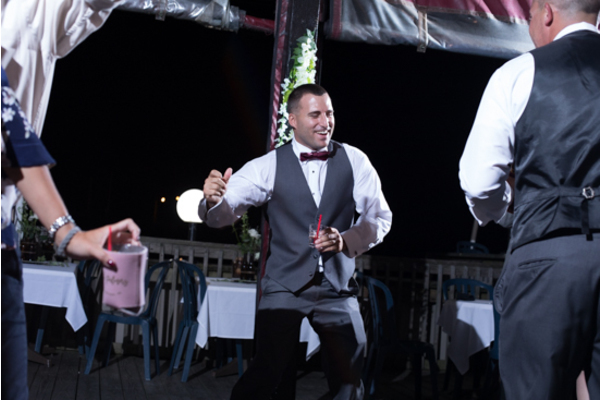 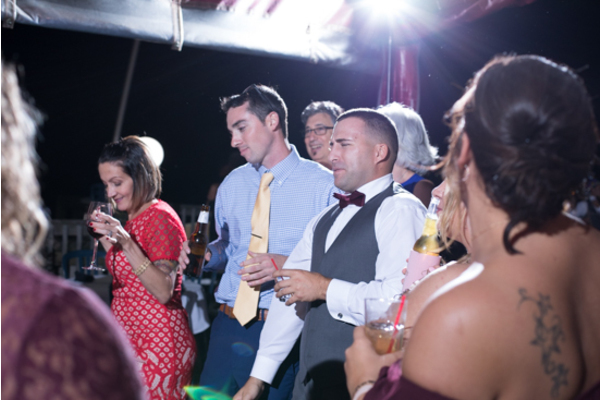 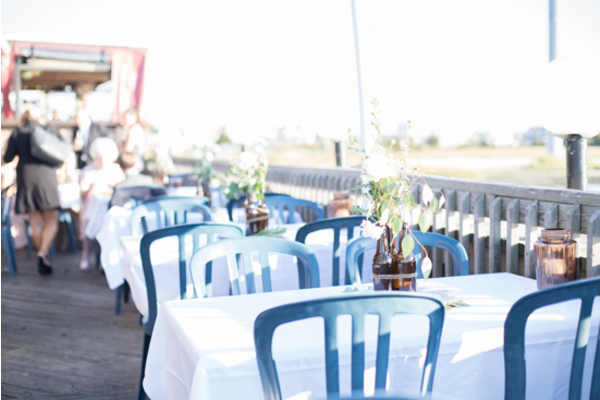 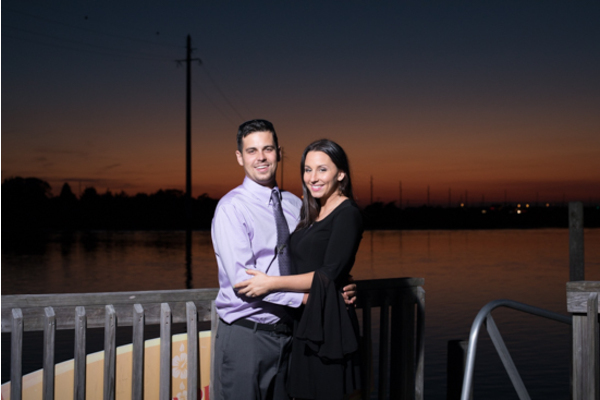 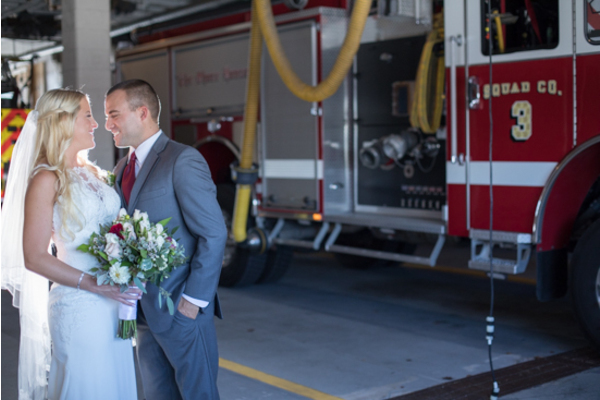 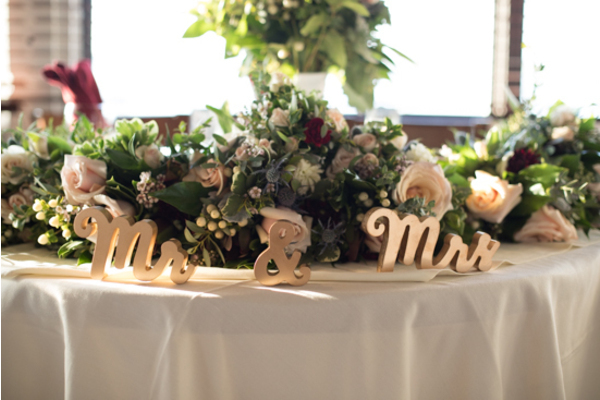 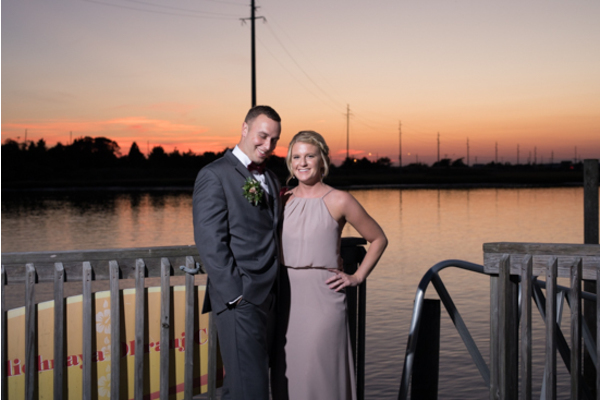 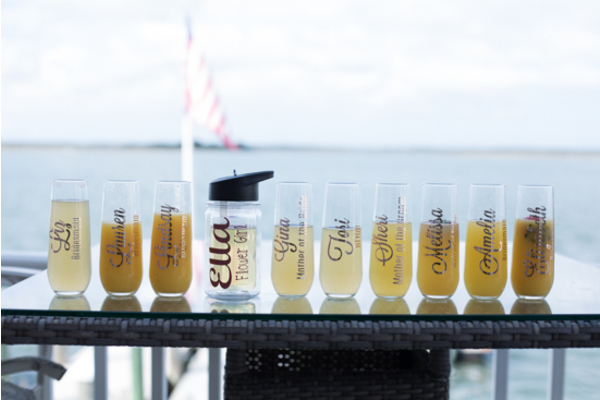 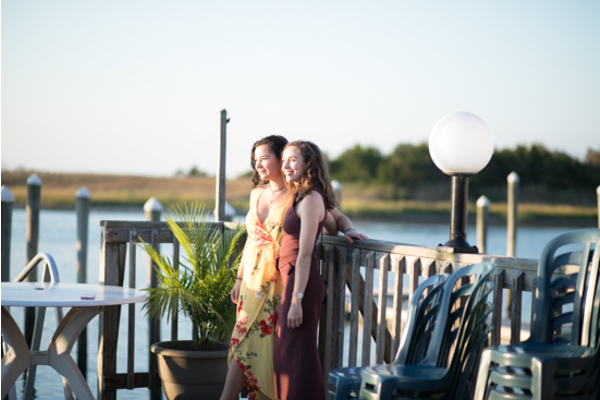 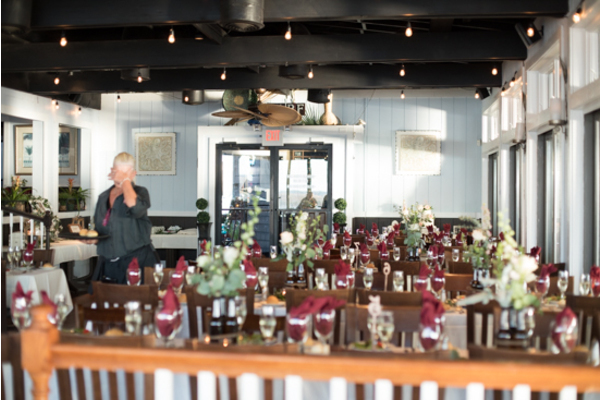 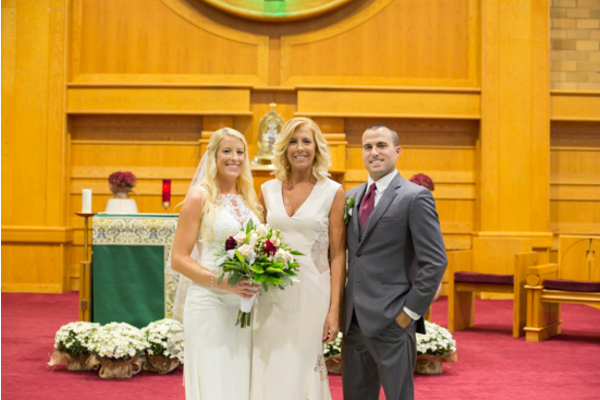 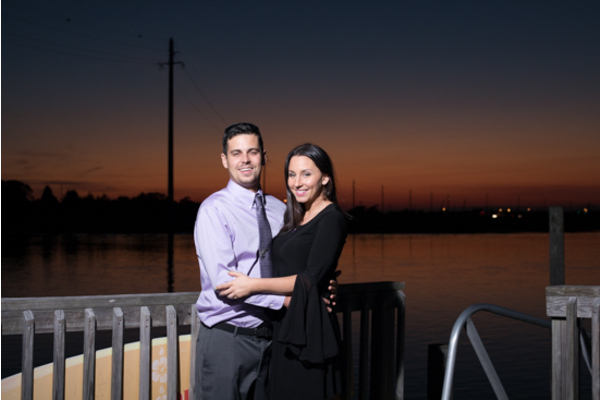 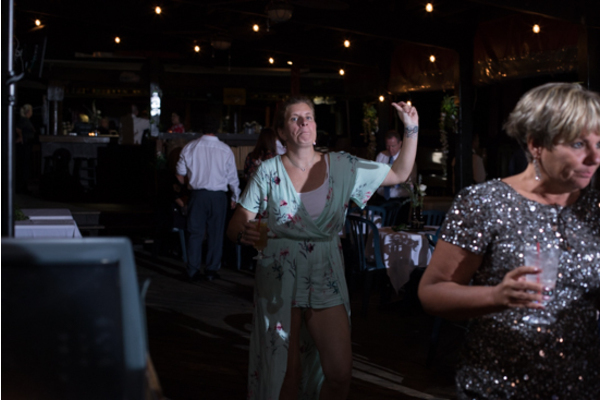 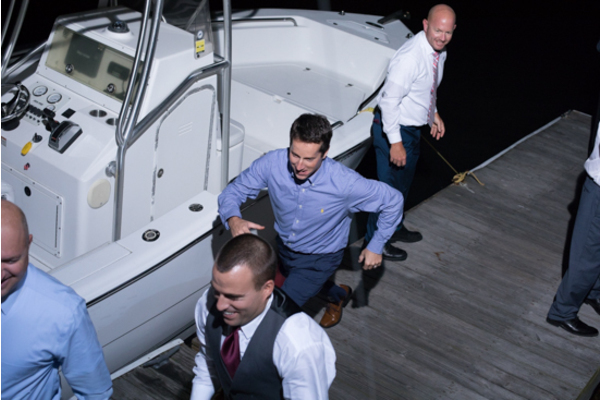 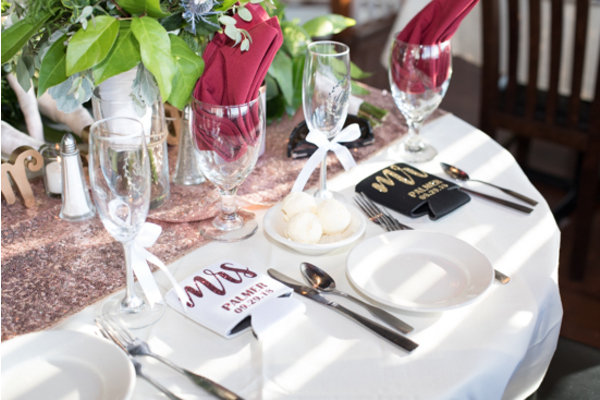 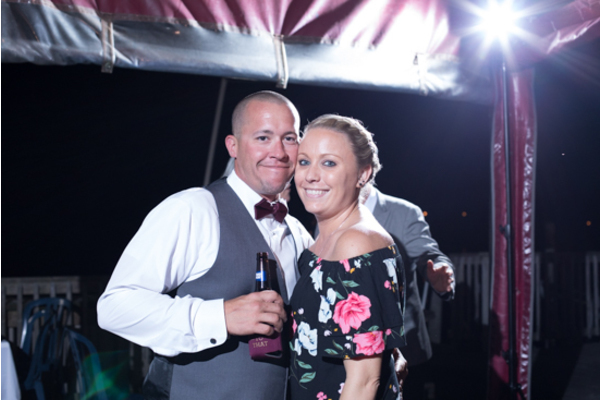 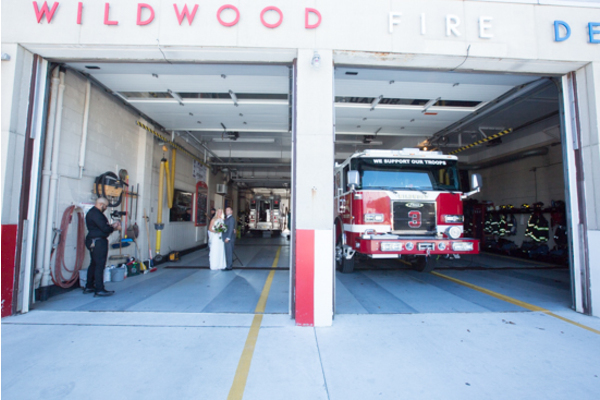 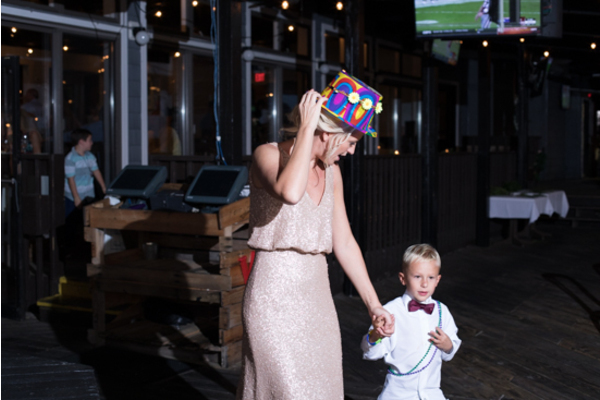 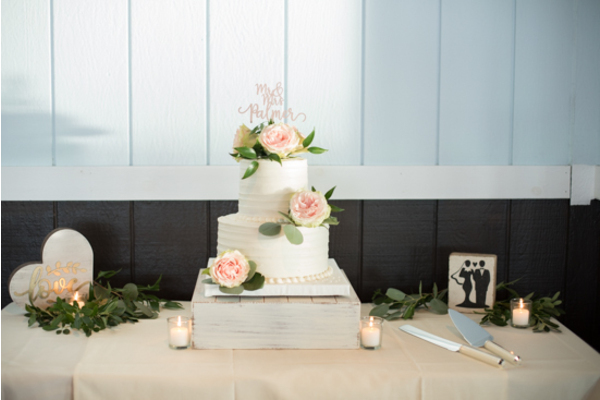 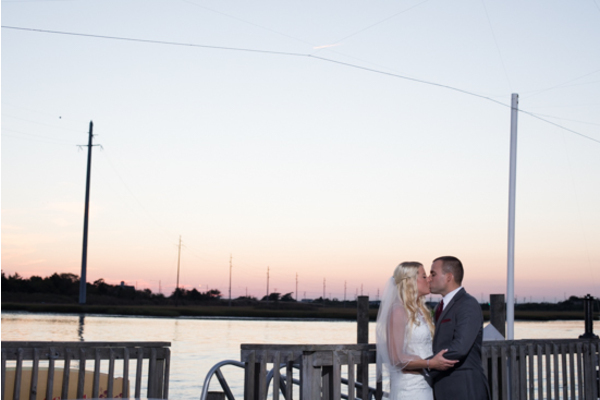 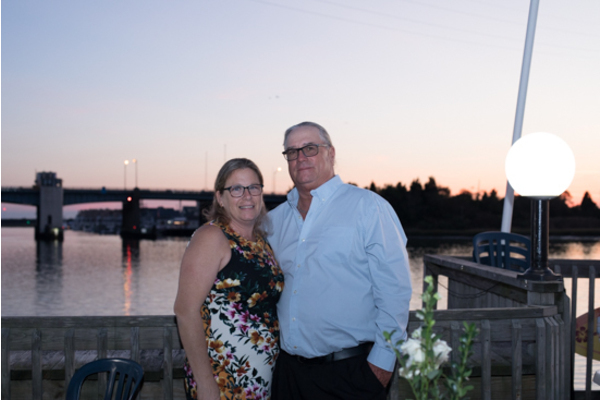 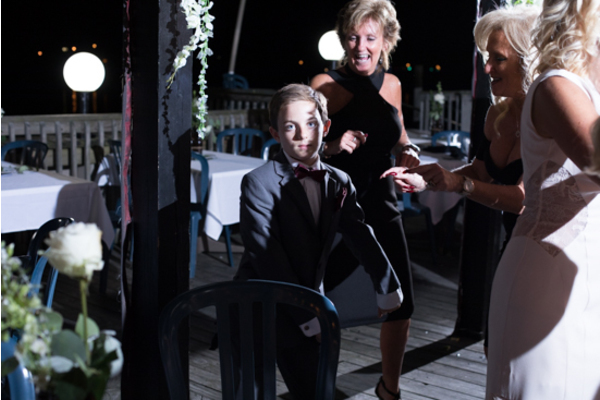 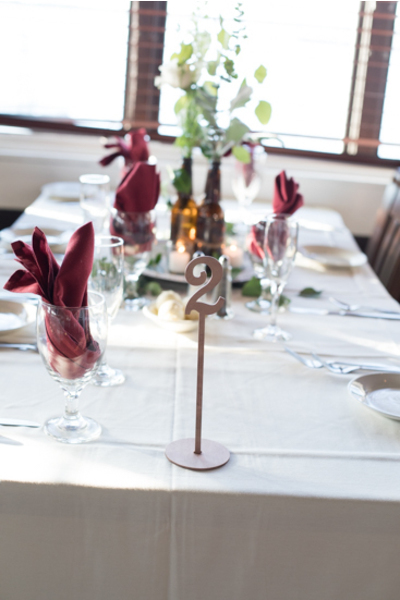 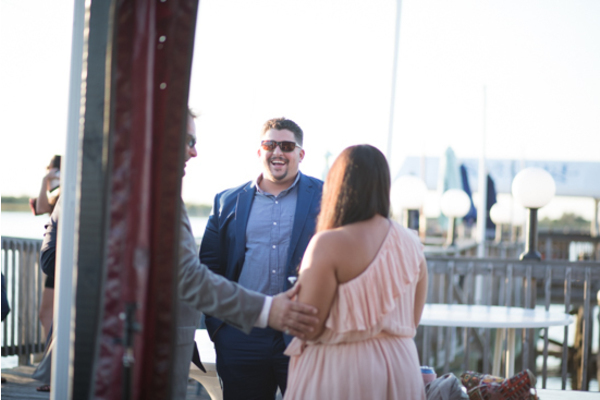 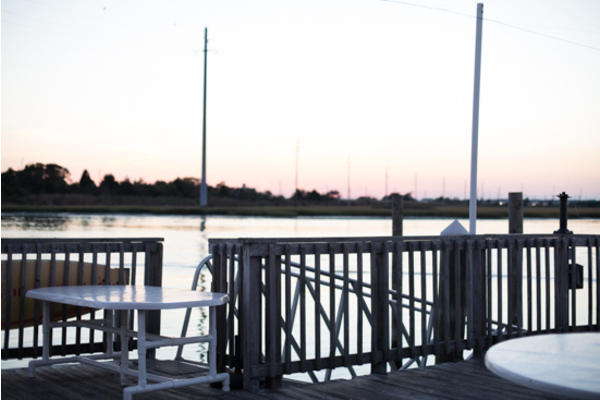 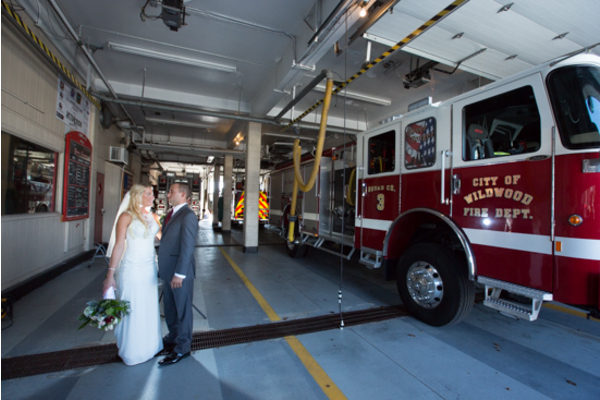 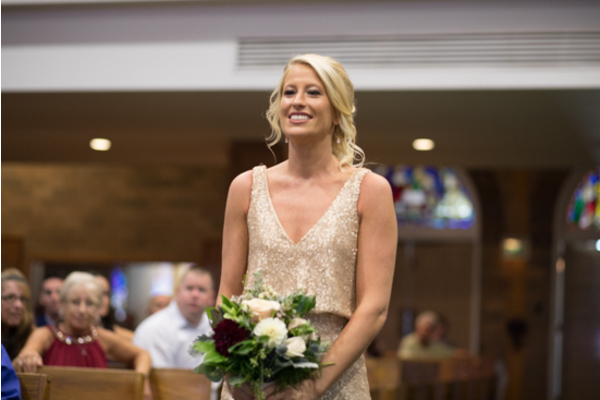 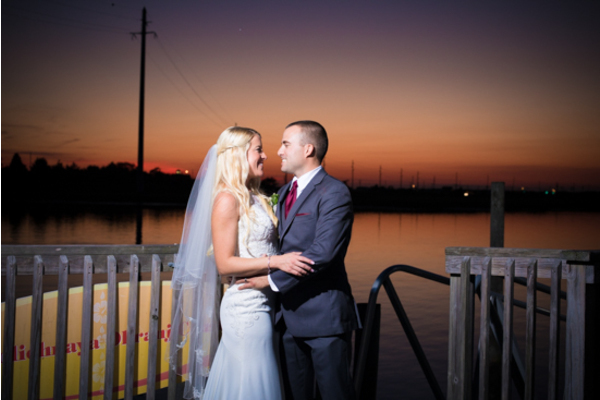 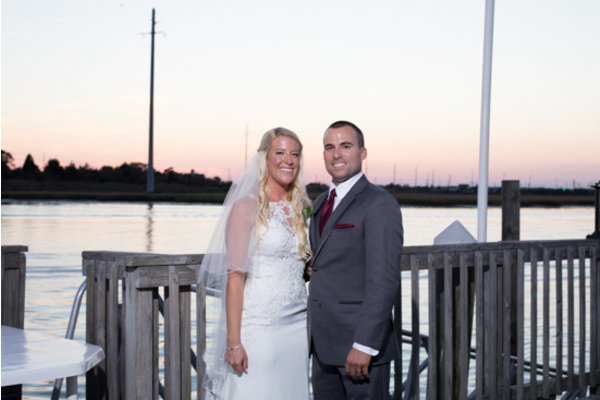 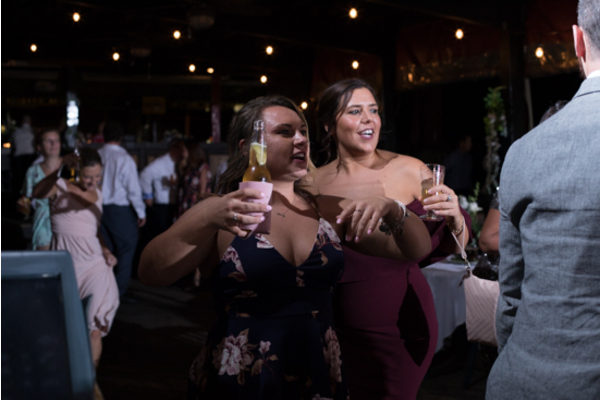 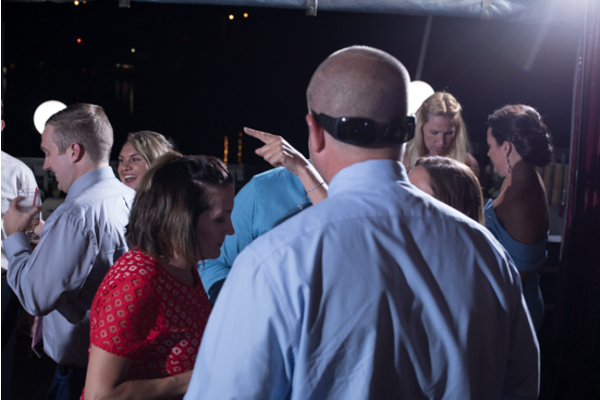 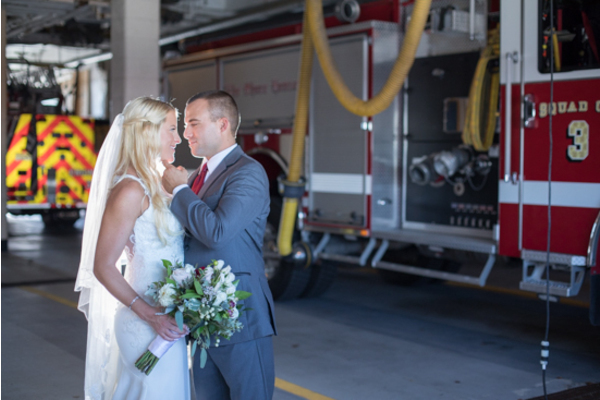 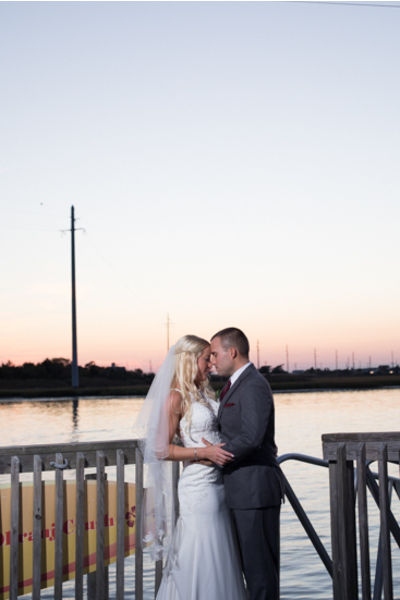 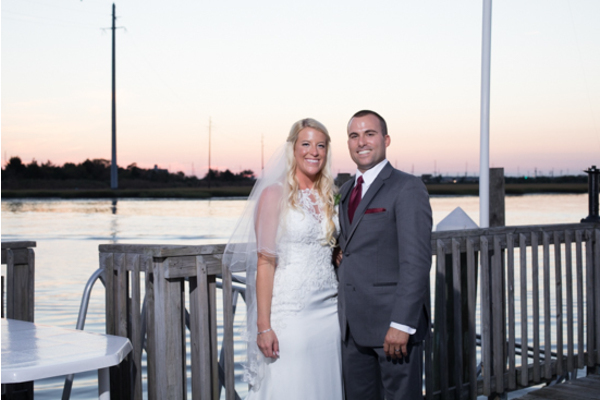 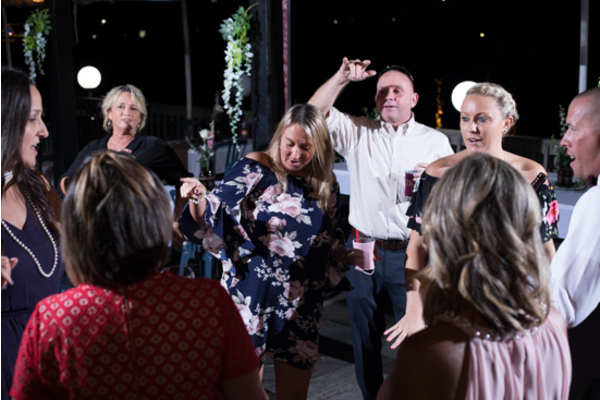 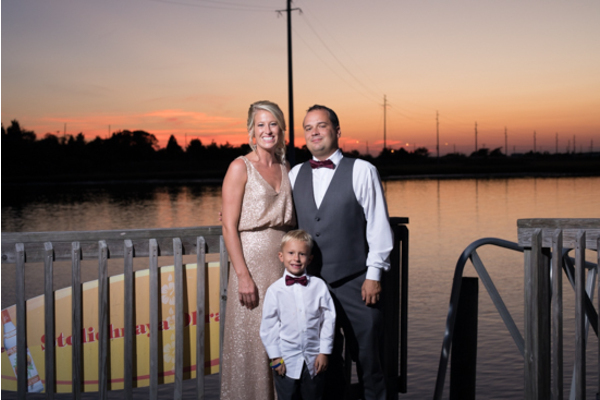 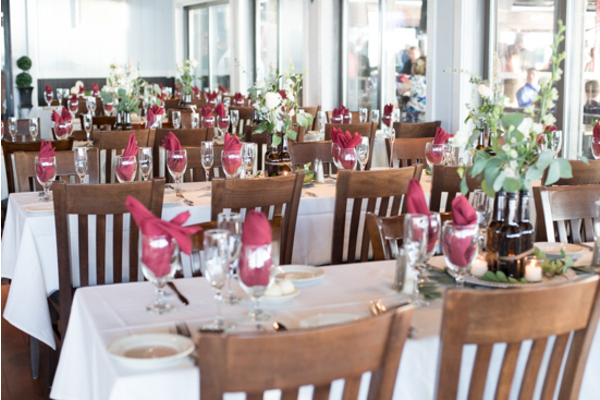 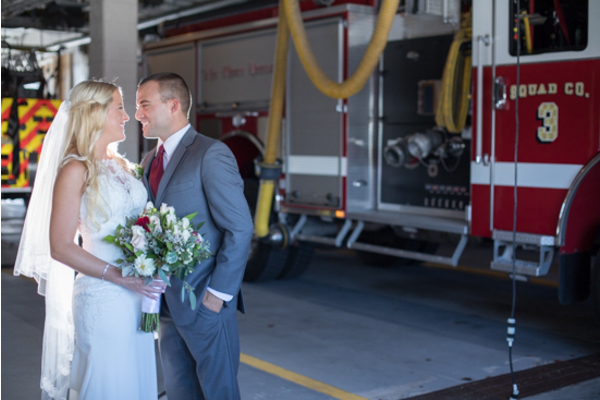 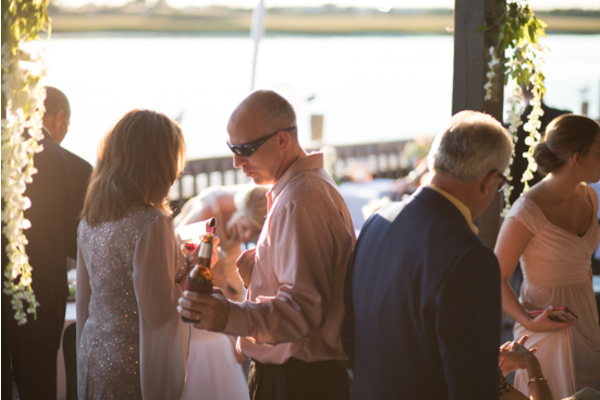 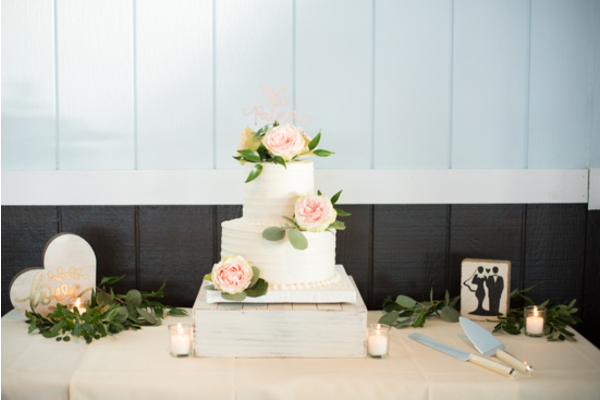 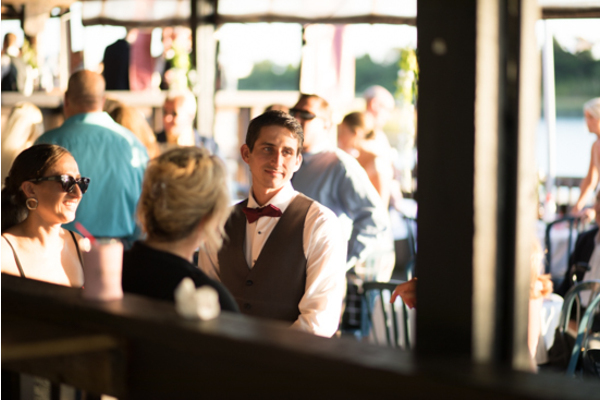 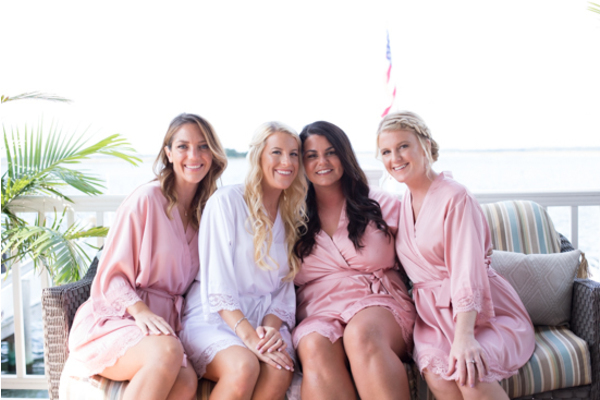 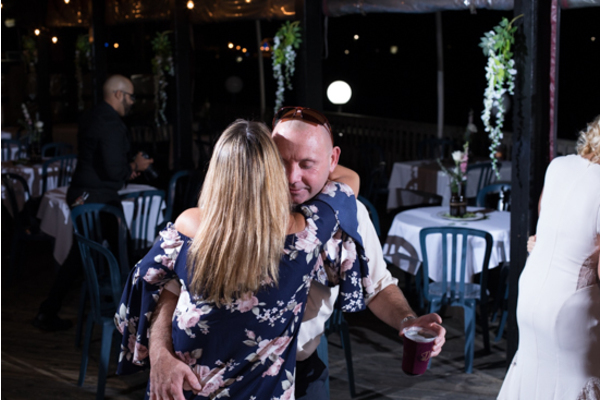 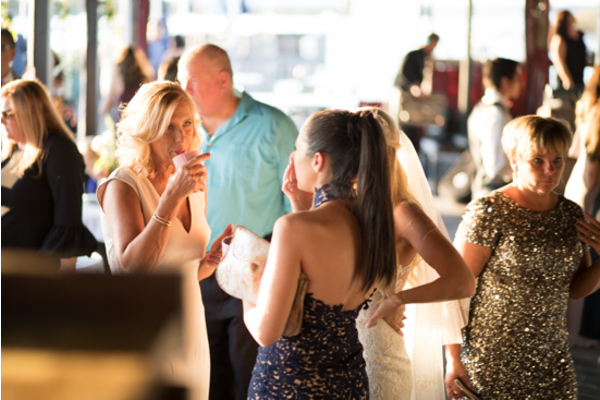 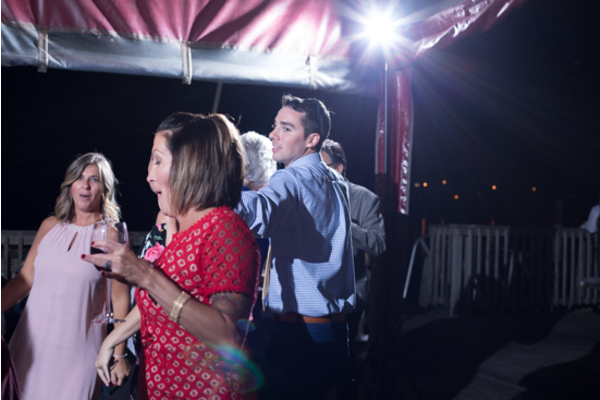 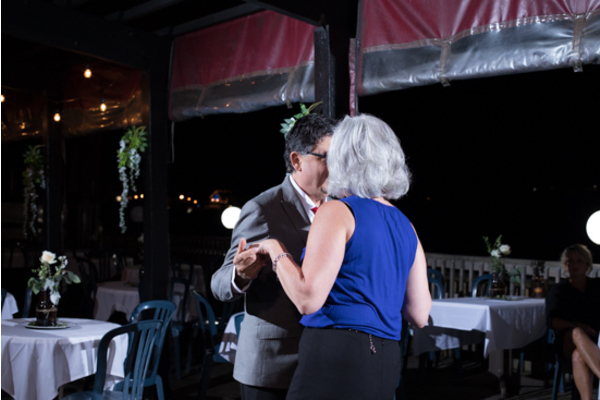 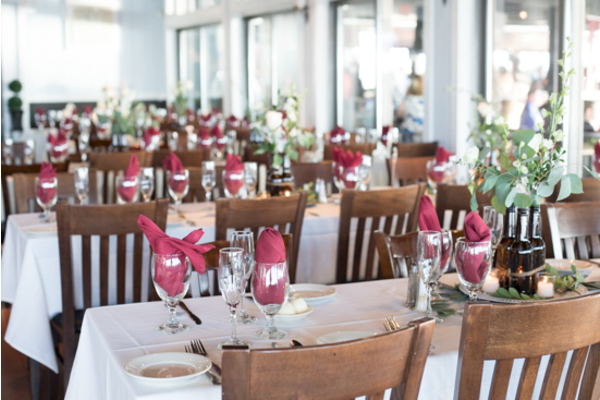 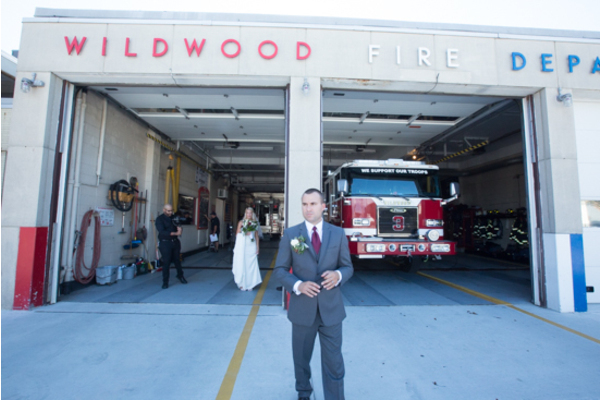 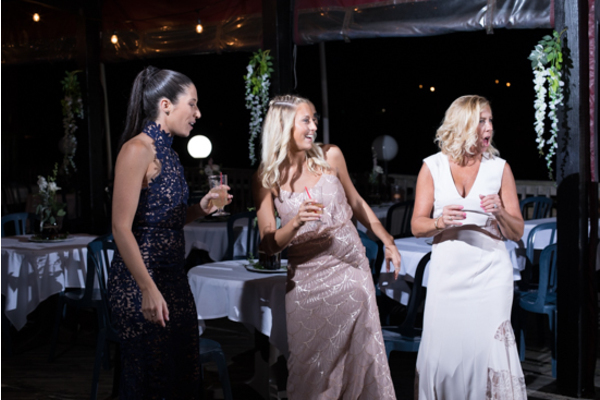 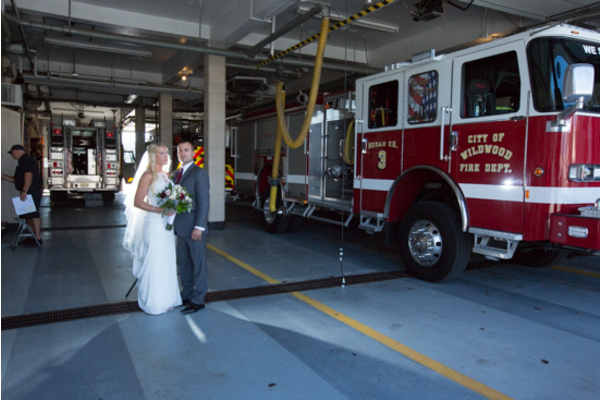 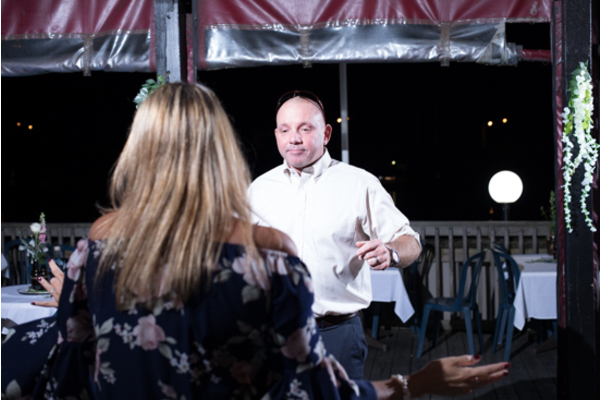 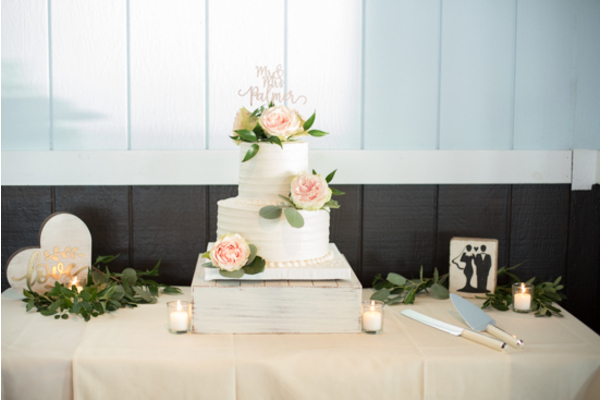 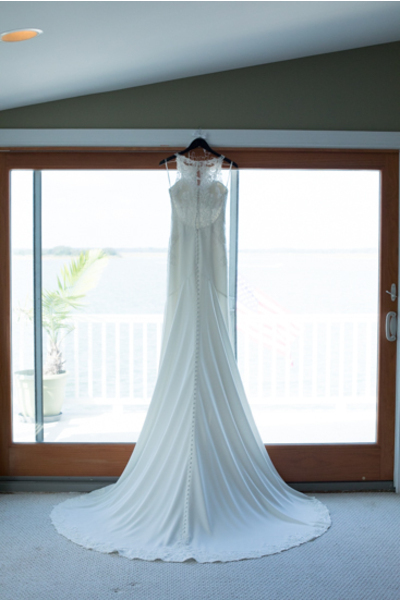 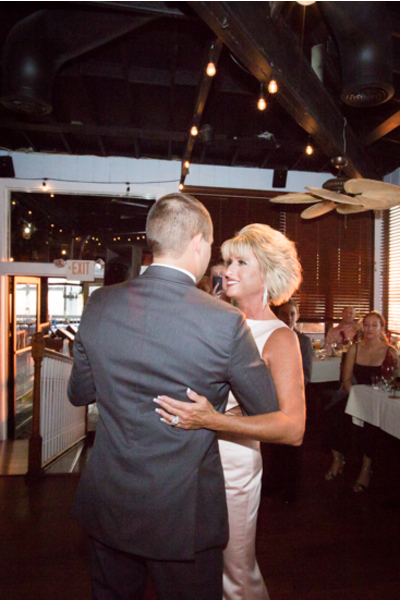 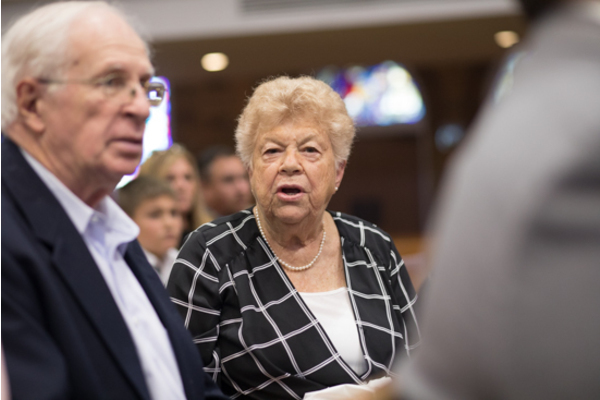 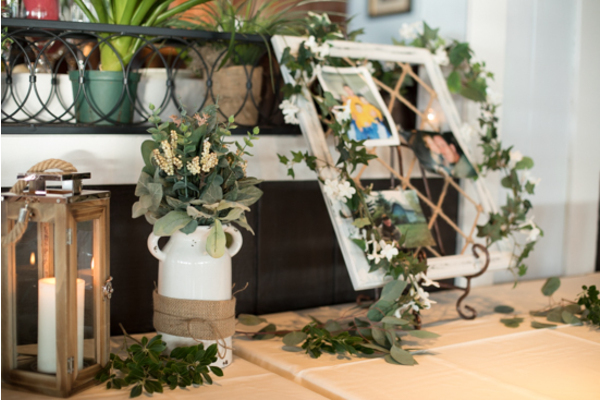 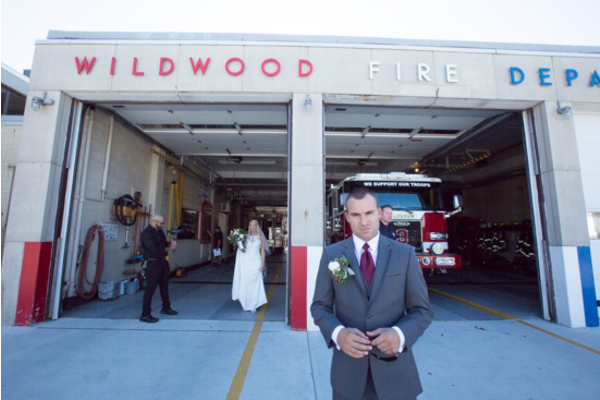 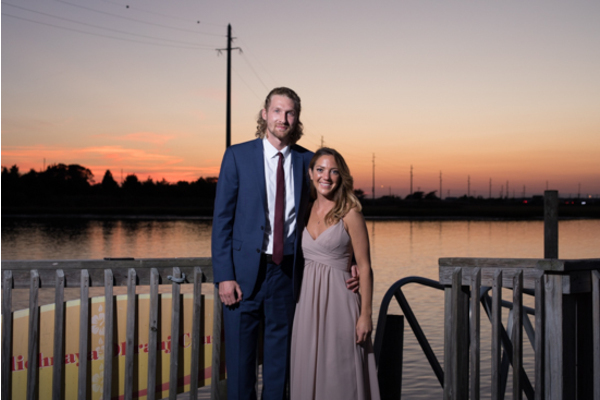 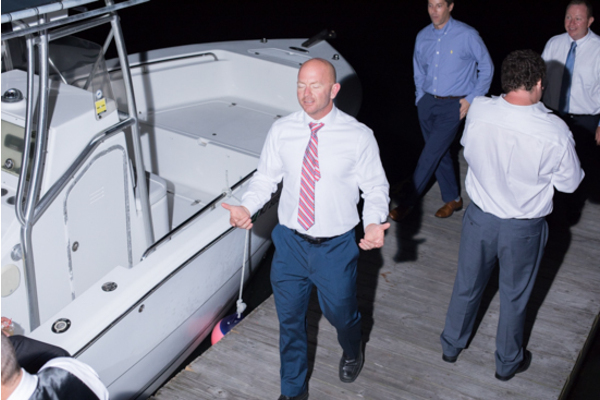 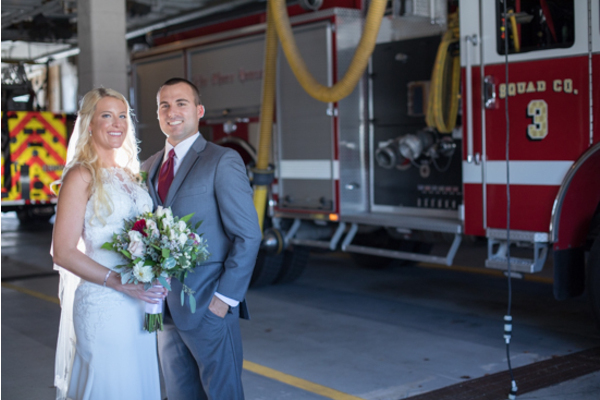 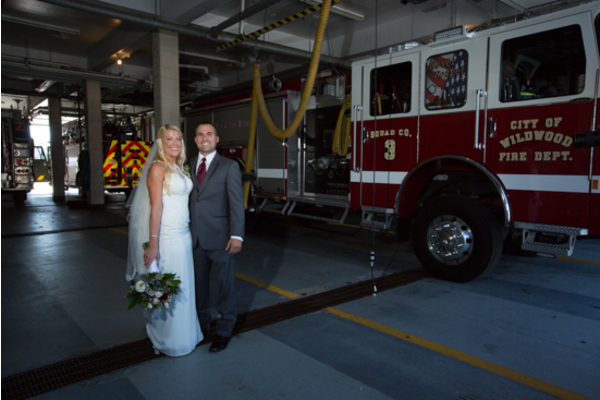 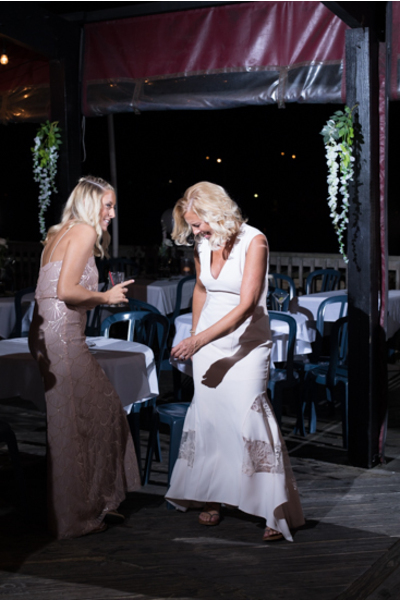 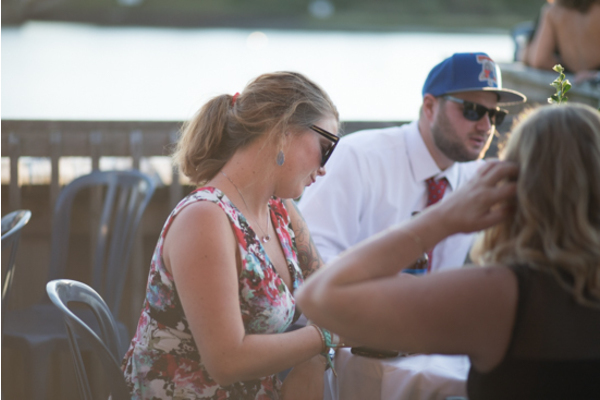 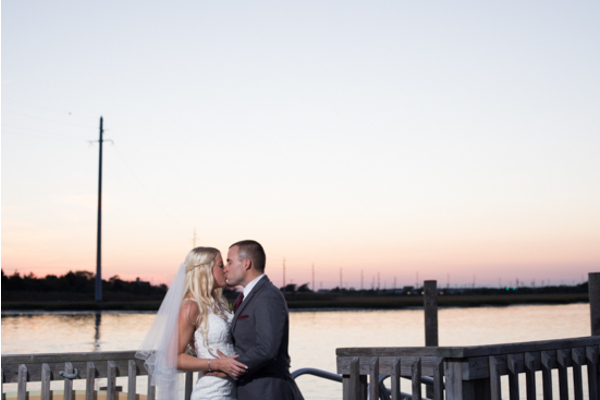 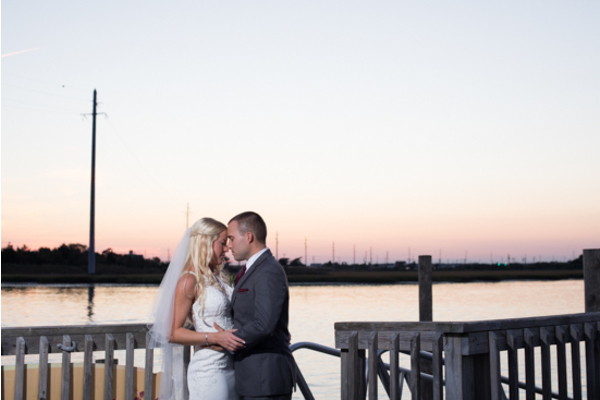 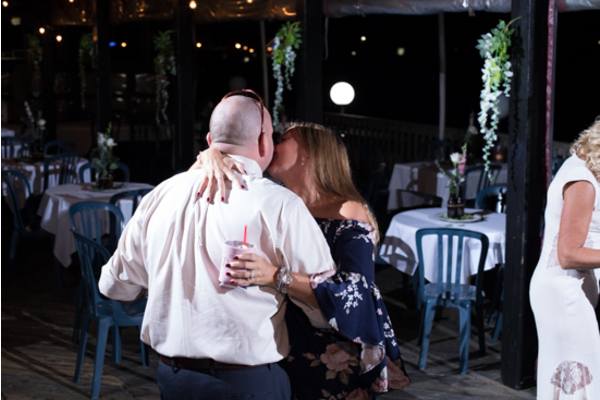 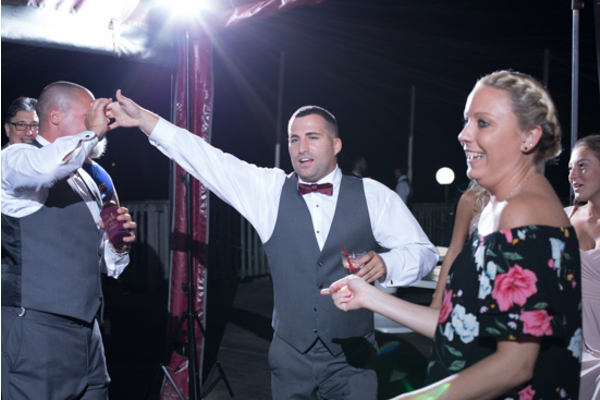 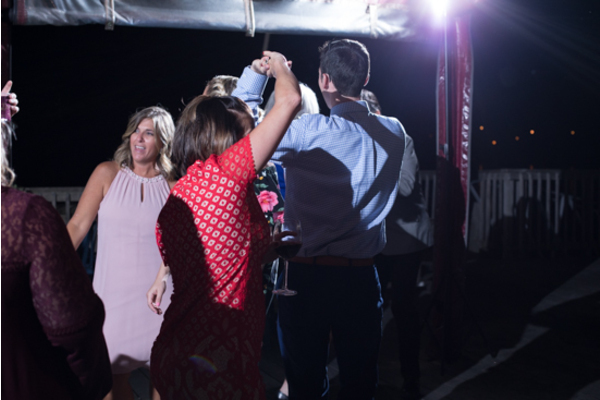 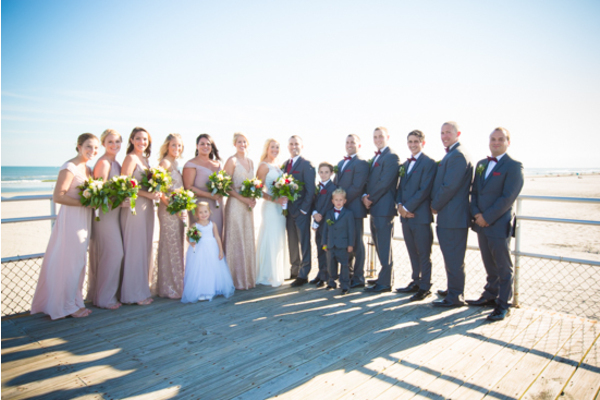 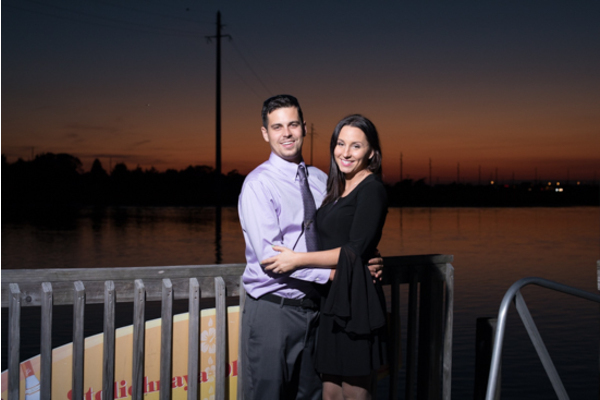 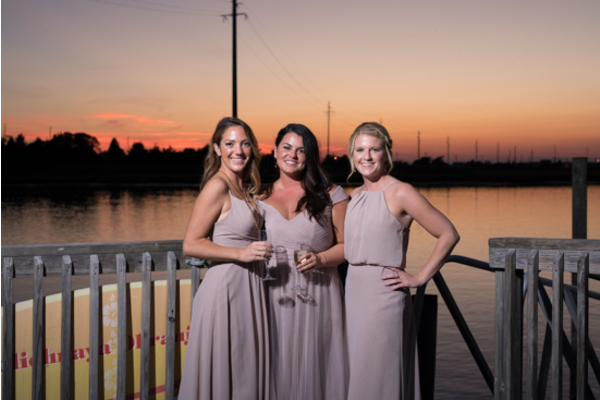 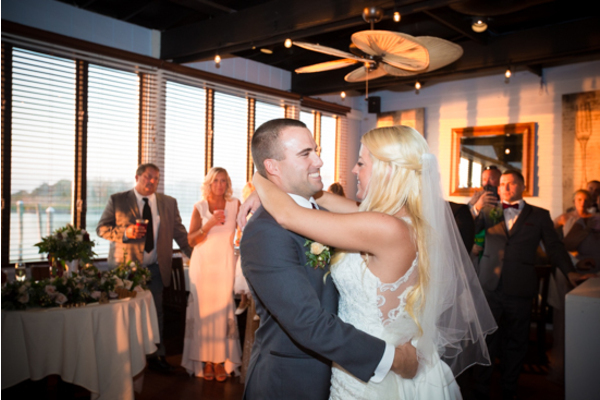 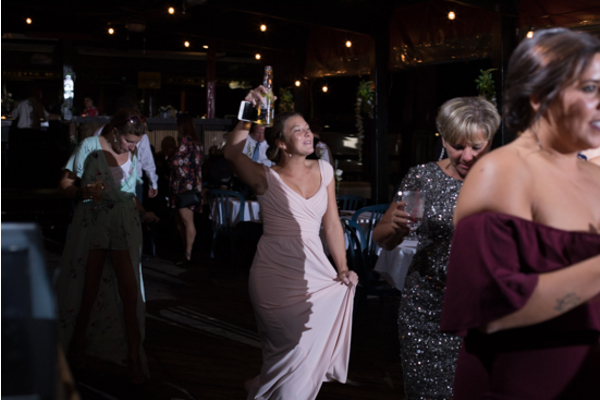 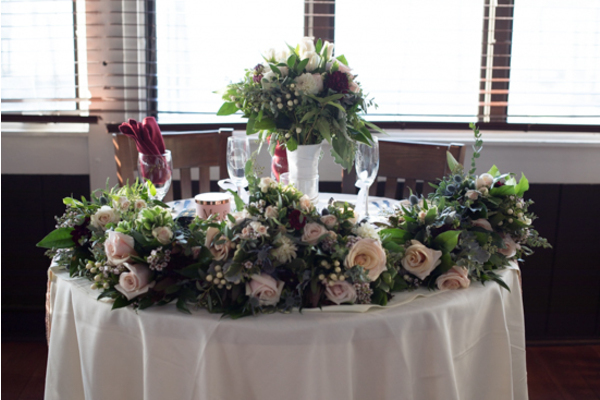 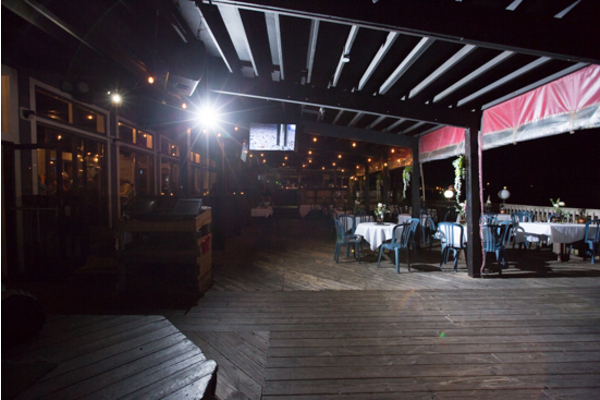 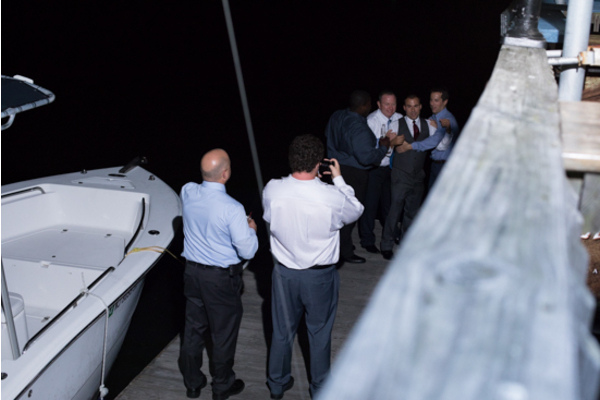 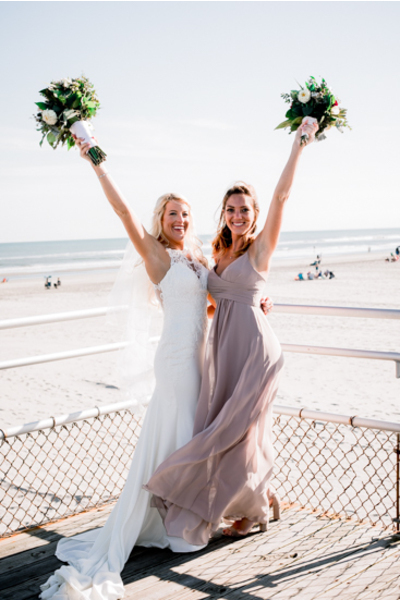 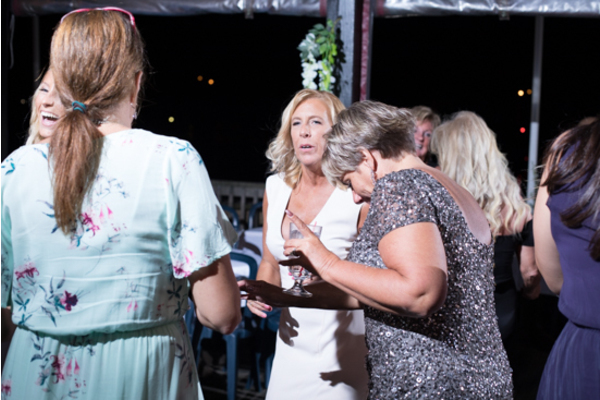 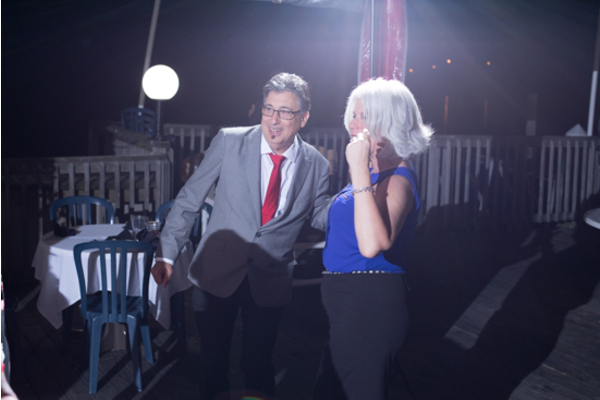 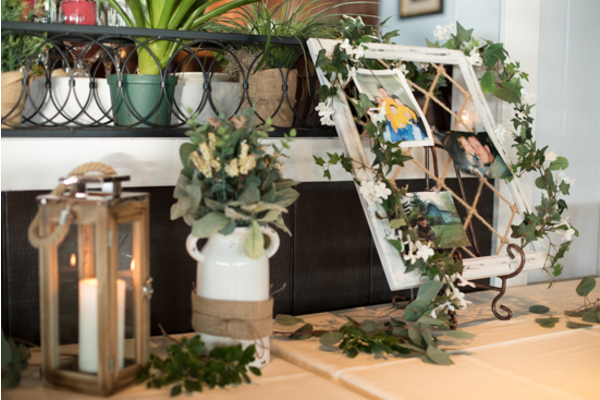 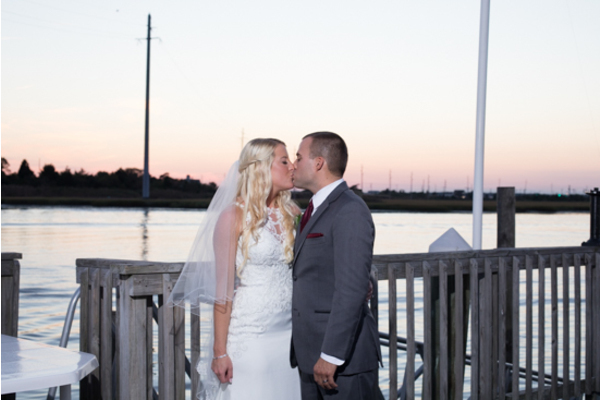 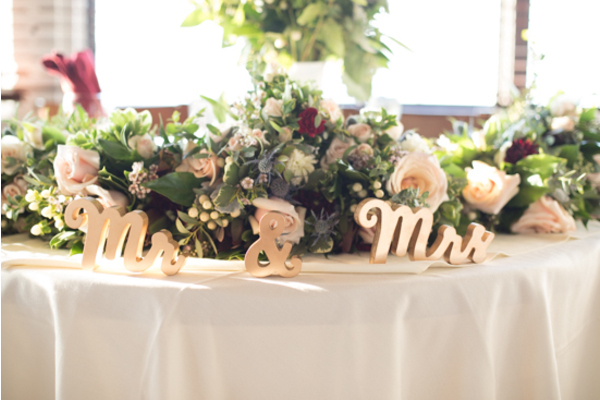 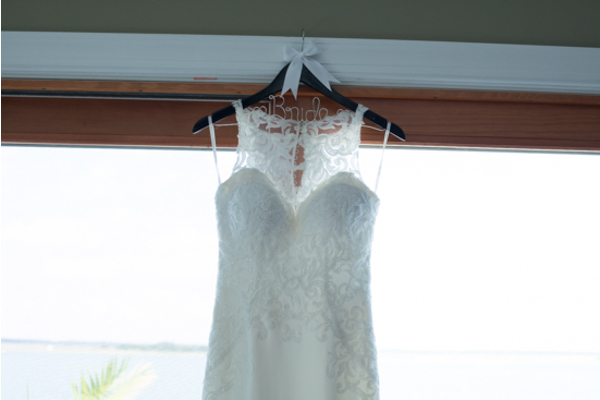 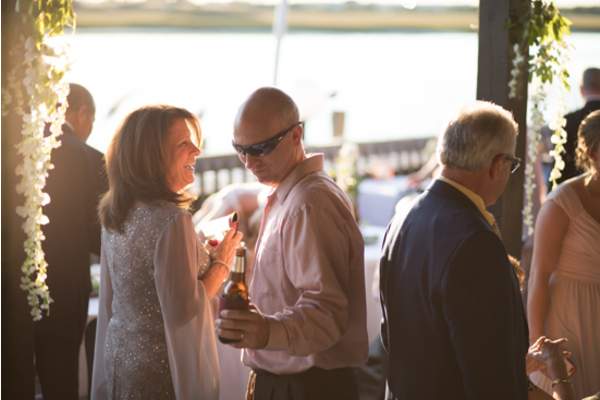 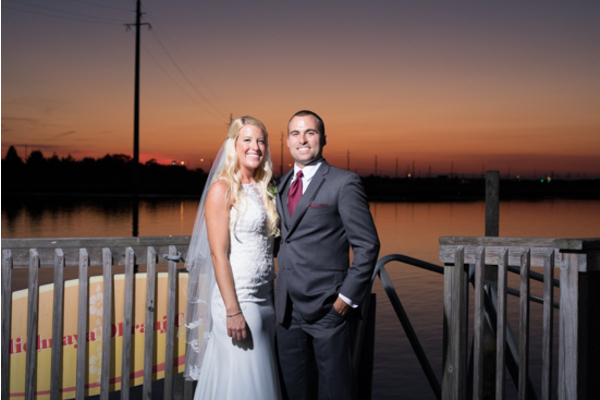 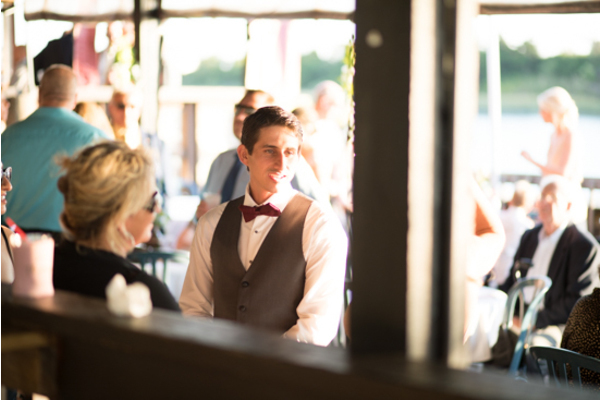 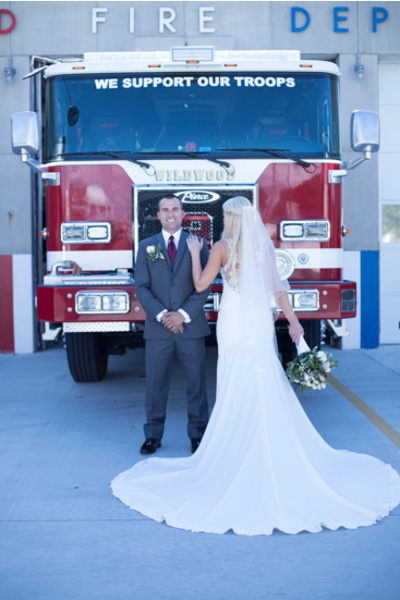 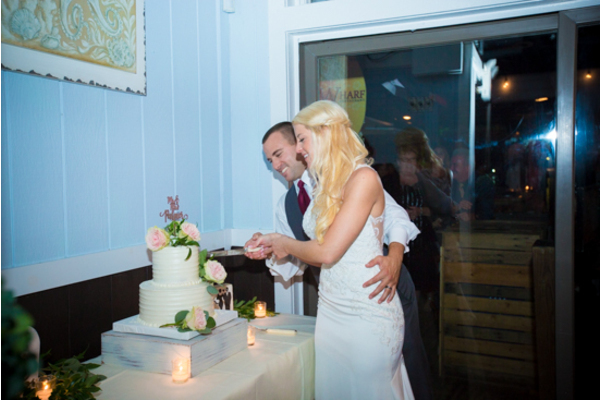 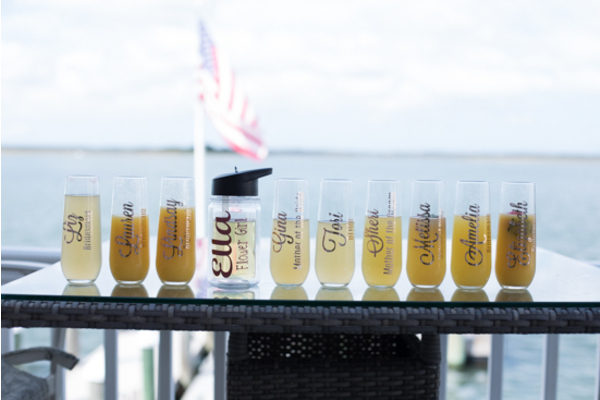 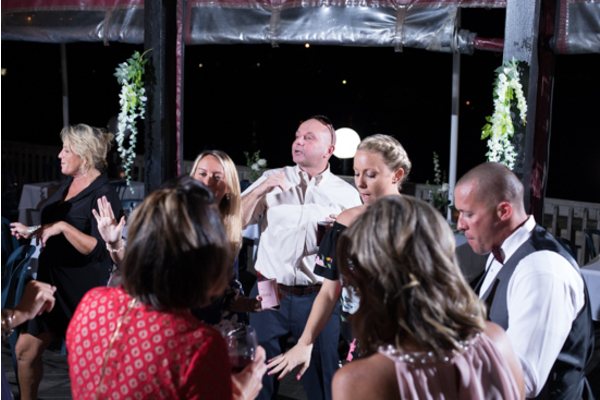 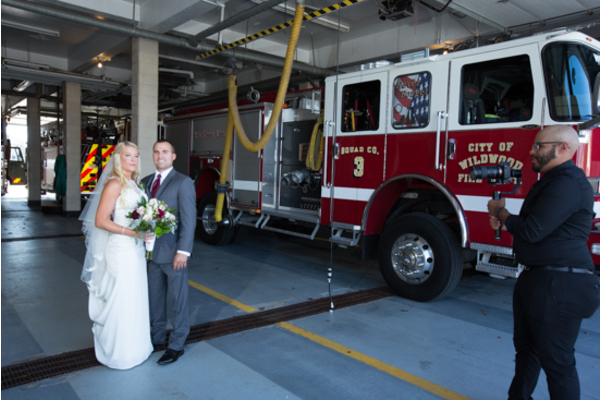 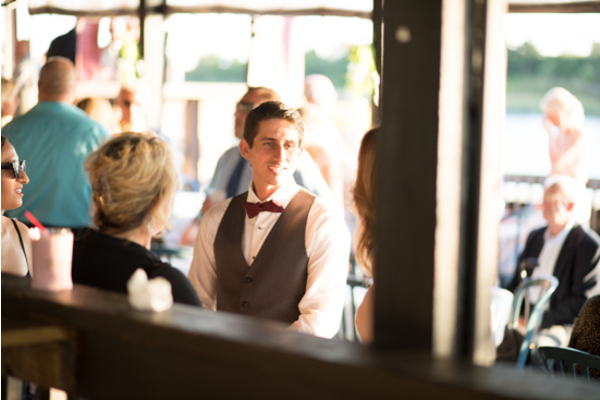 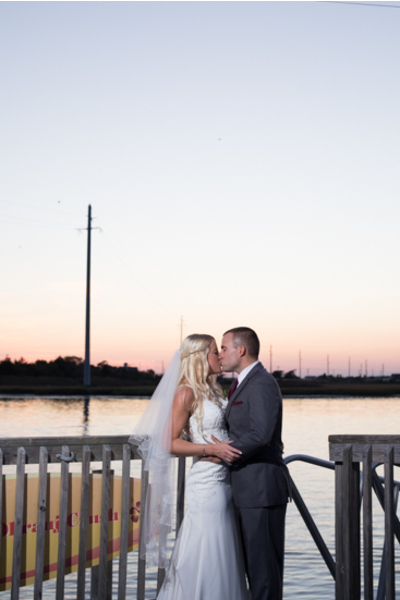 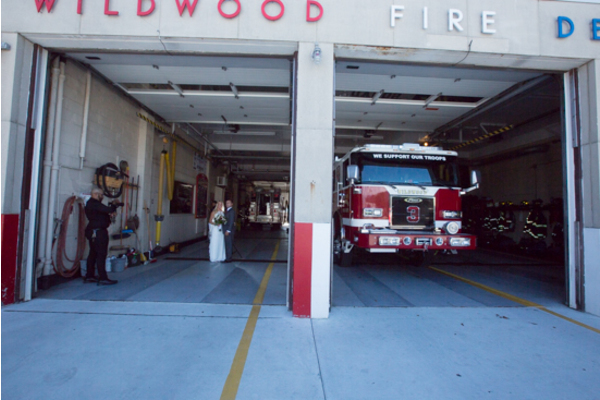 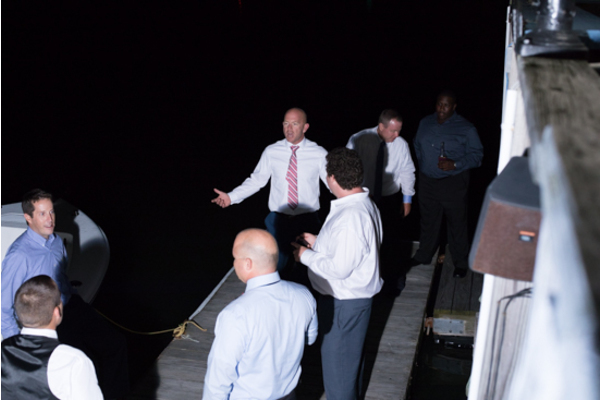 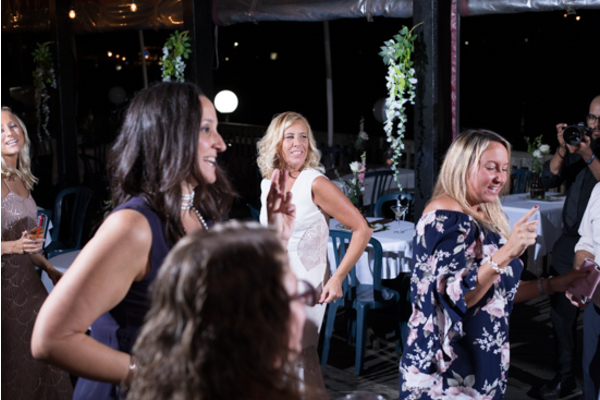 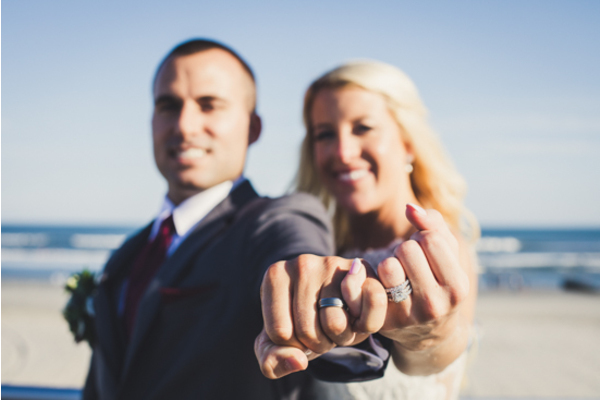 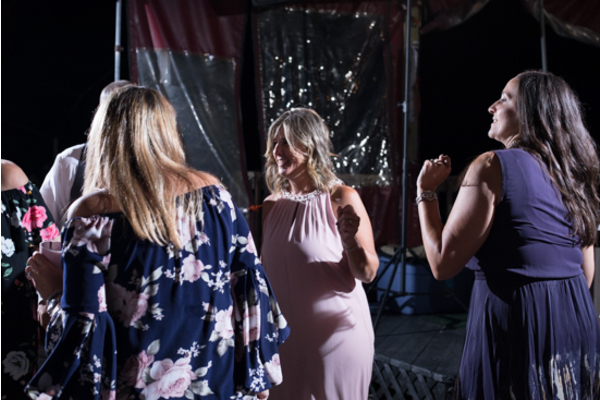 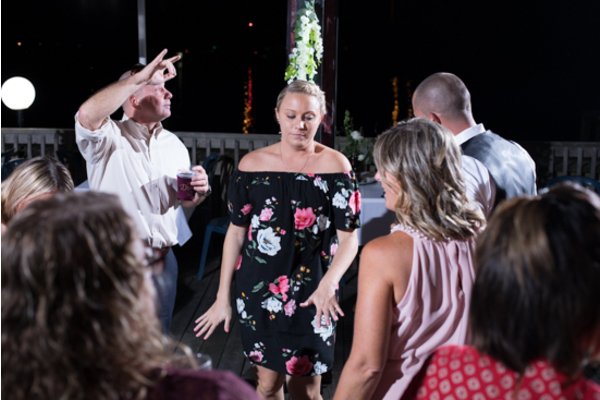 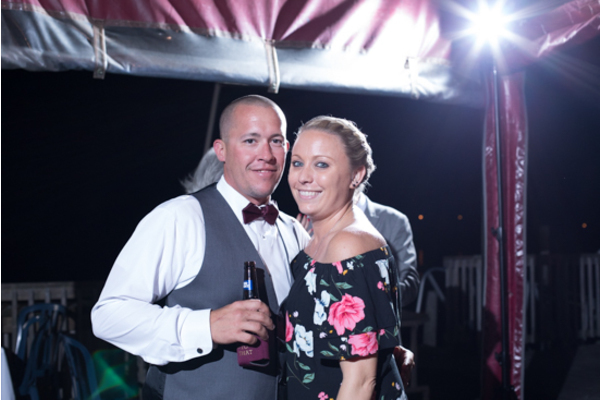 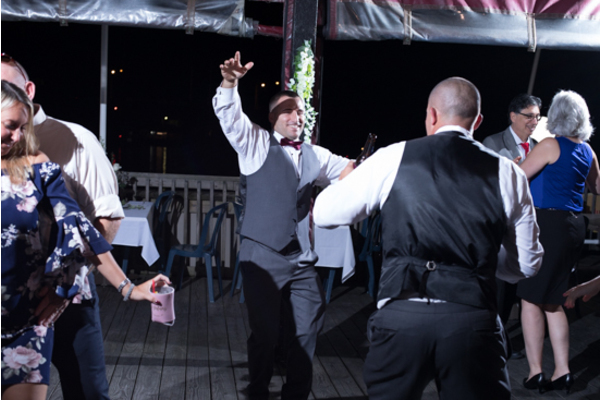 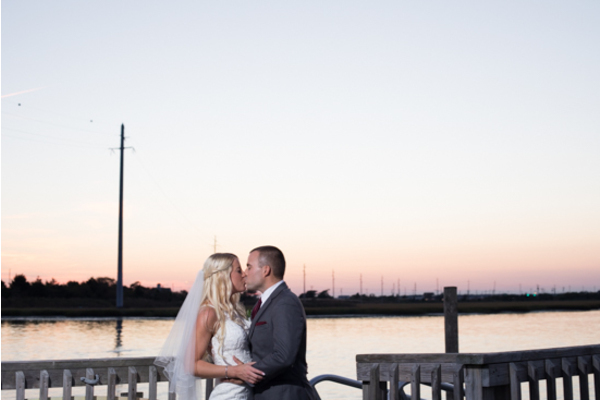 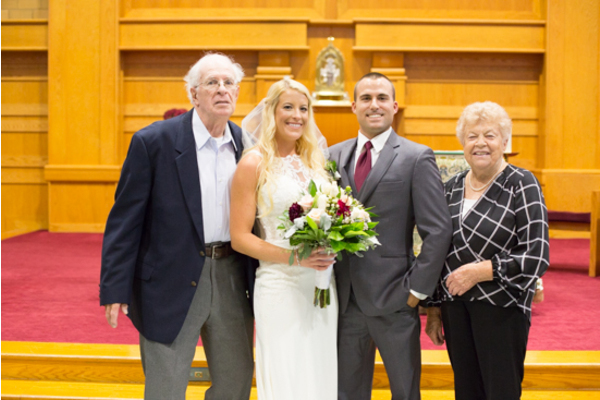 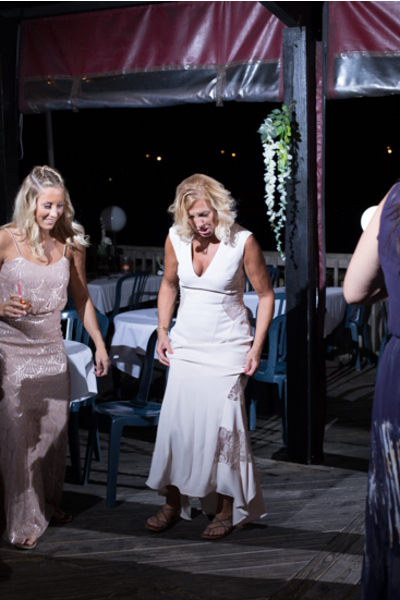 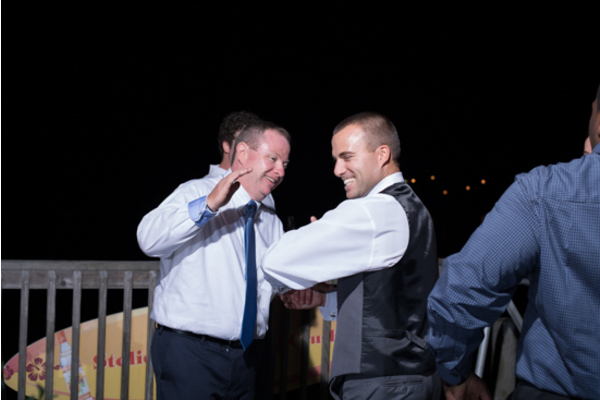 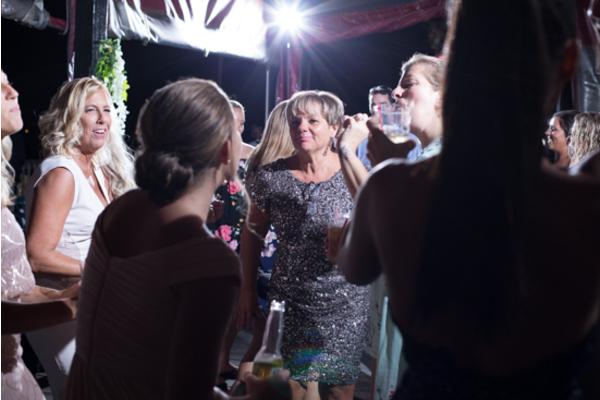 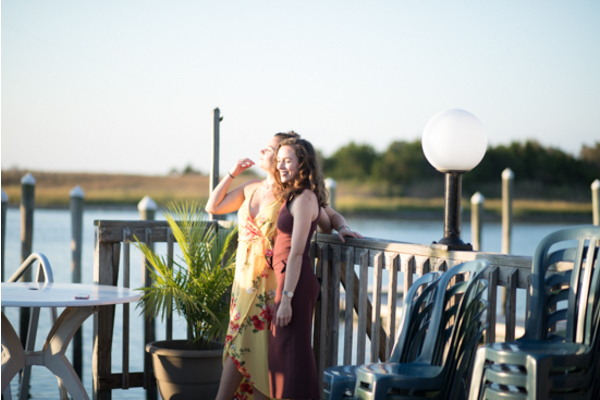 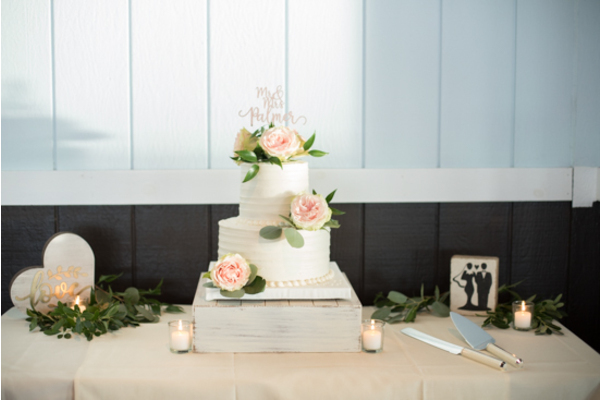 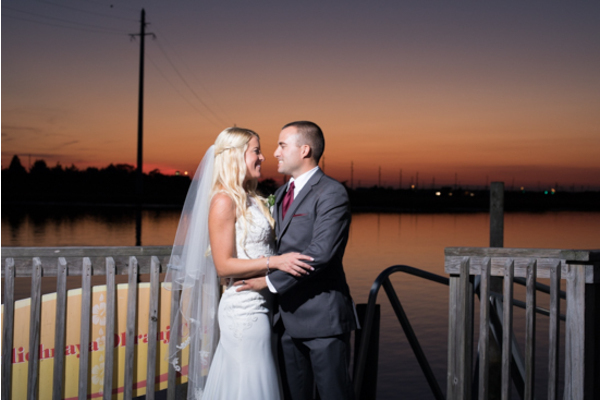 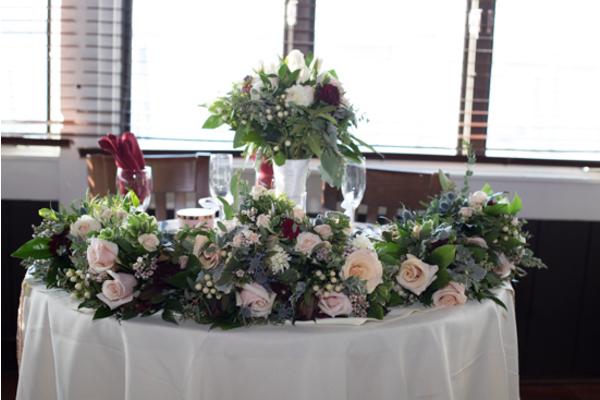 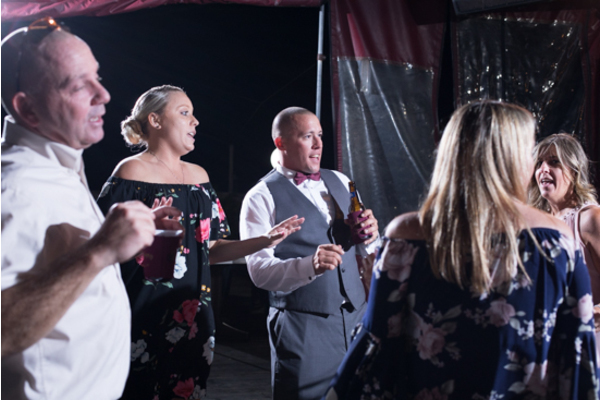 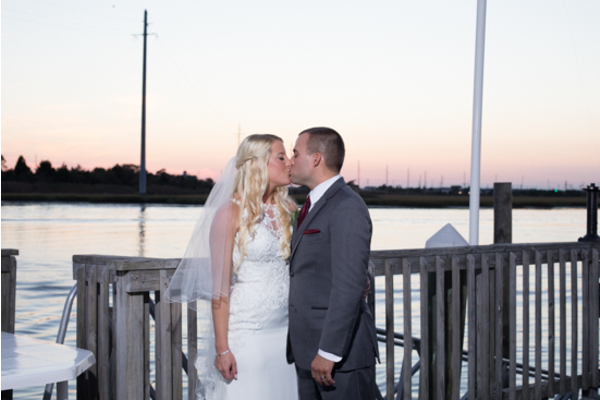 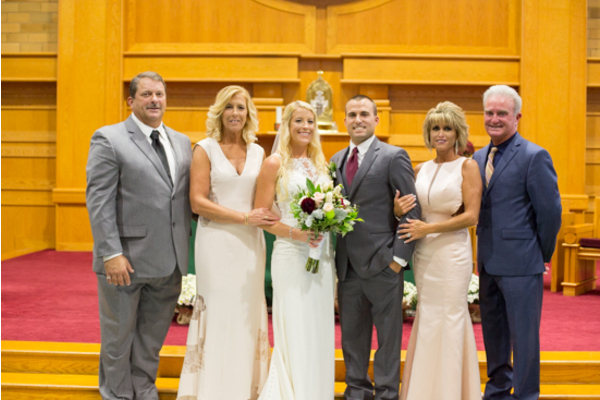 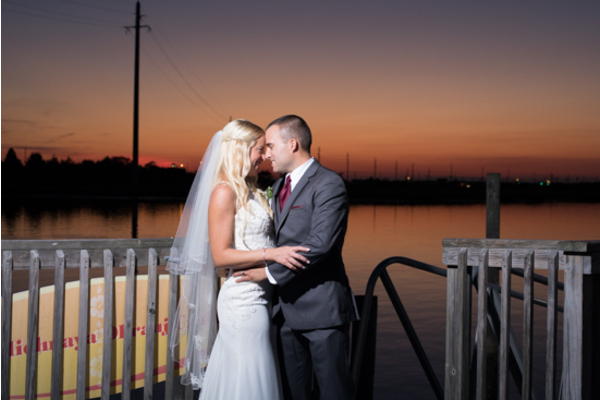 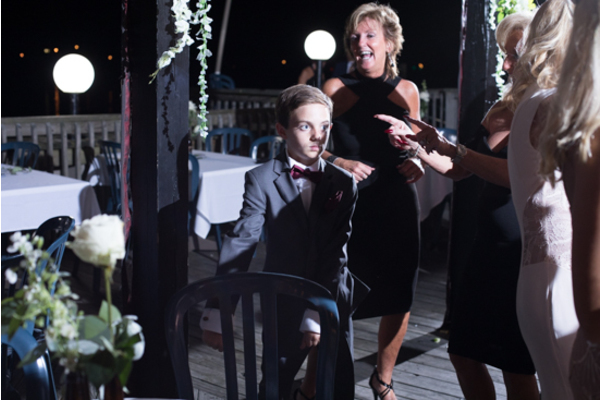 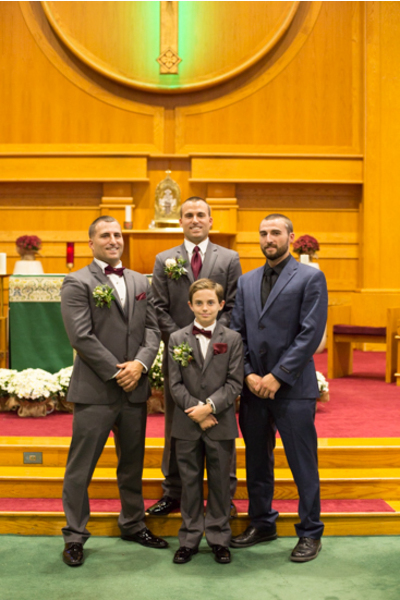 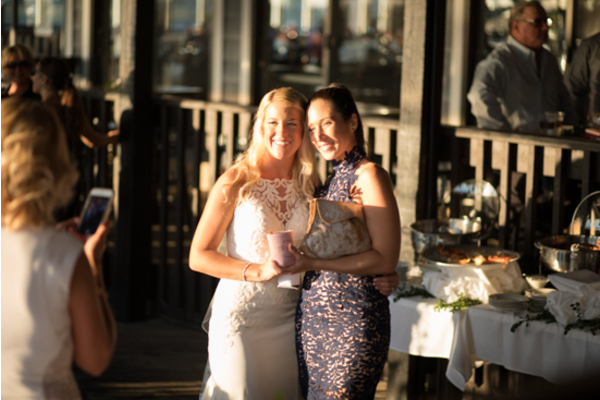 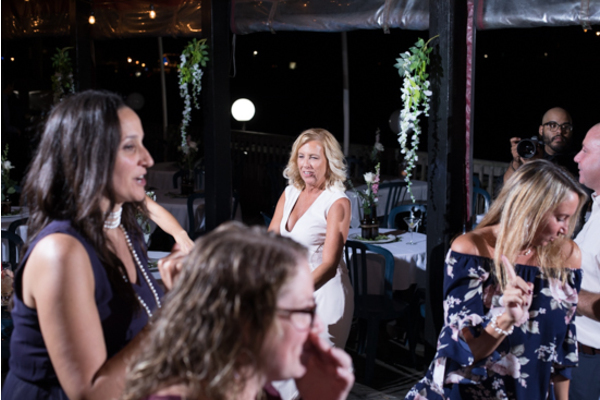 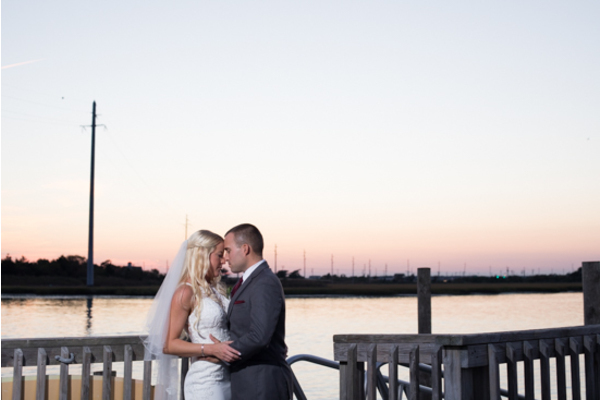 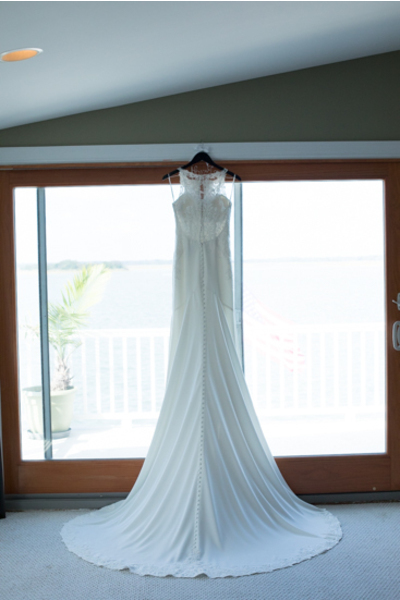 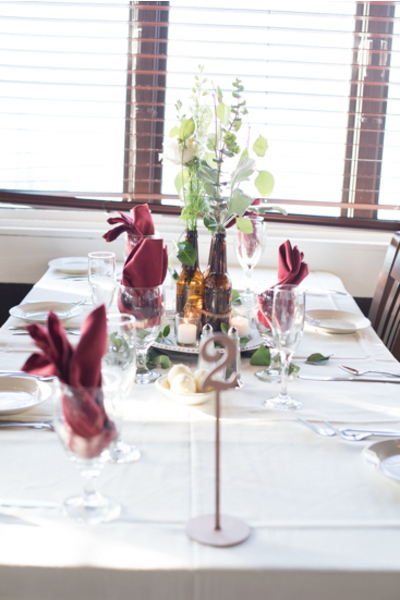 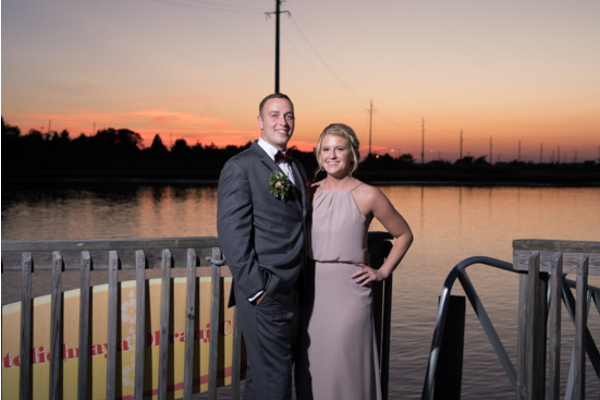 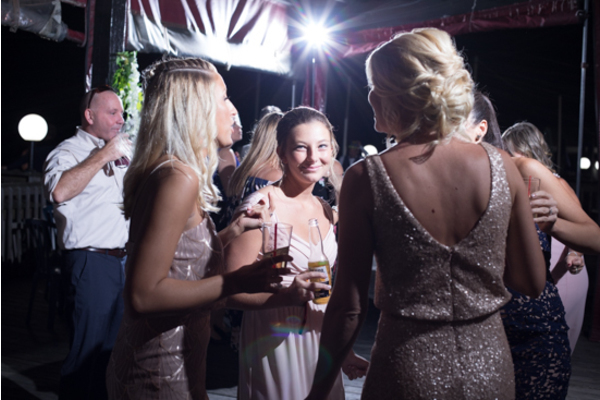 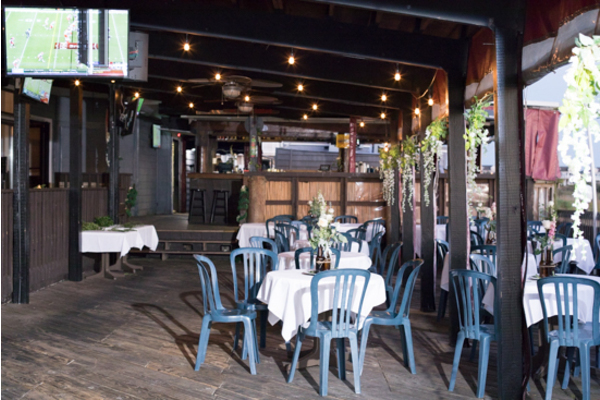 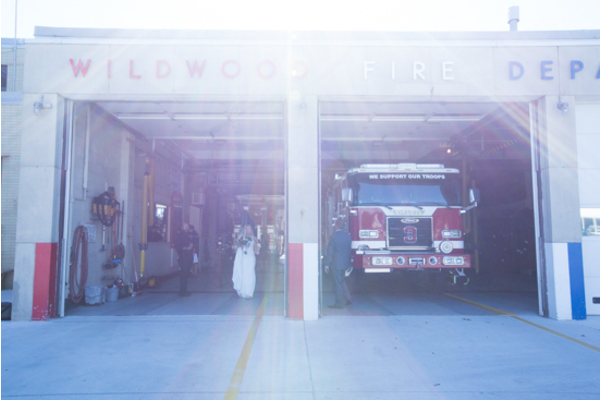 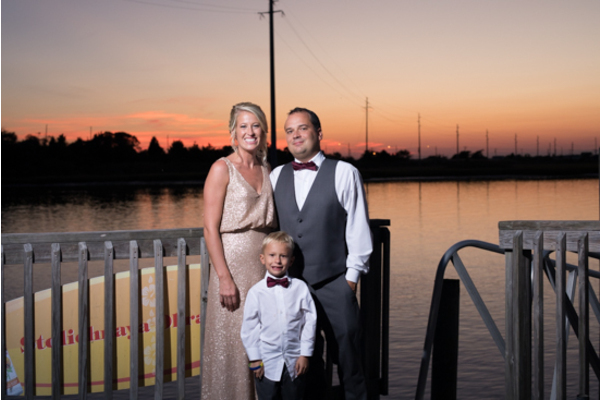 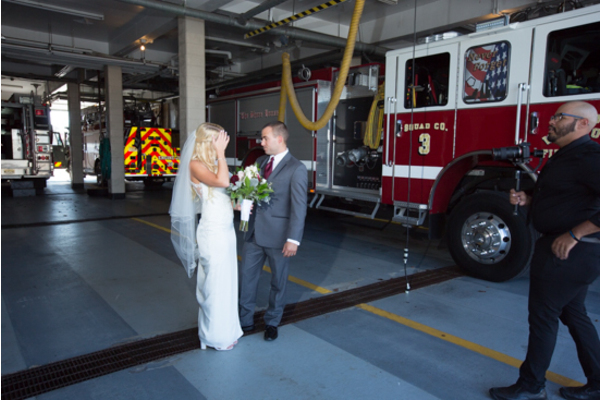 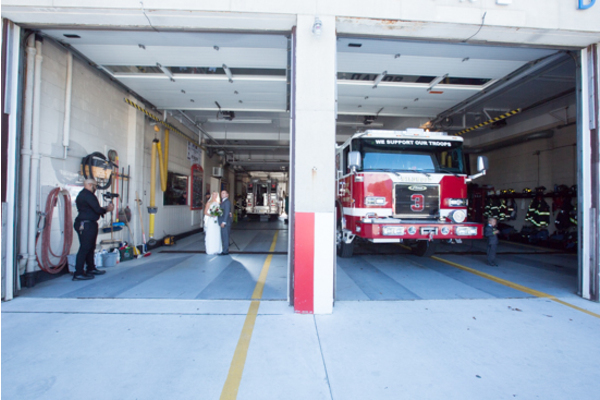 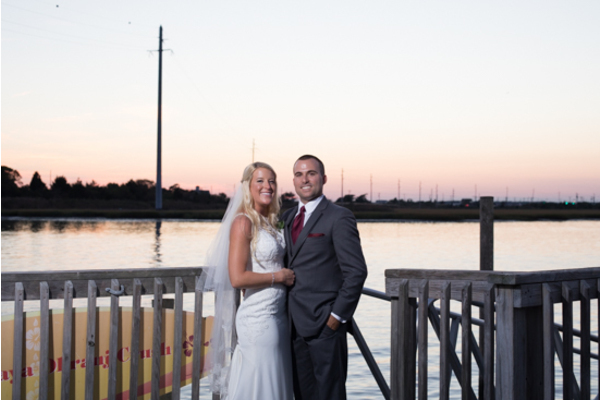 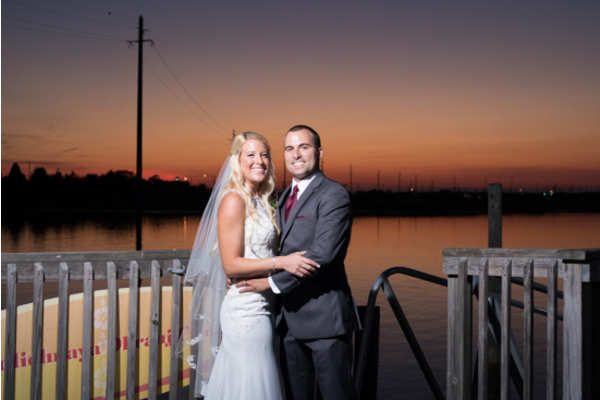 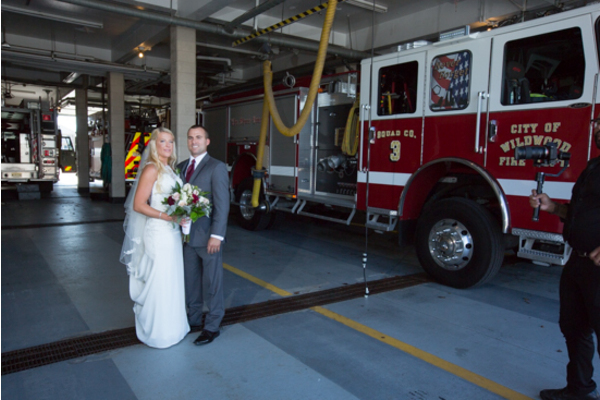 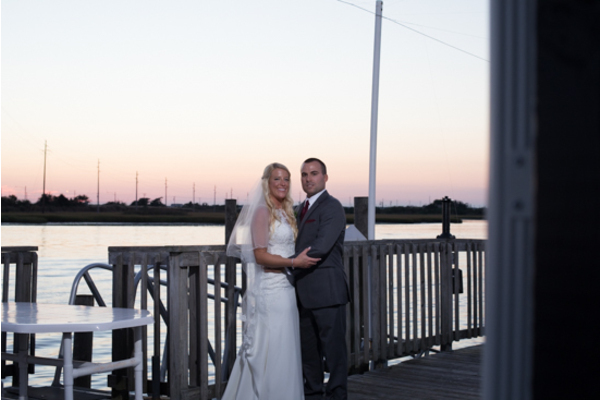 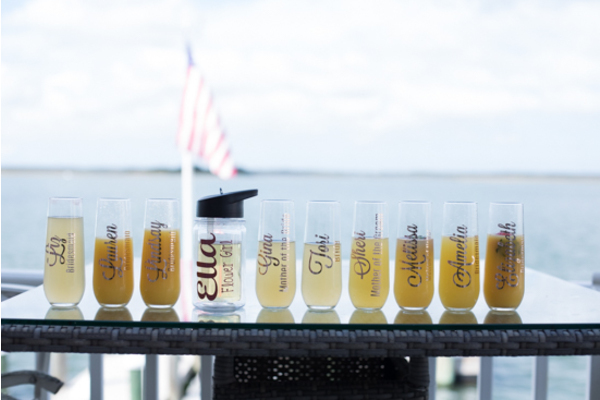 The couple got married on September 29, 2018 at the Wharf in Wildwood, NJ. 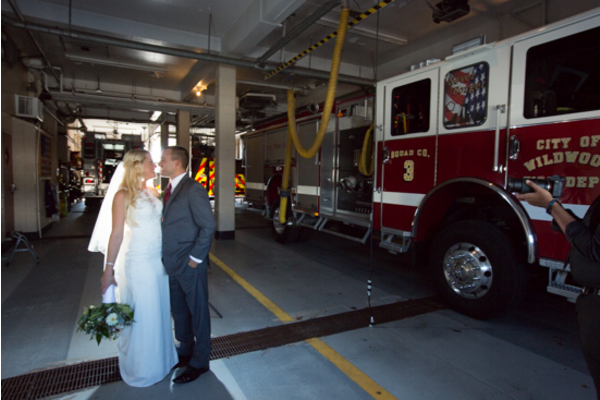 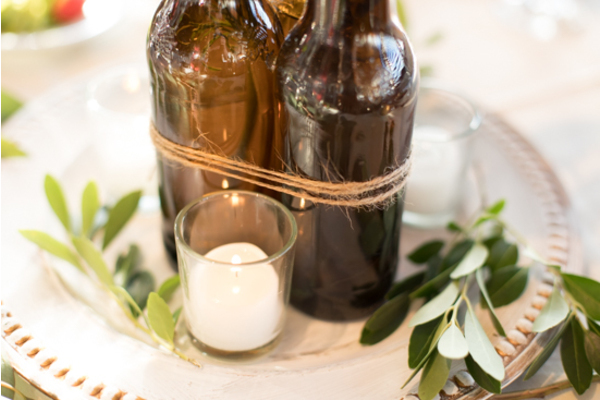 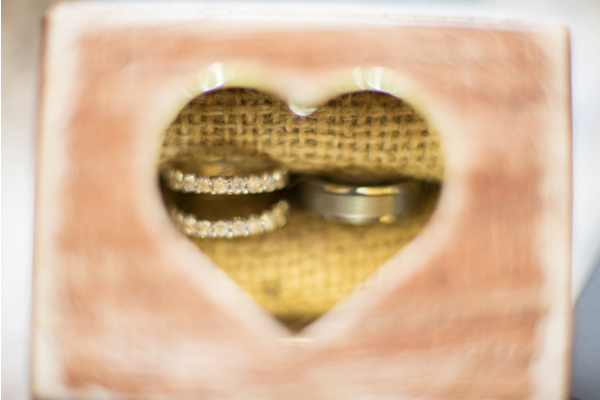 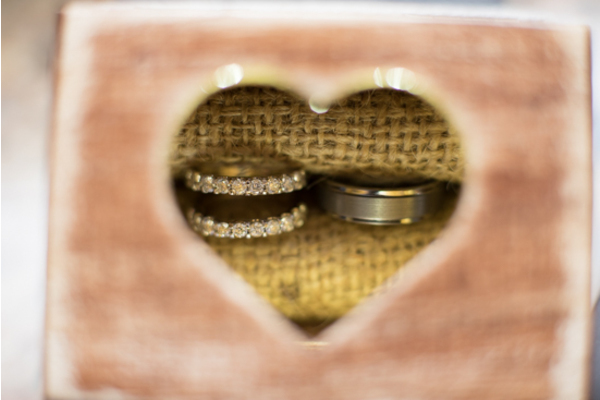 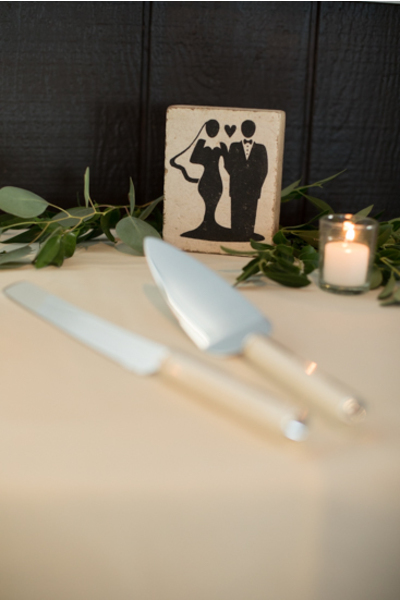 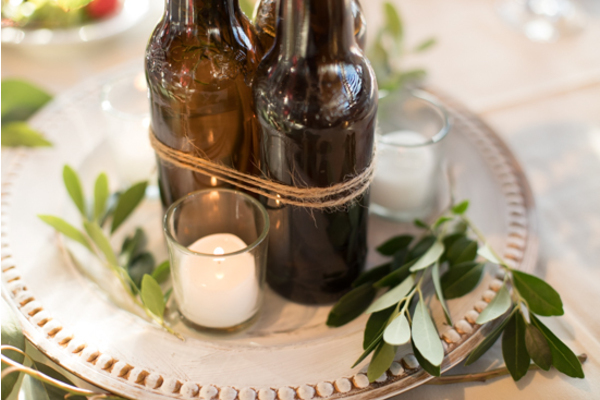 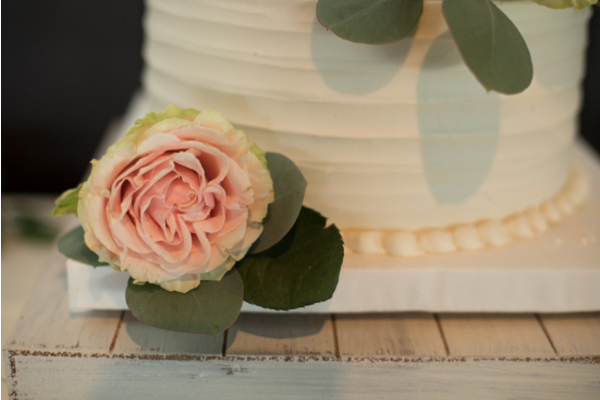 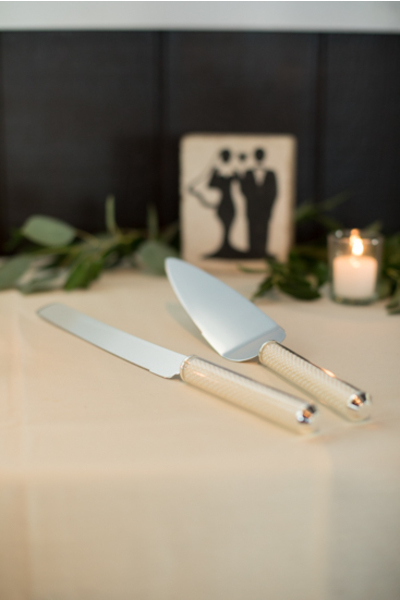 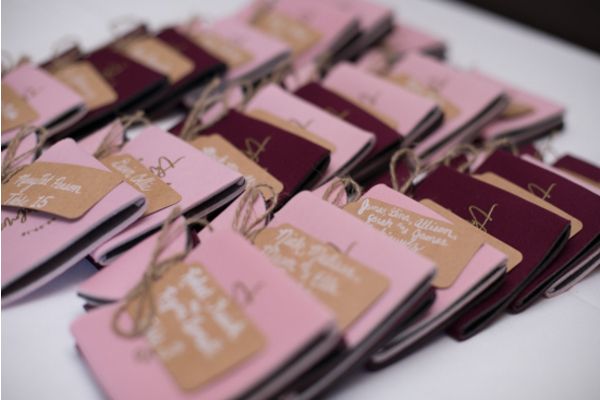 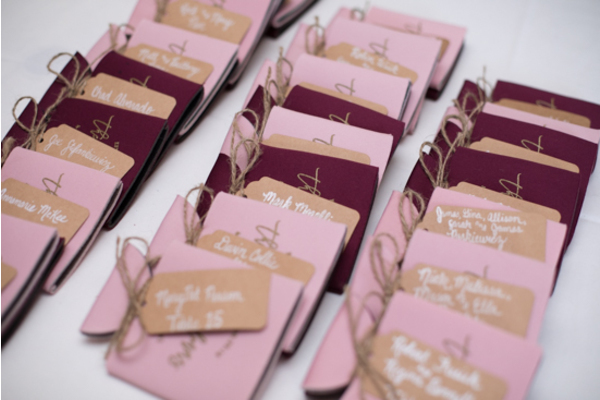 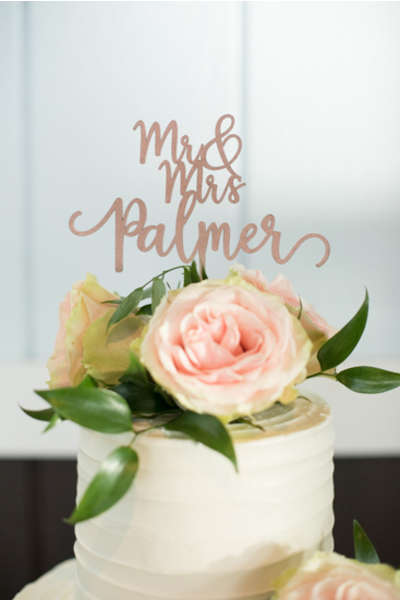 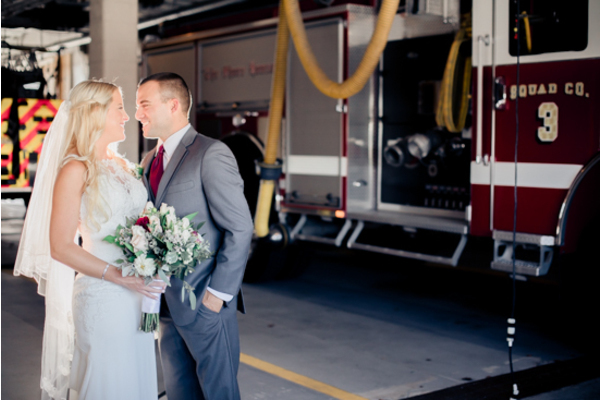 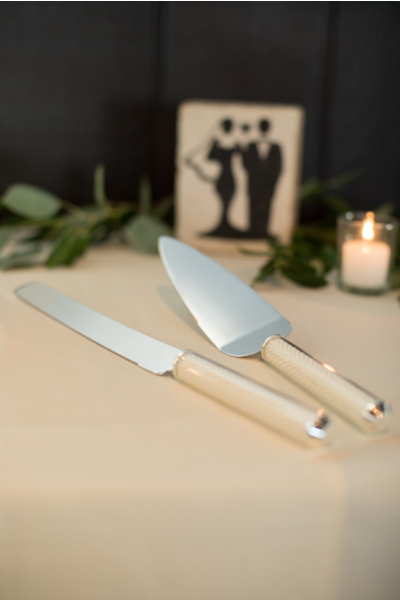 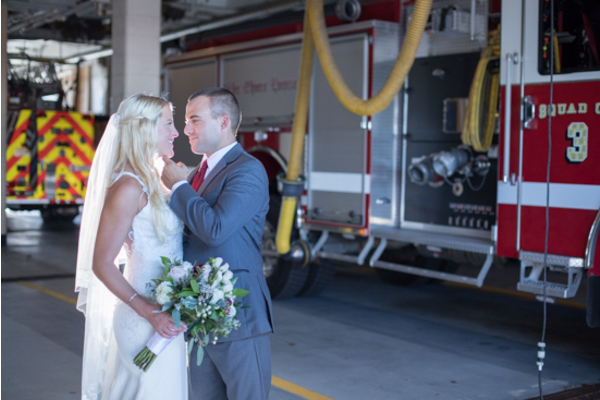 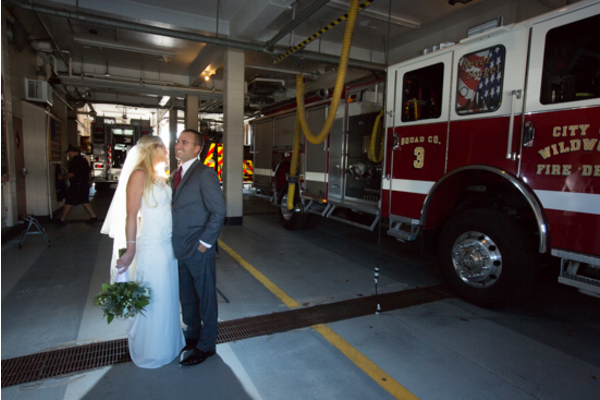 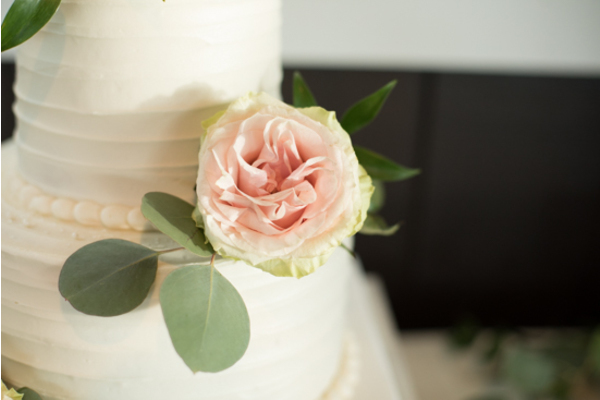 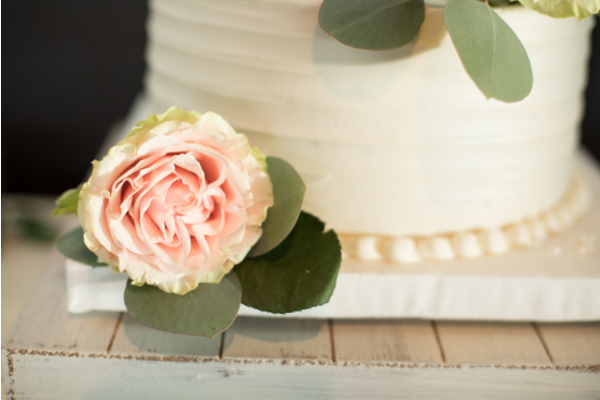 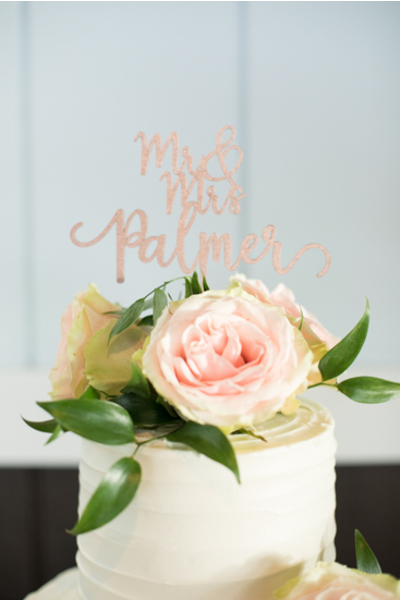 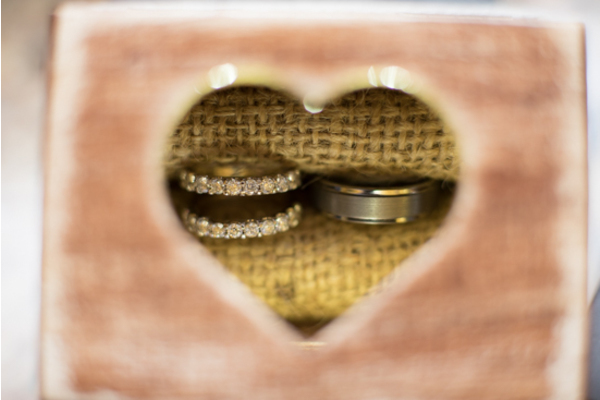 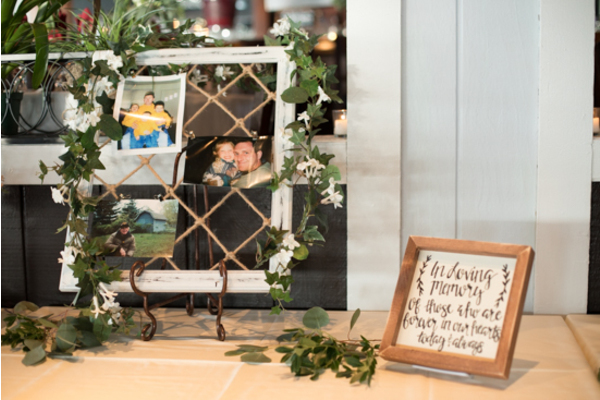 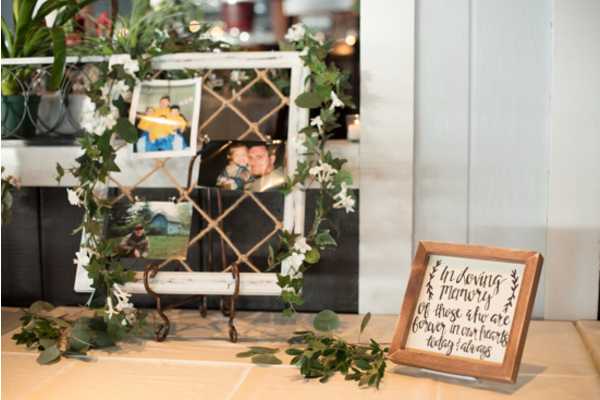 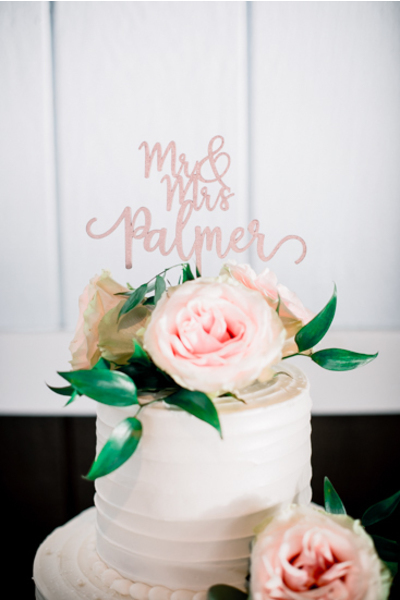 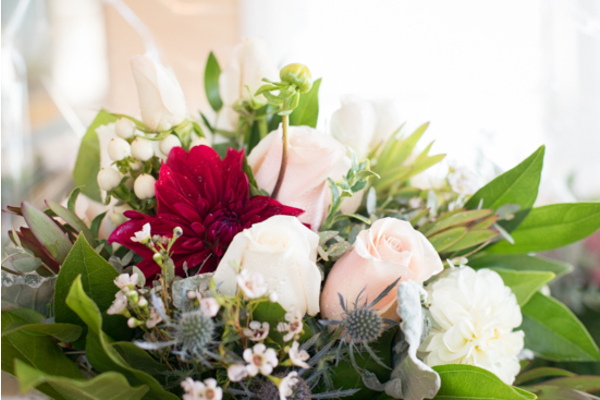 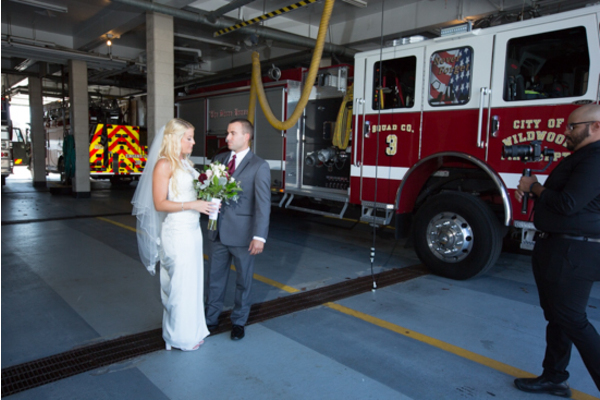 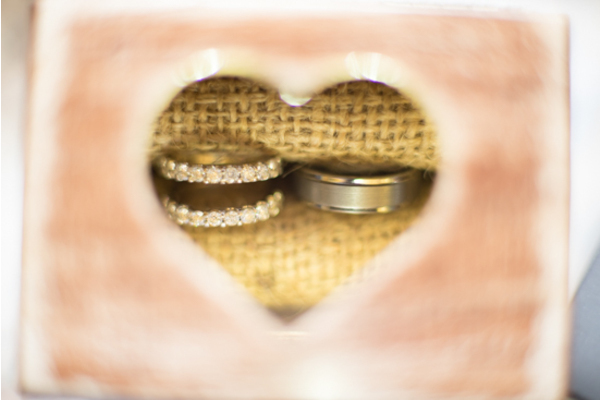 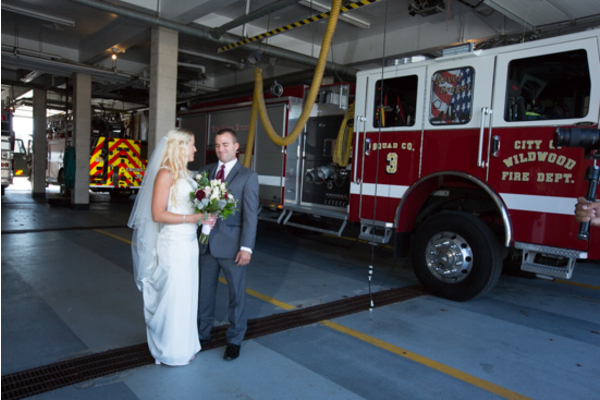 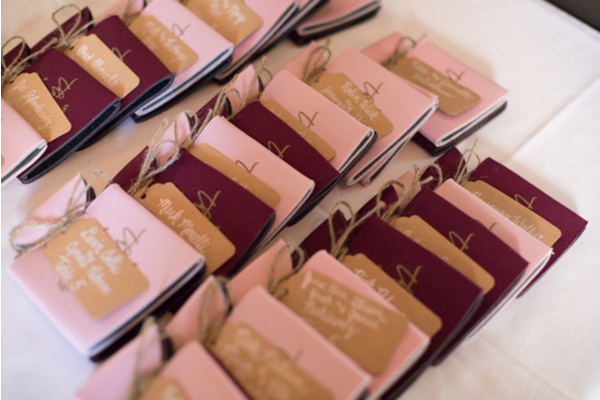 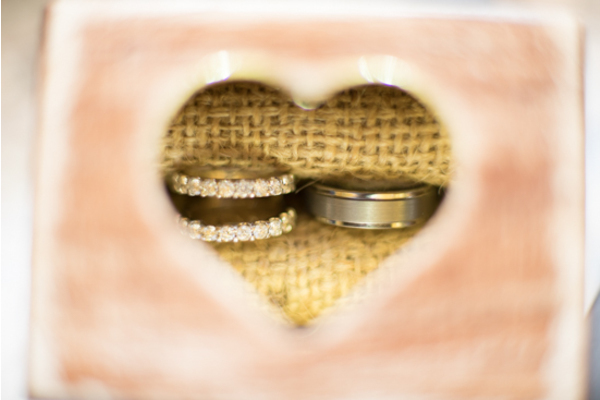 The bride and groom were so excited that their dream wedding was finally here! 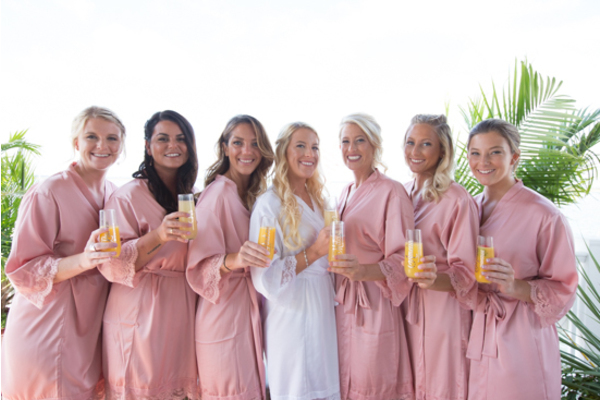 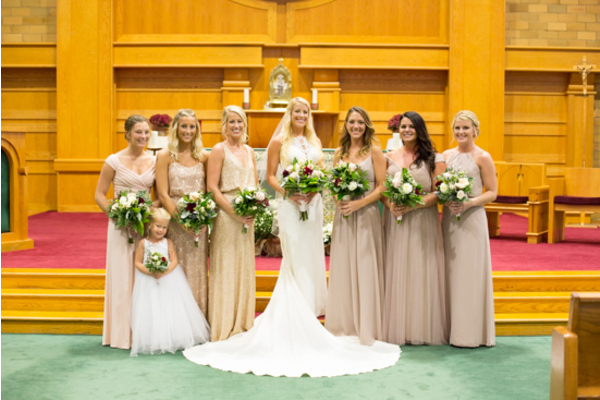 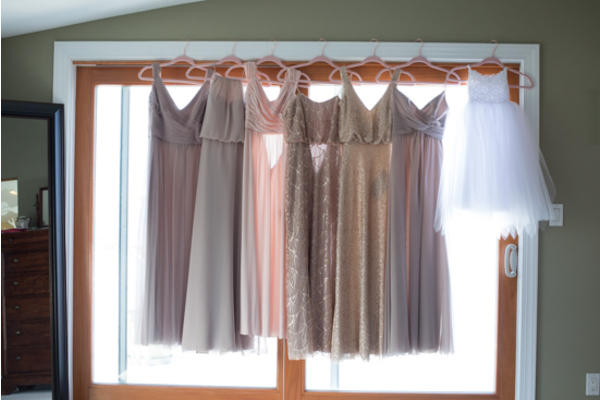 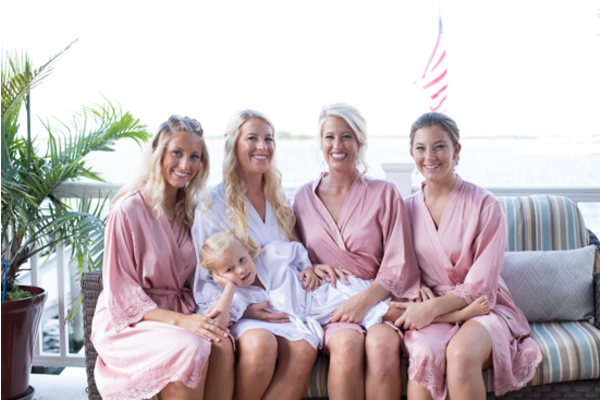 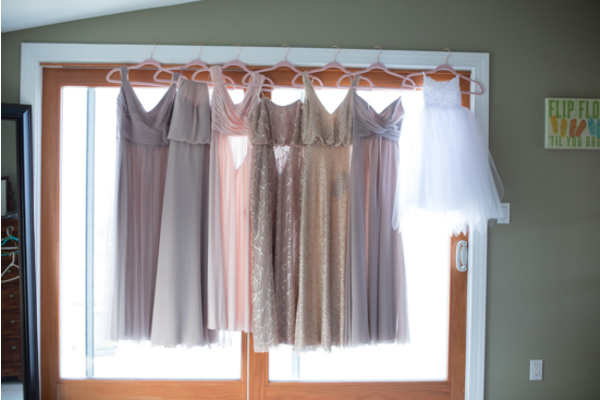 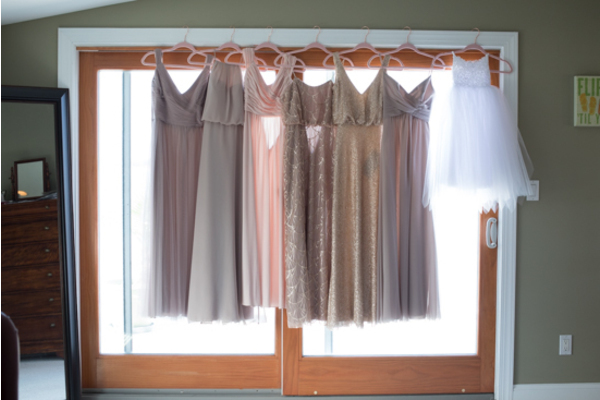 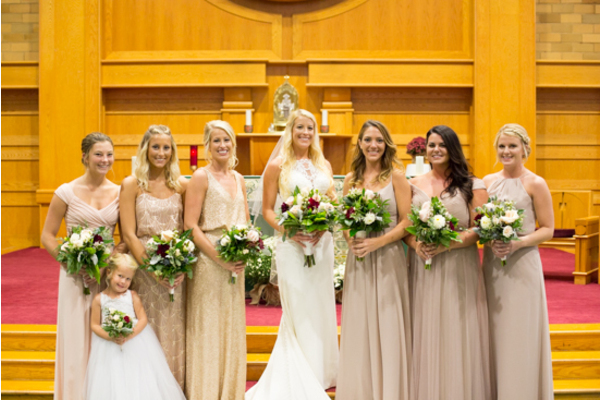 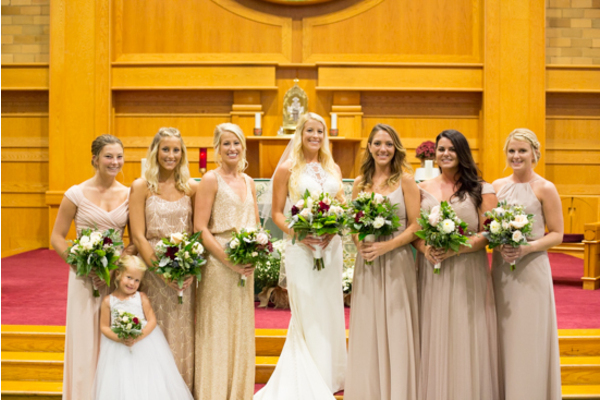 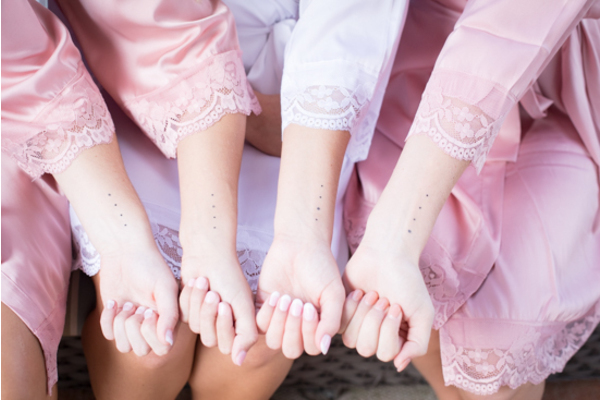 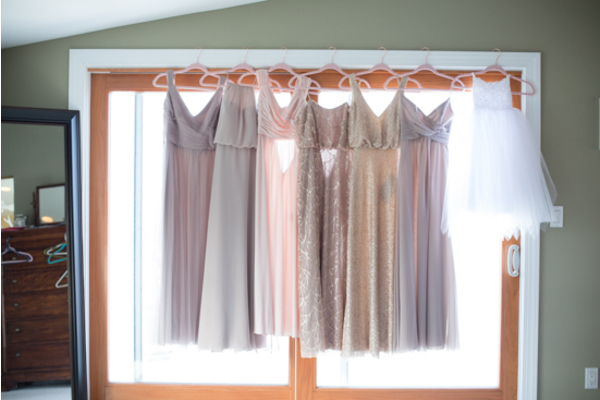 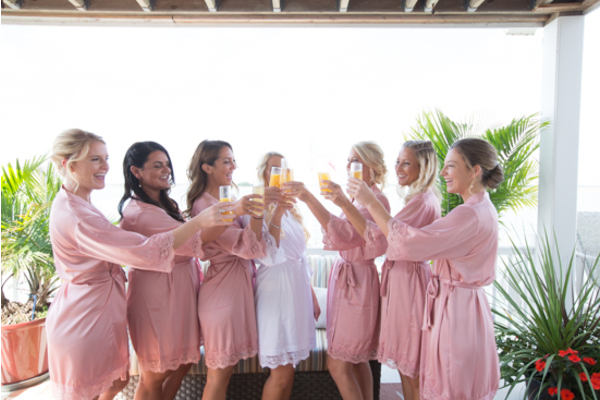 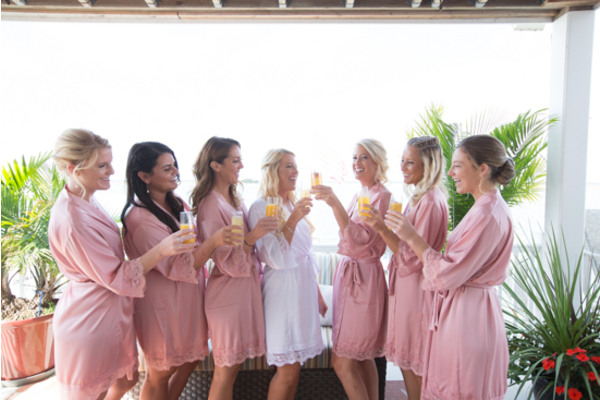 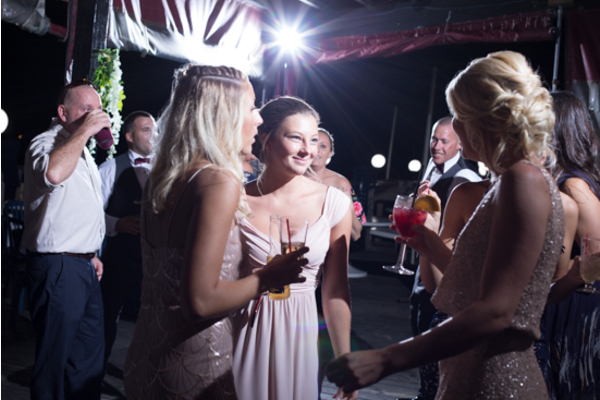 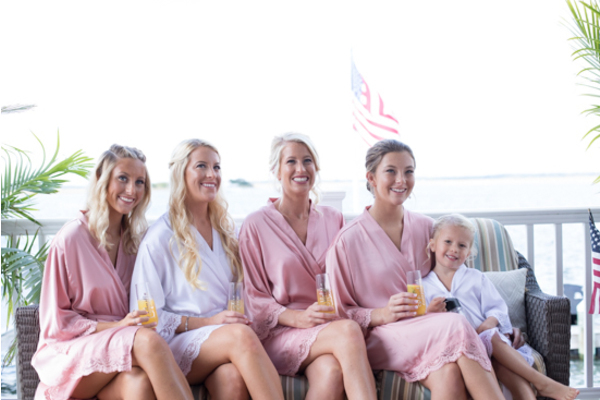 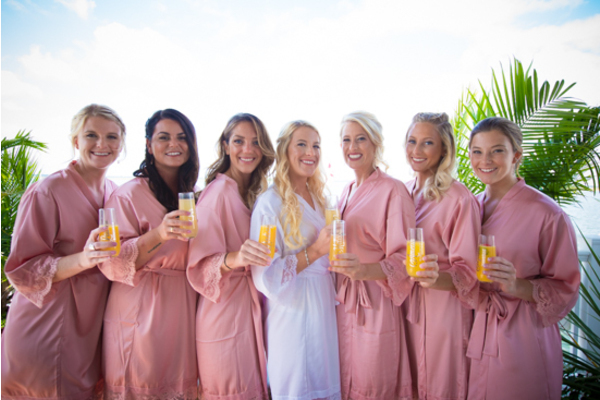 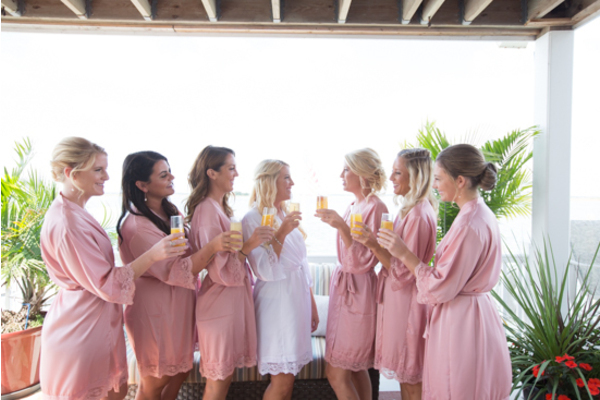 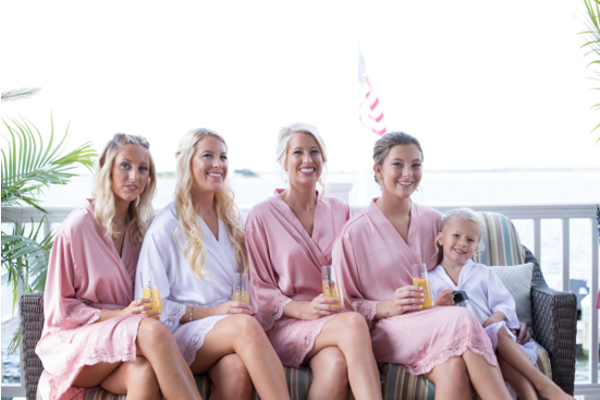 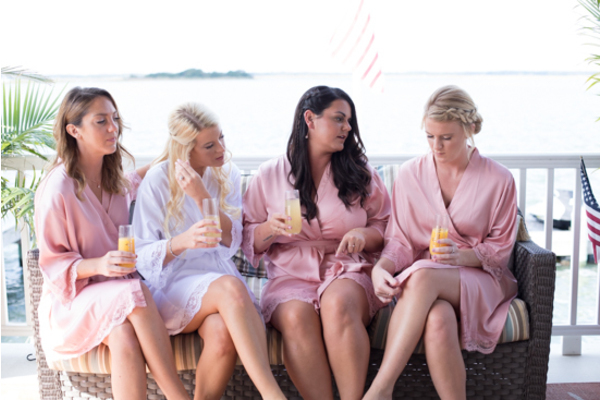 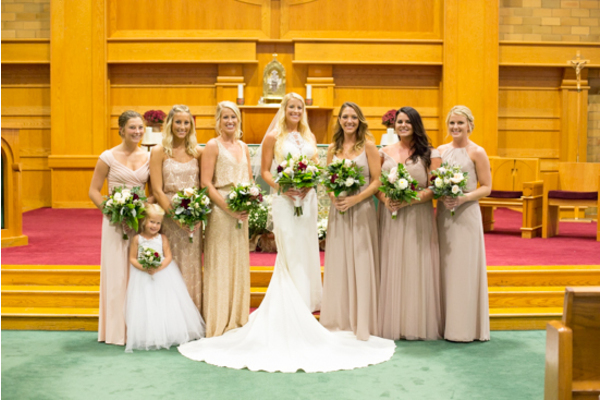 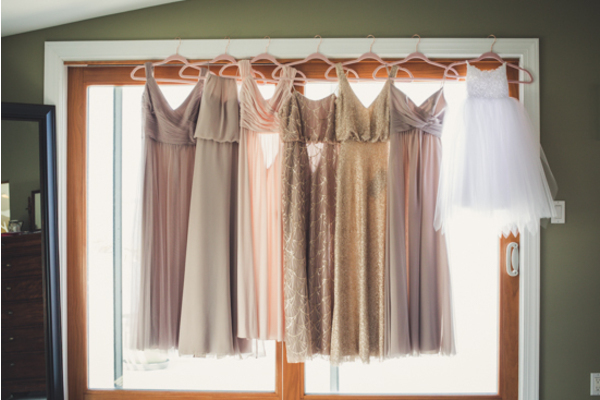 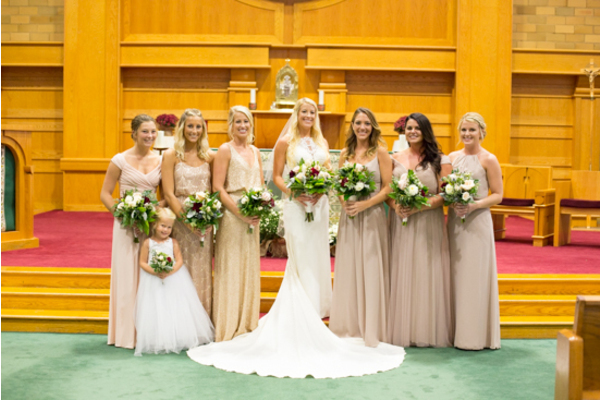 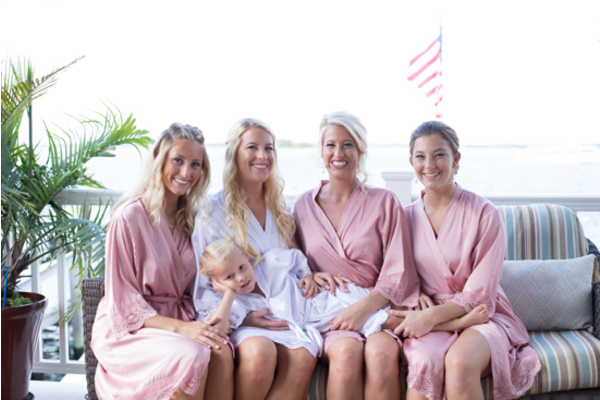 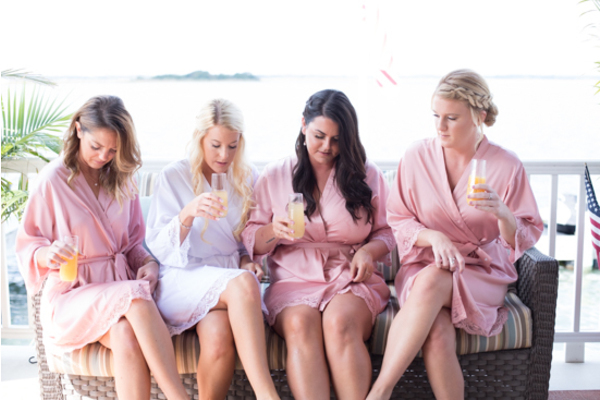 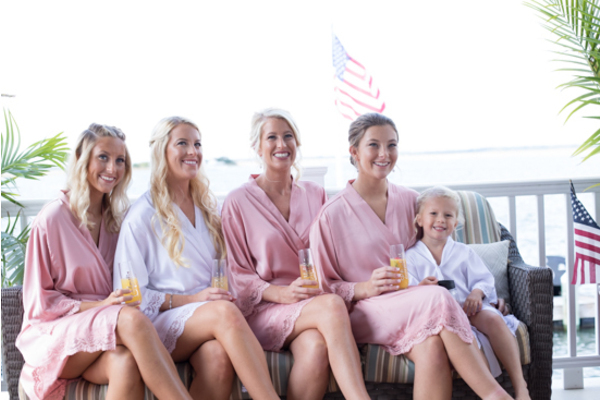 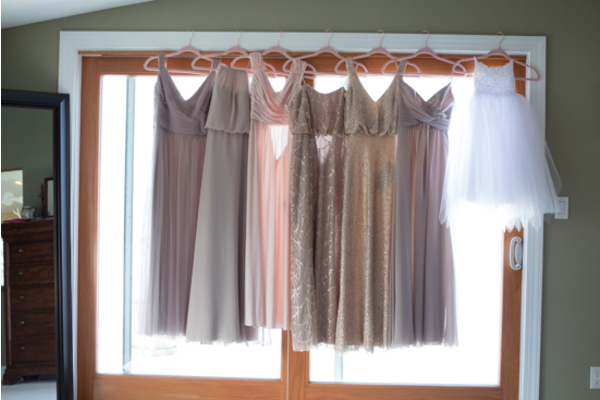 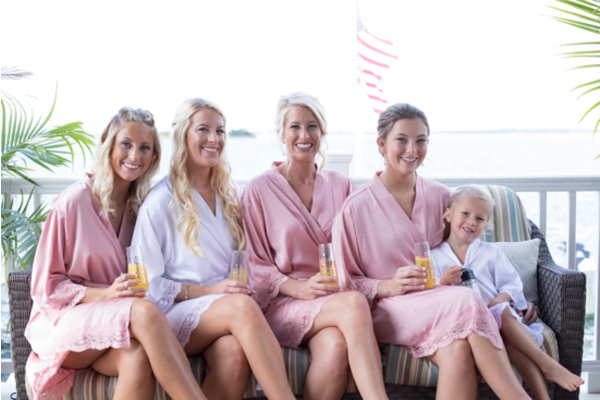 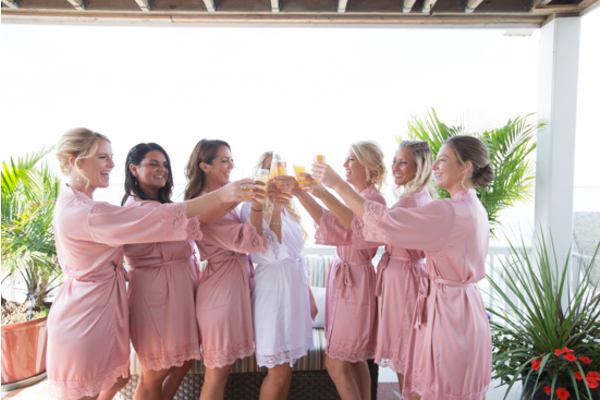 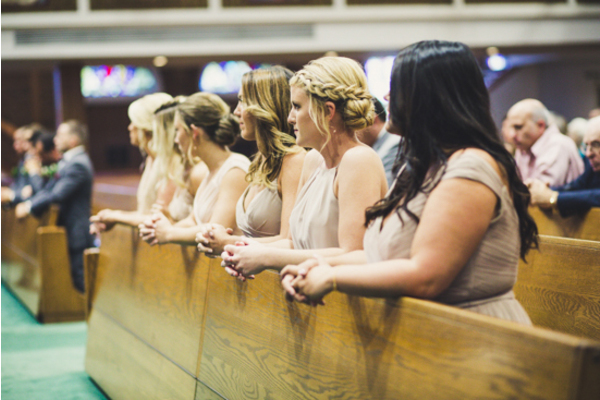 The bride started her day surrounded by her bridesmaids, mother of the bride and the flower girl. 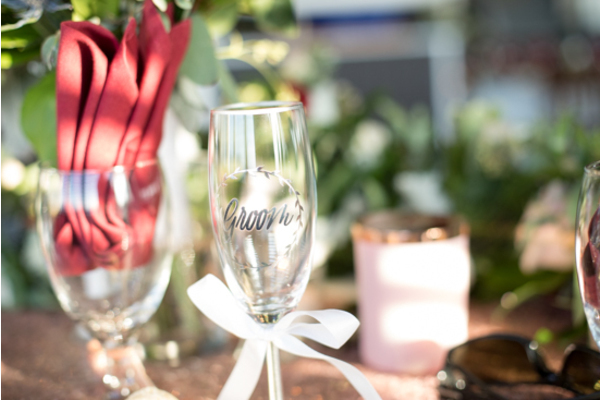 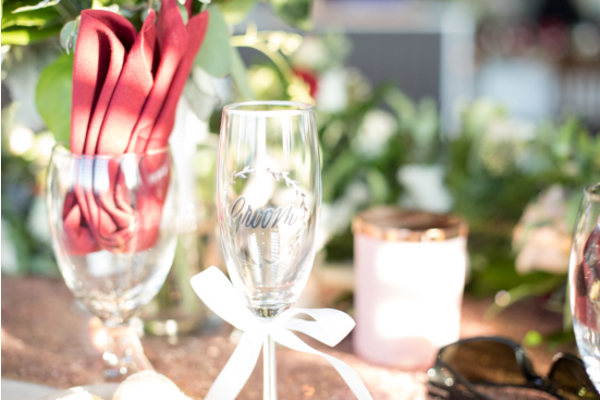 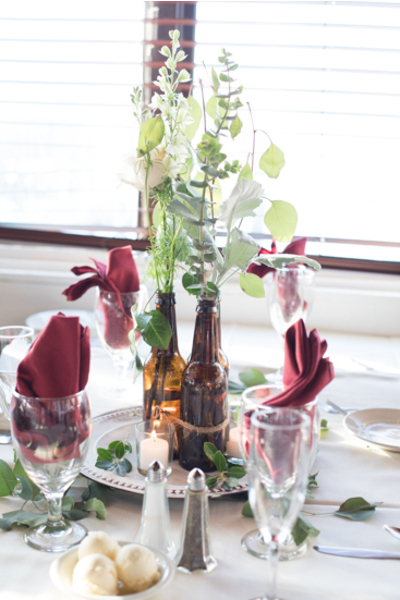 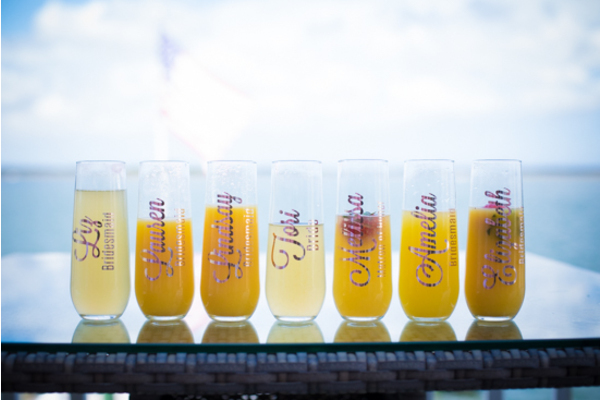 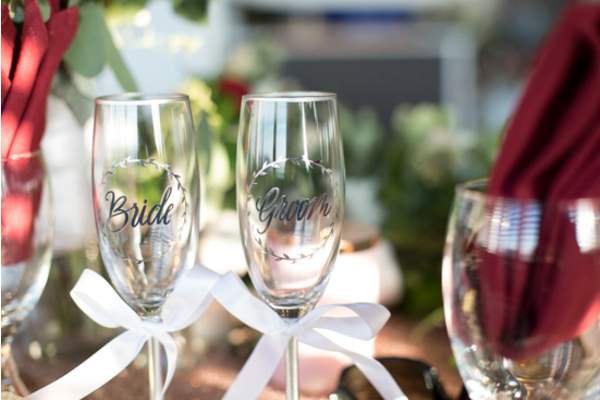 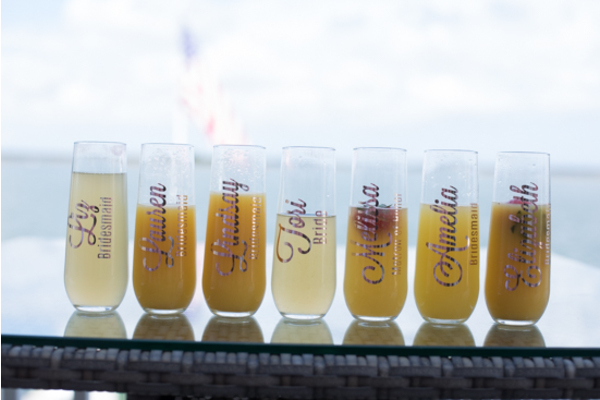 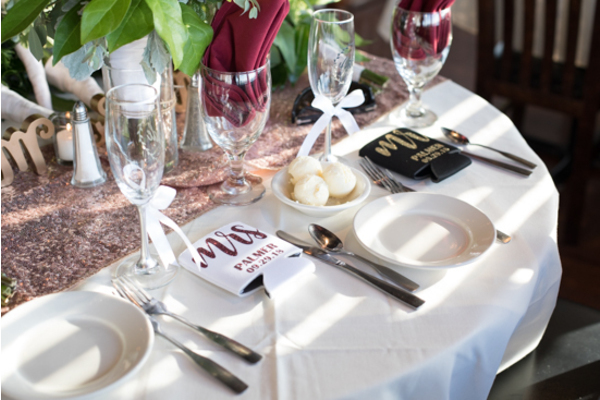 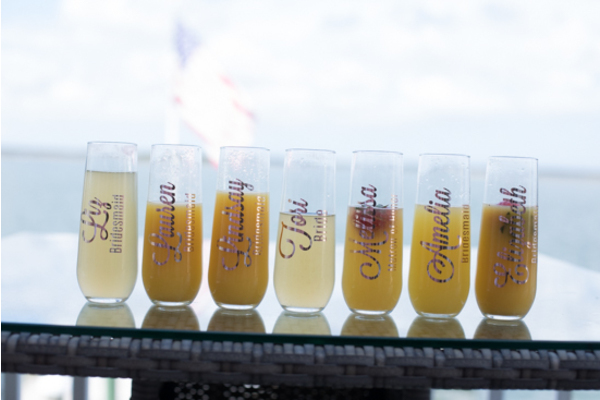 The bridal party all had custom glasses made and the bride received a bouquet of roses. 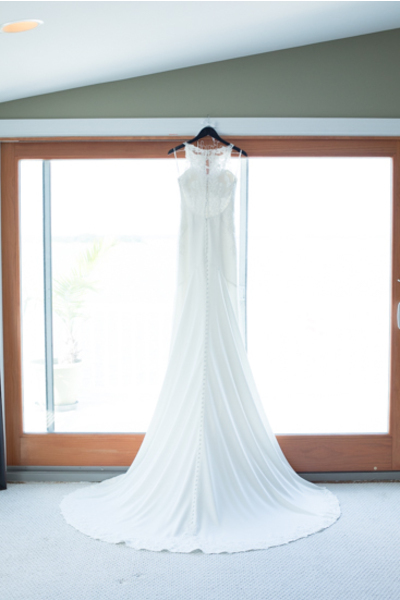 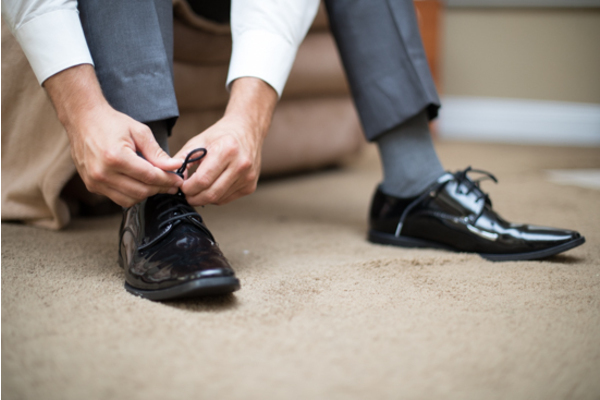 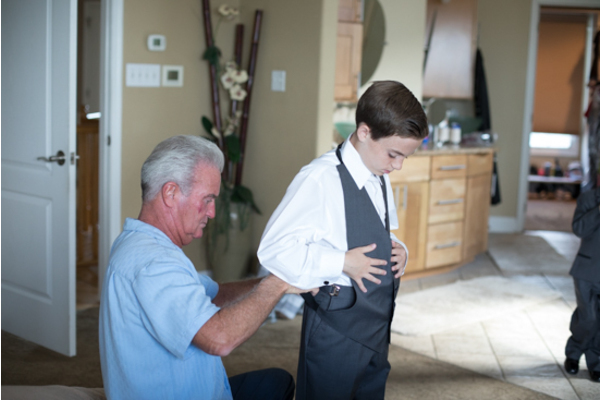 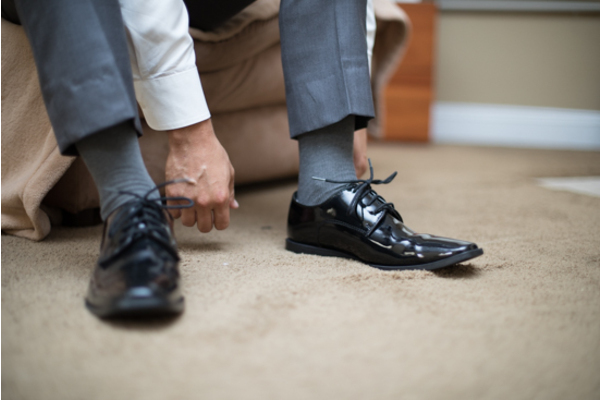 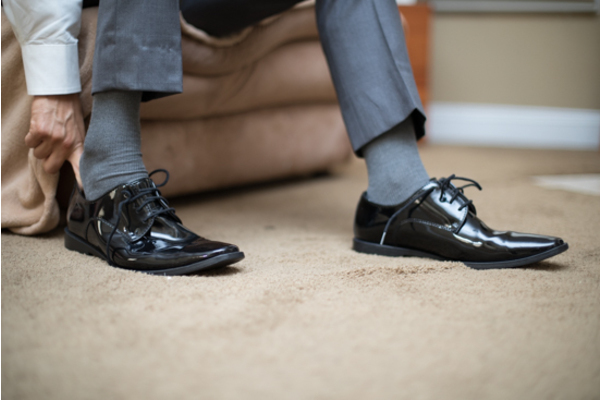 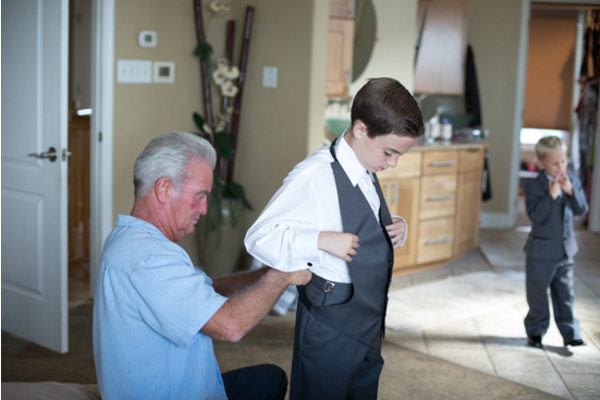 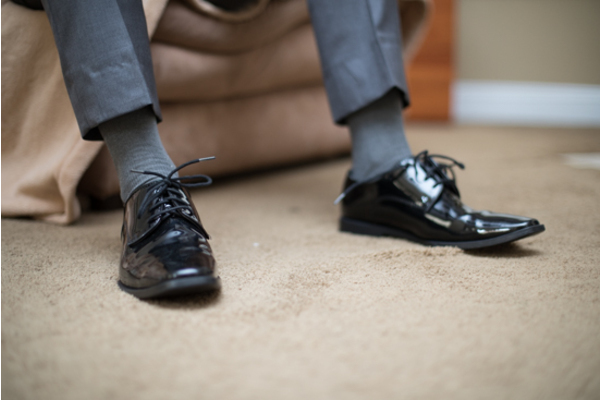 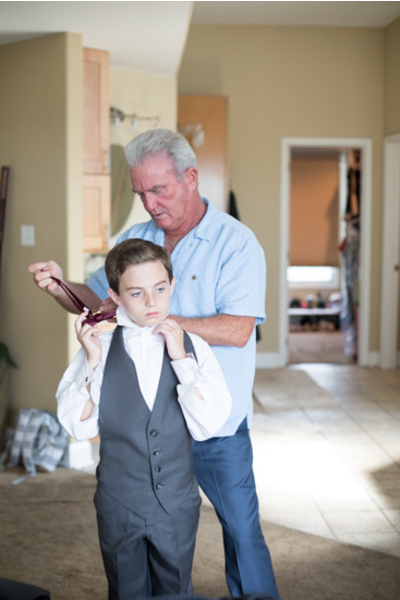 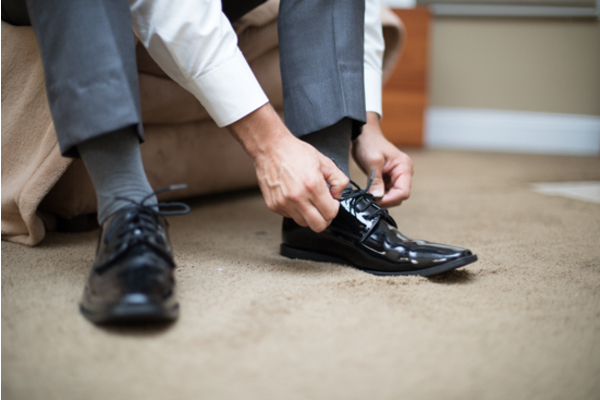 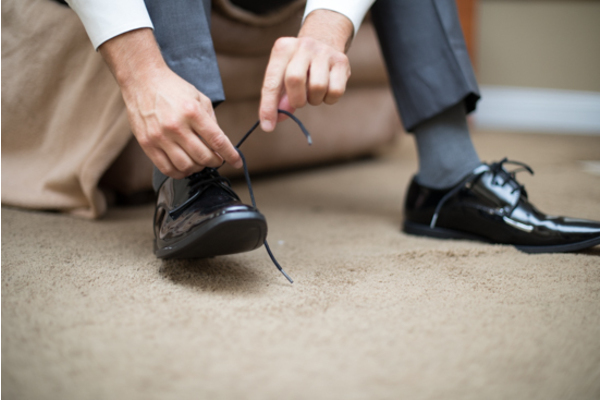 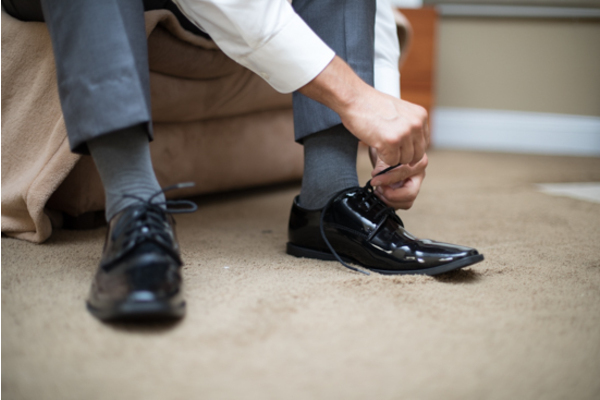 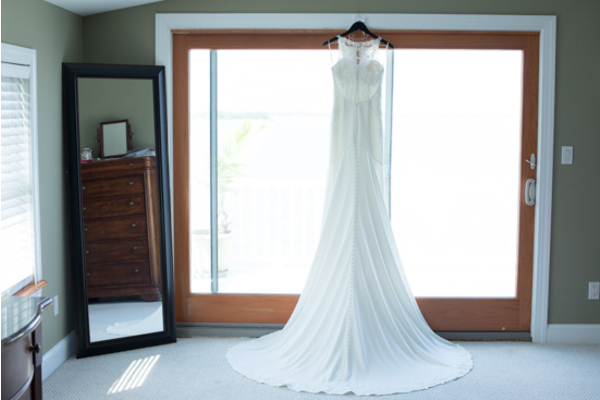 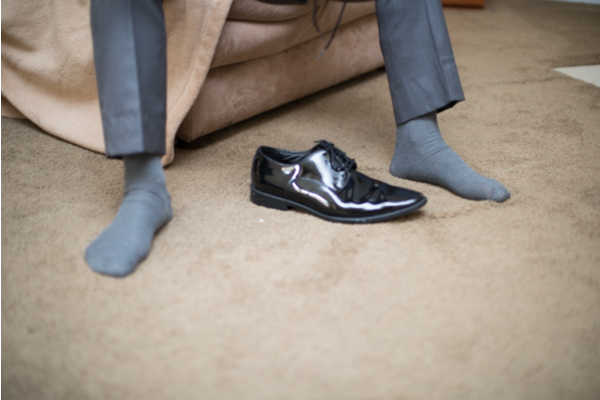 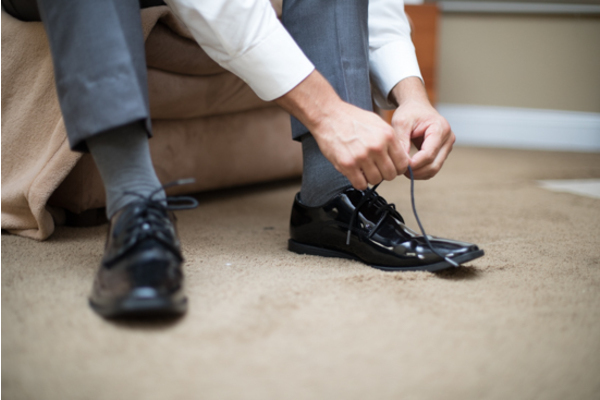 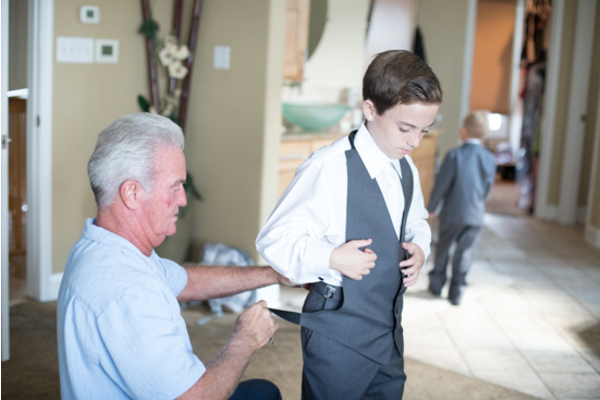 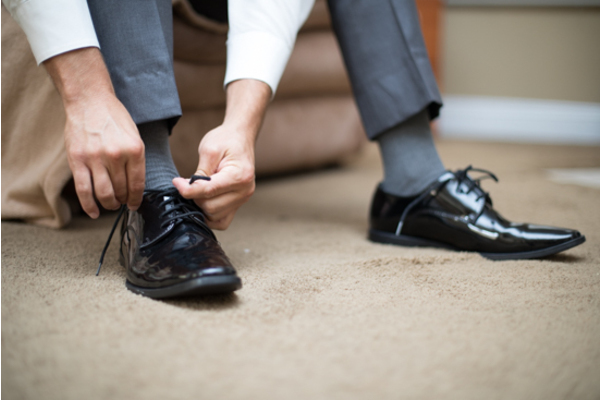 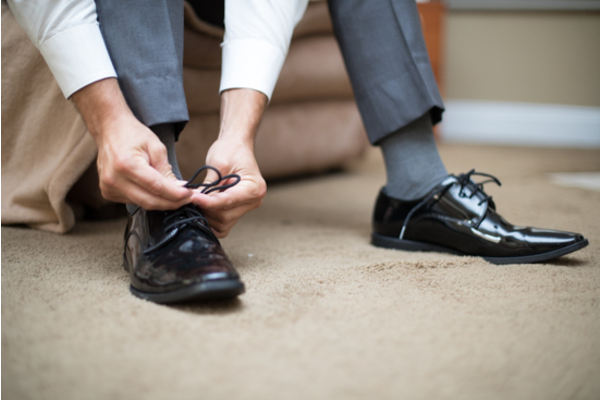 Victoria put on her gorgeous wedding dress and shoes while her mother put on her veil. 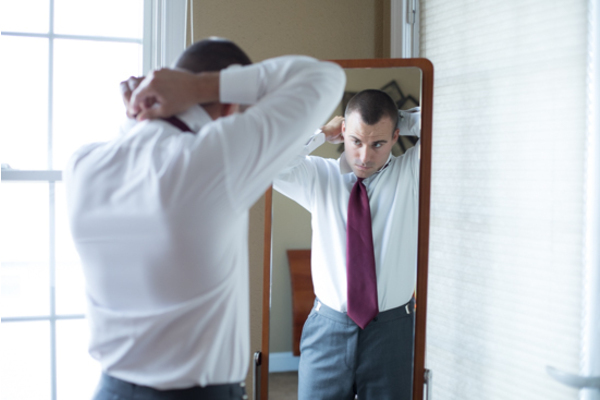 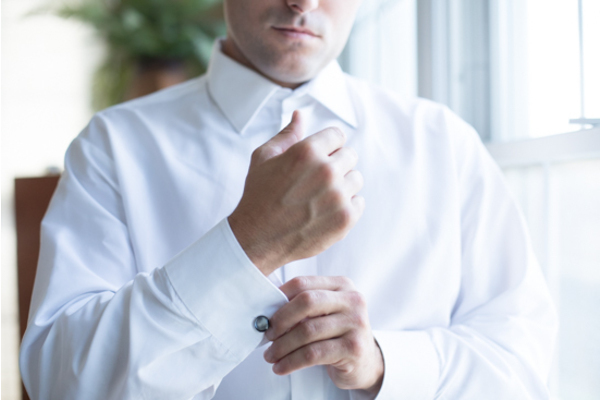 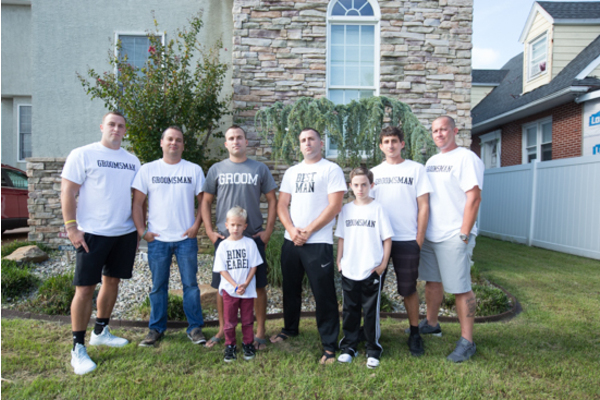 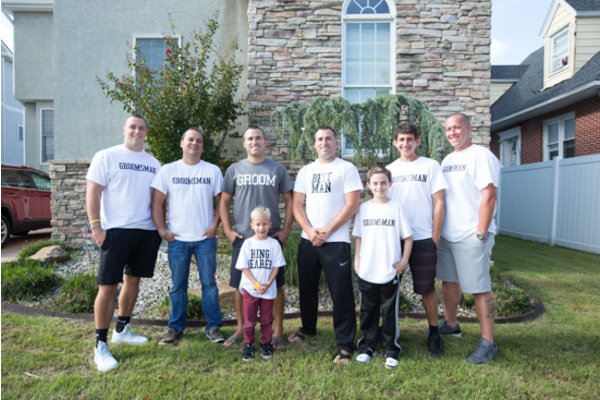 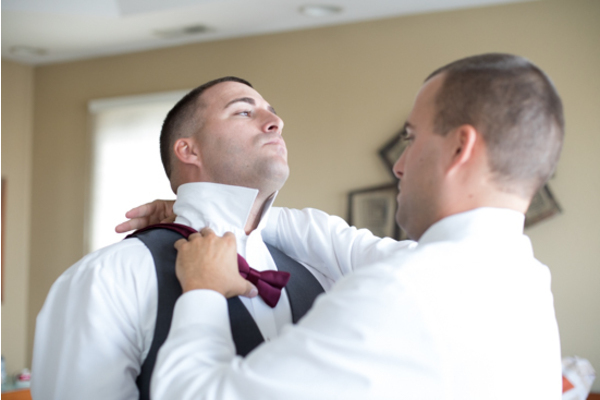 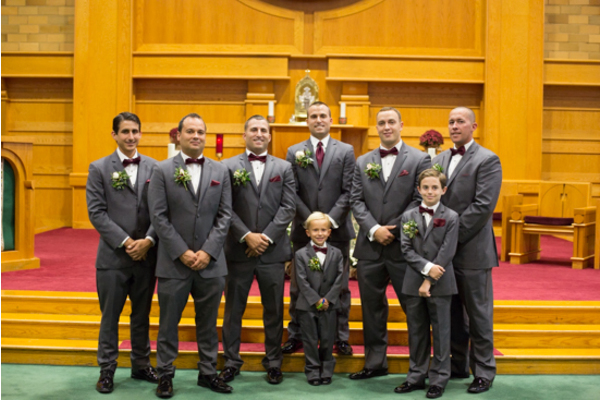 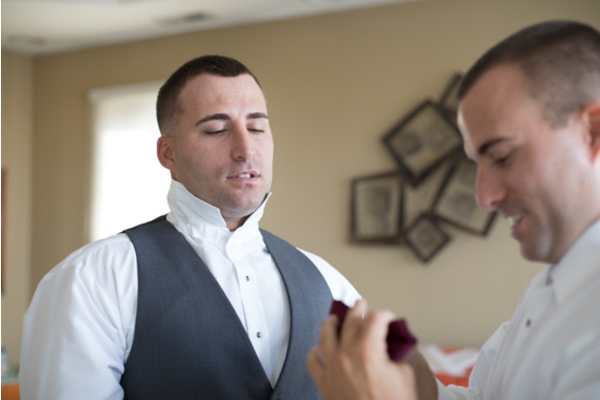 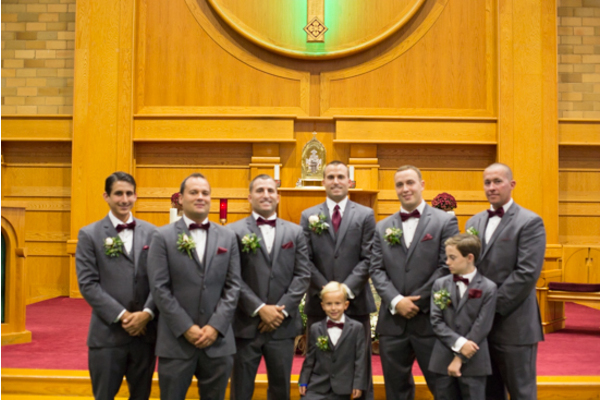 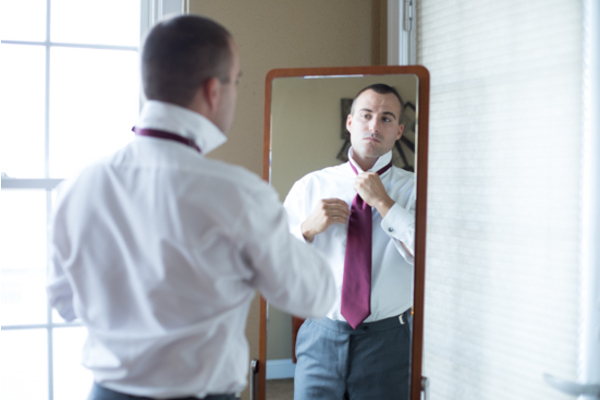 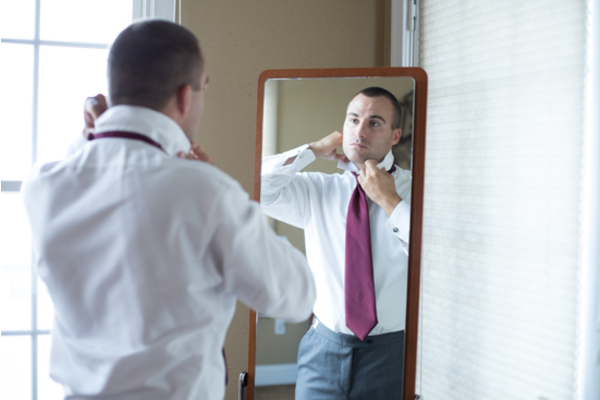 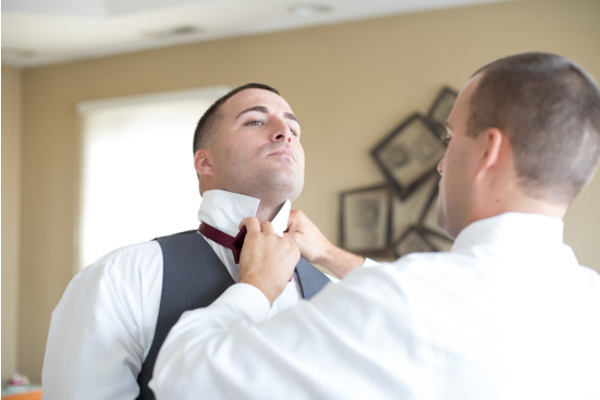 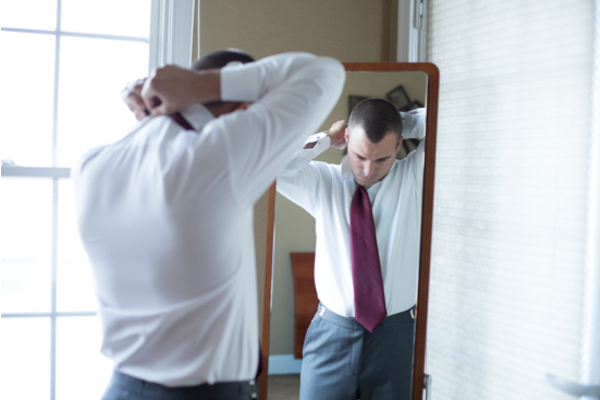 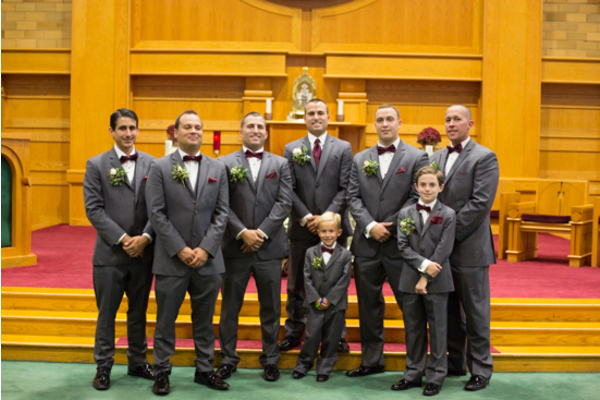 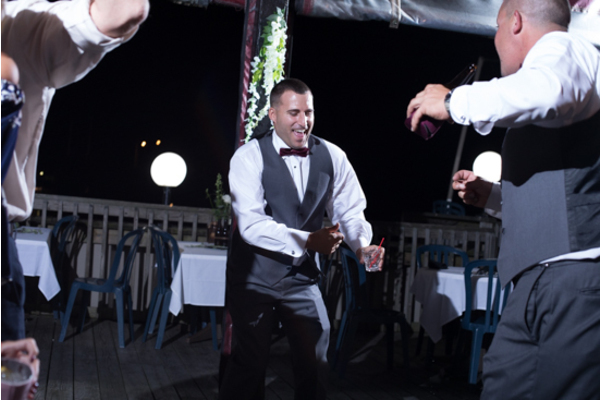 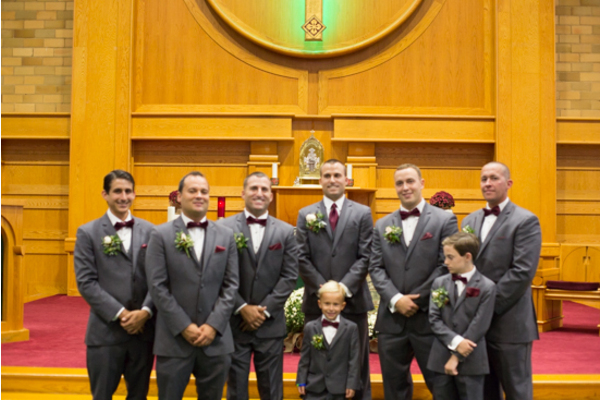 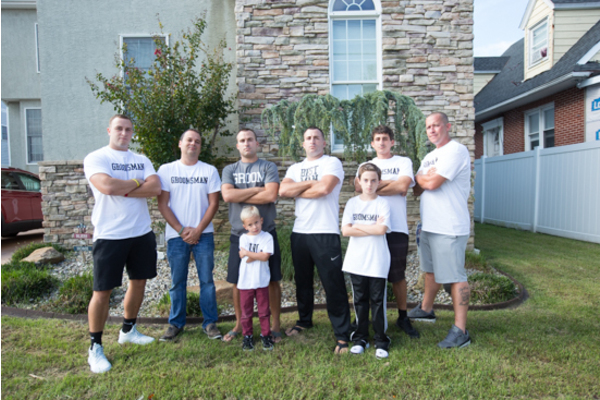 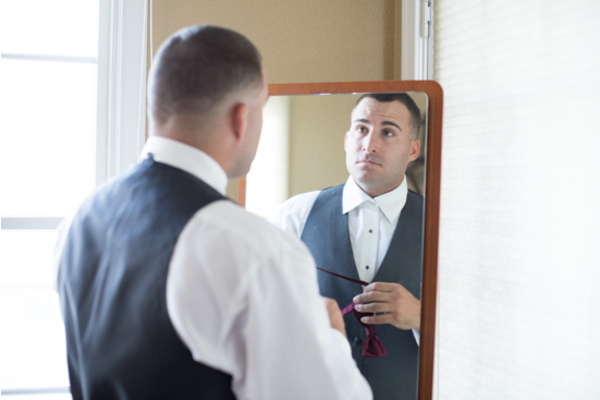 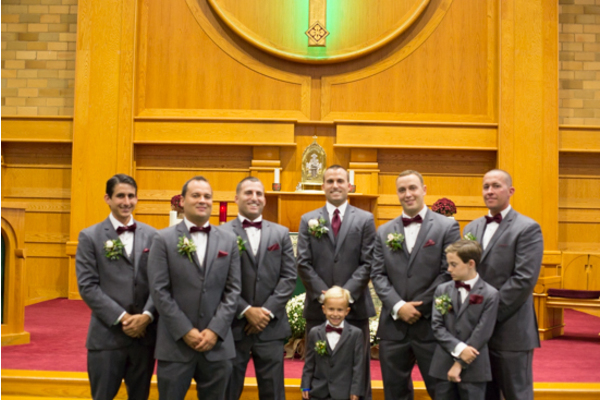 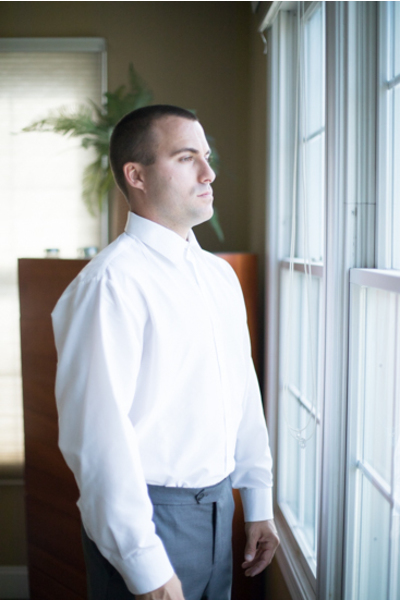 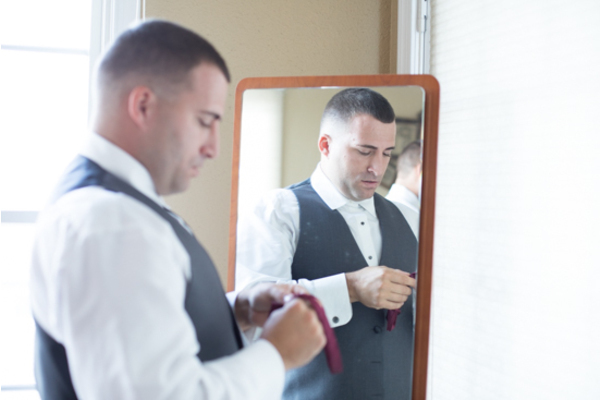 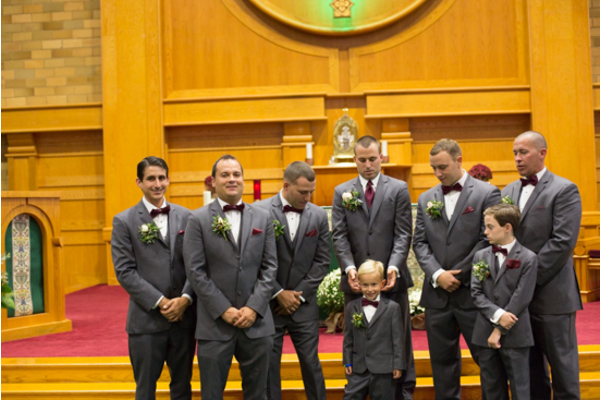 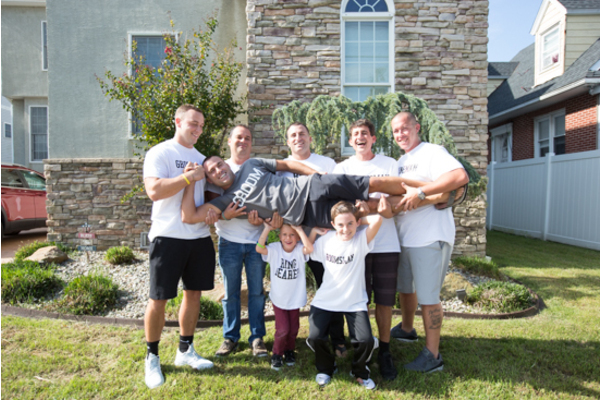 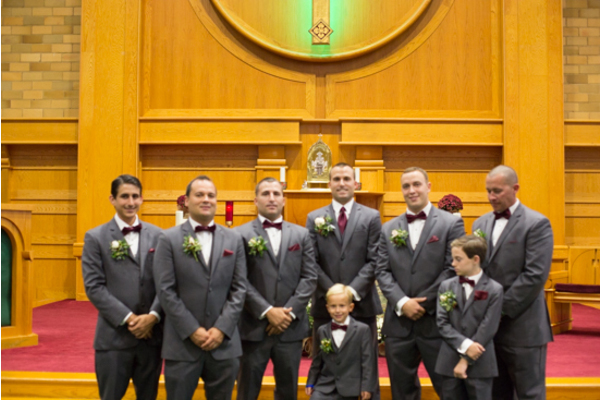 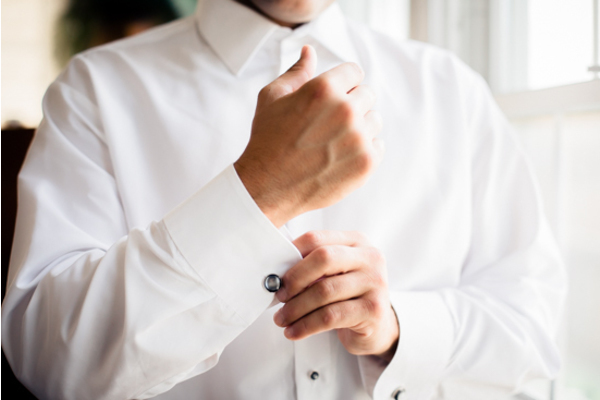 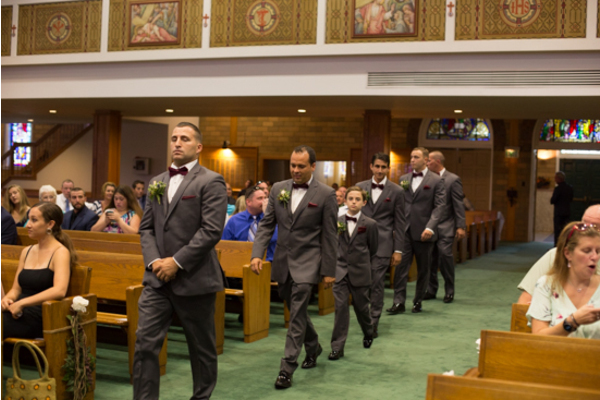 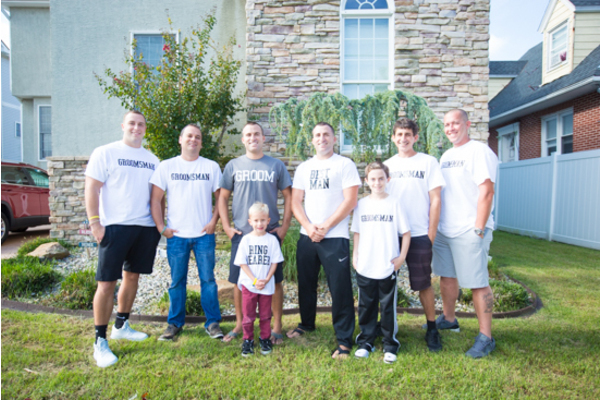 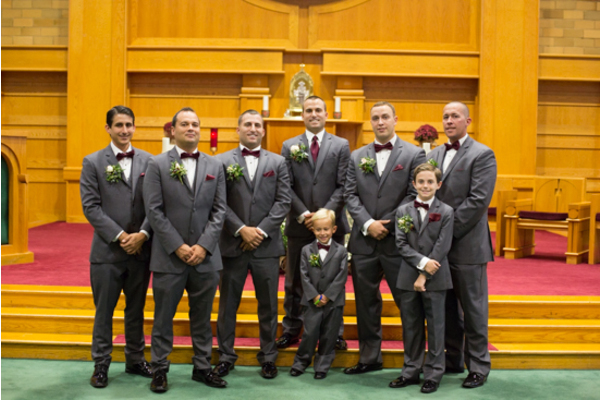 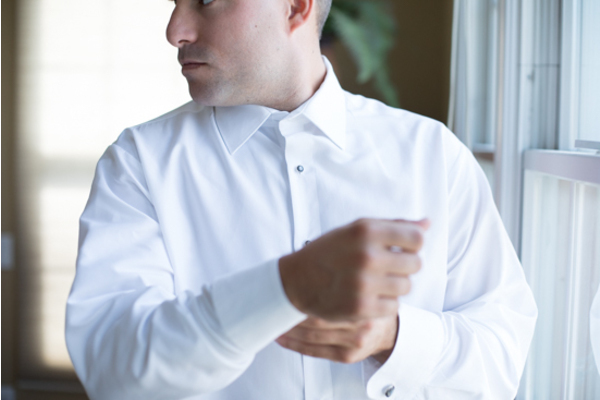 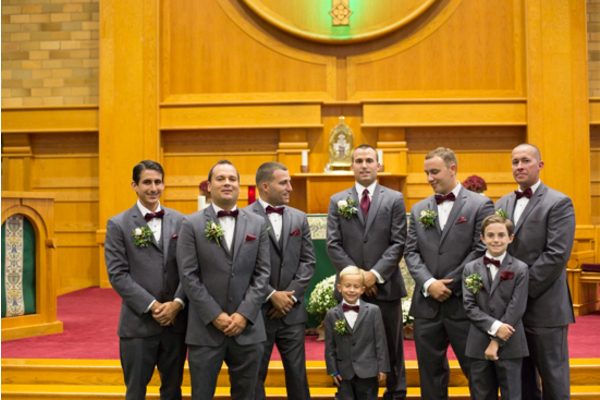 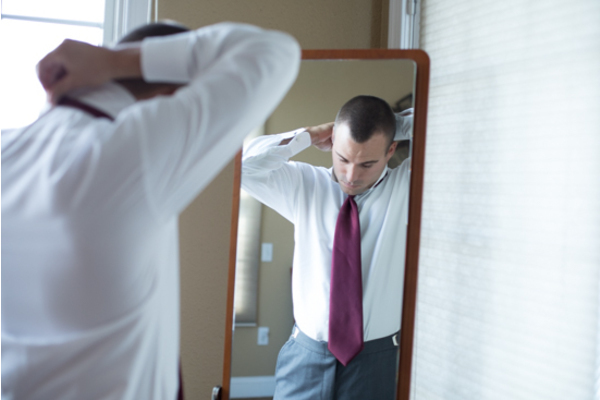 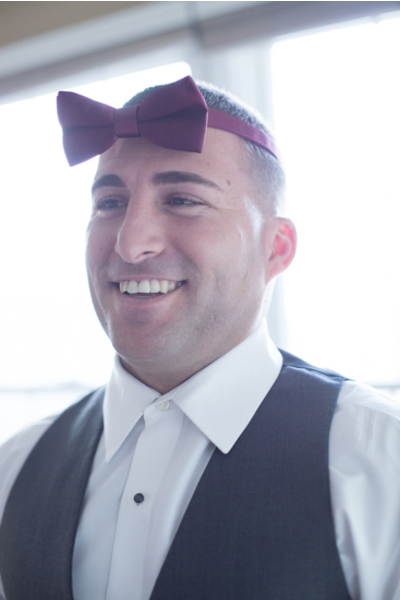 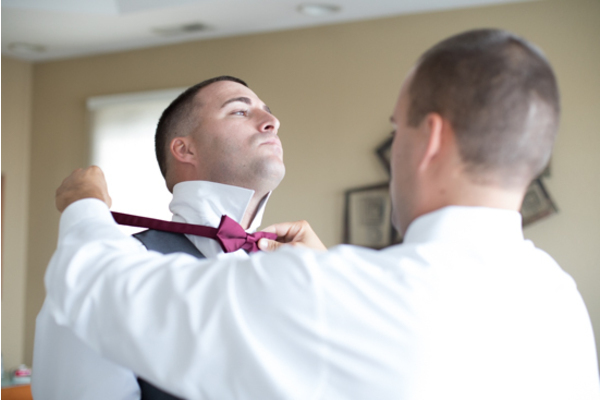 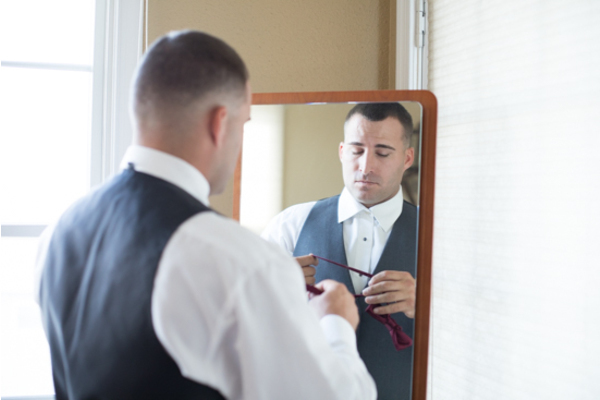 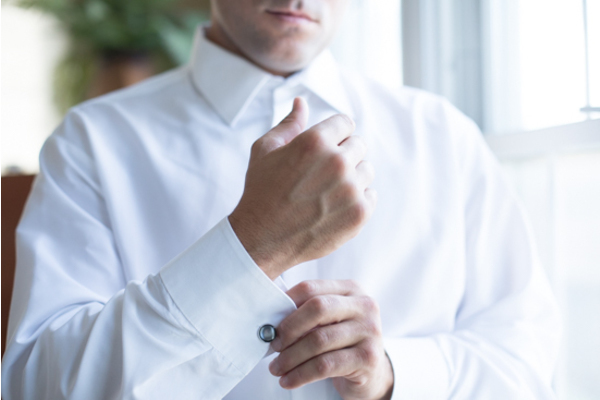 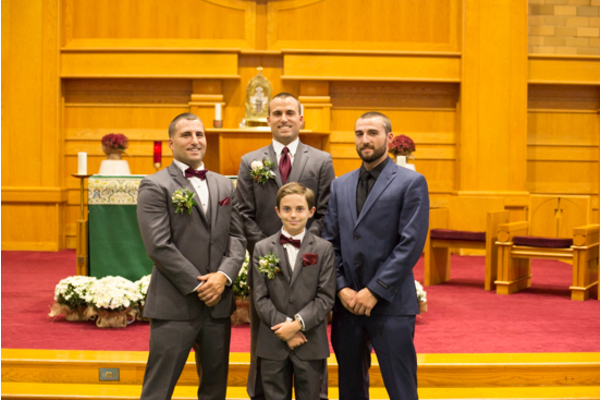 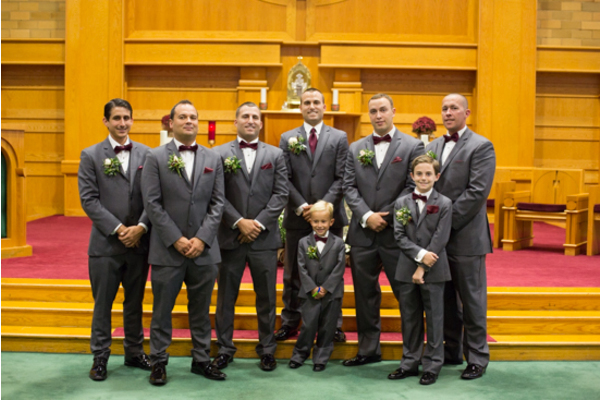 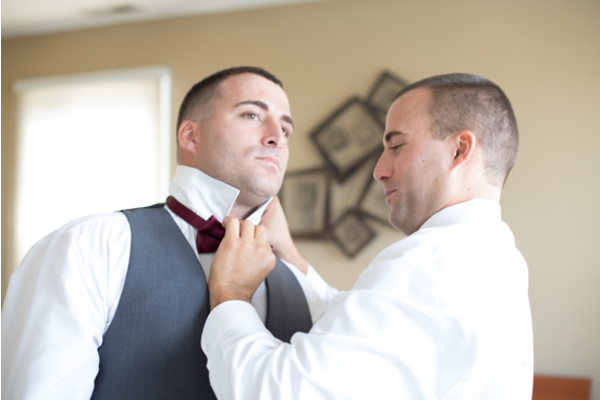 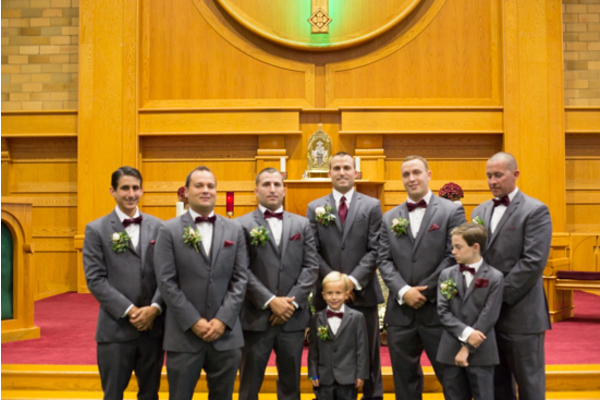 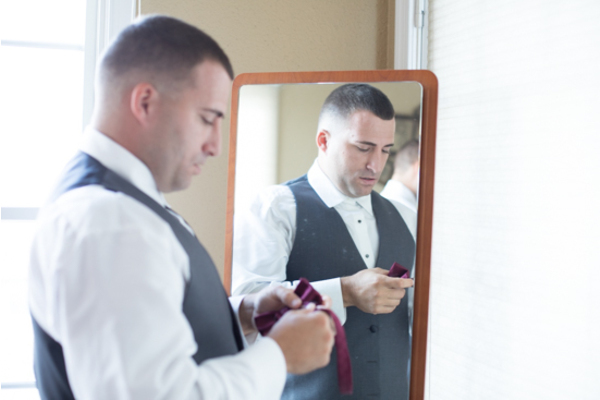 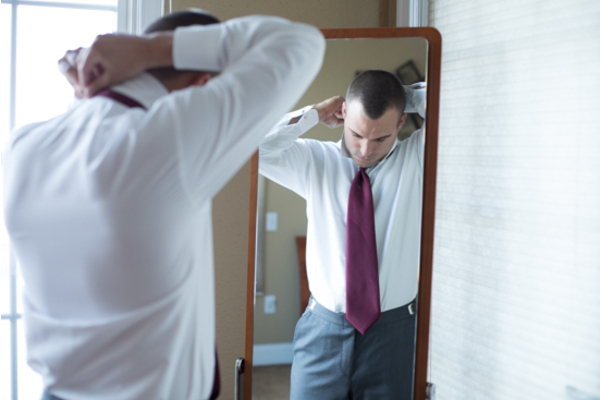 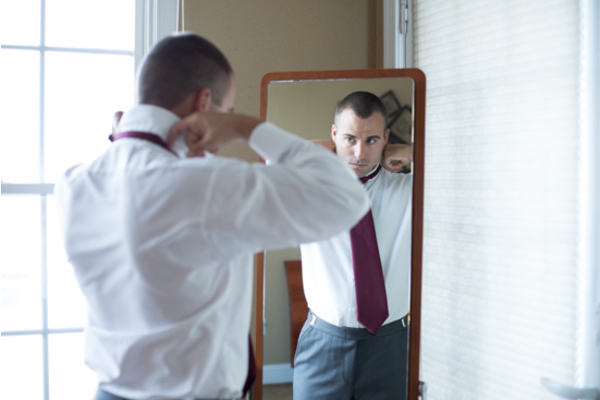 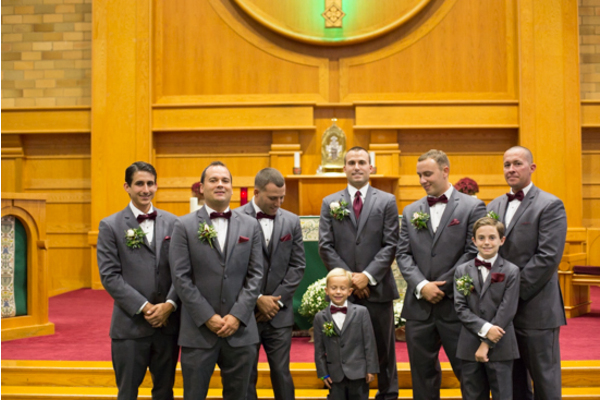 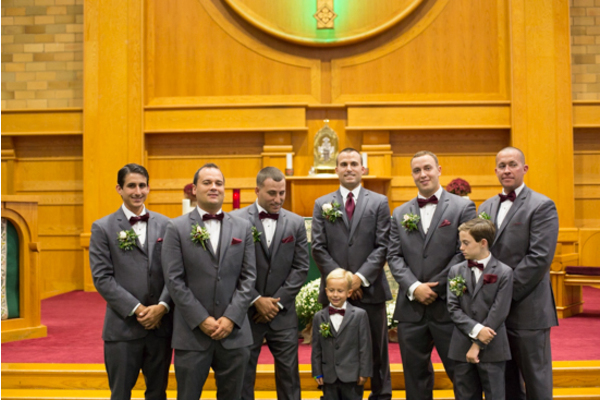 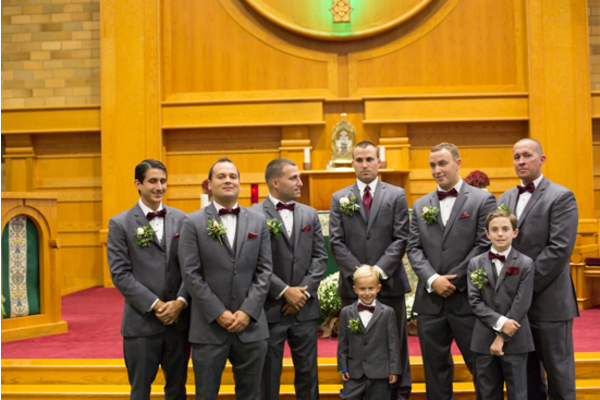 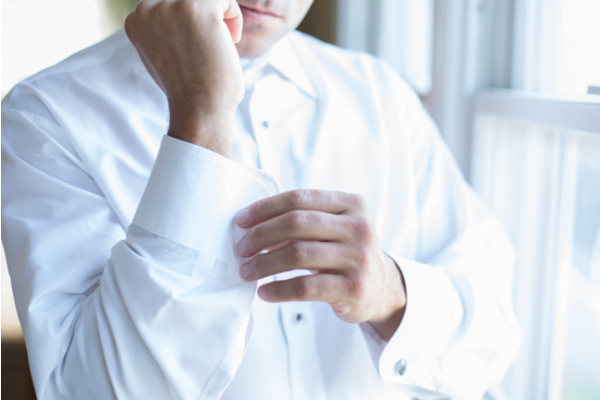 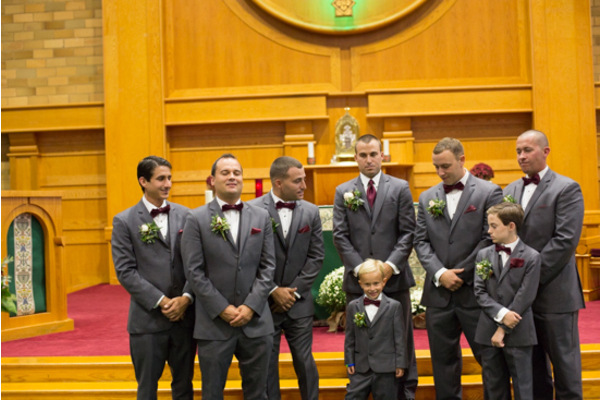 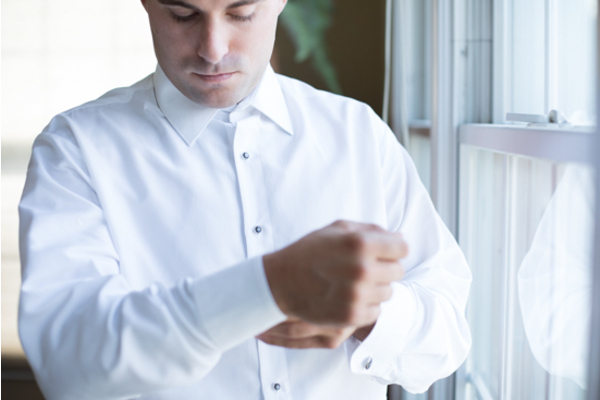 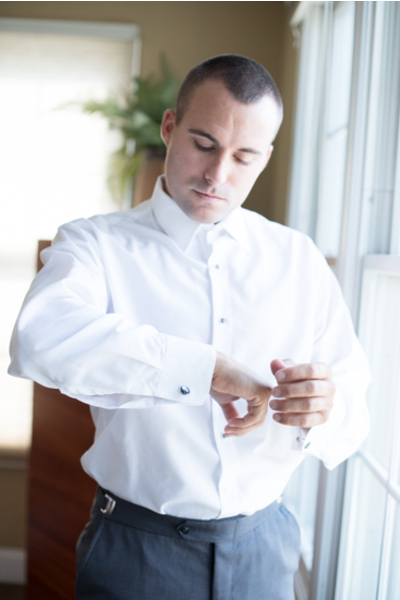 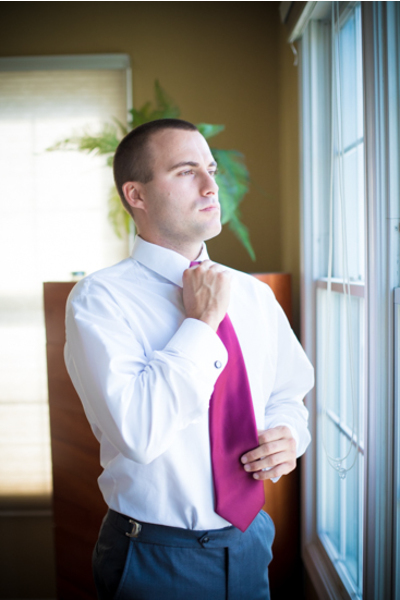 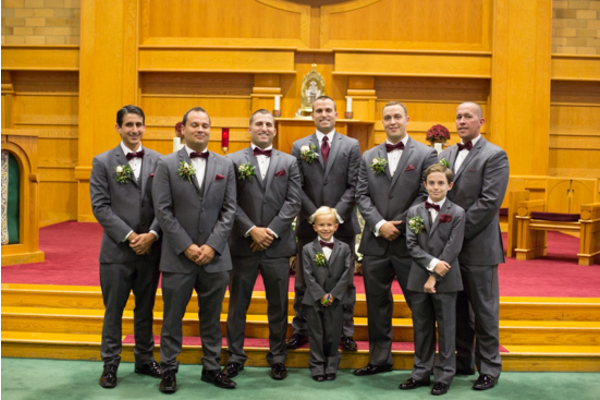 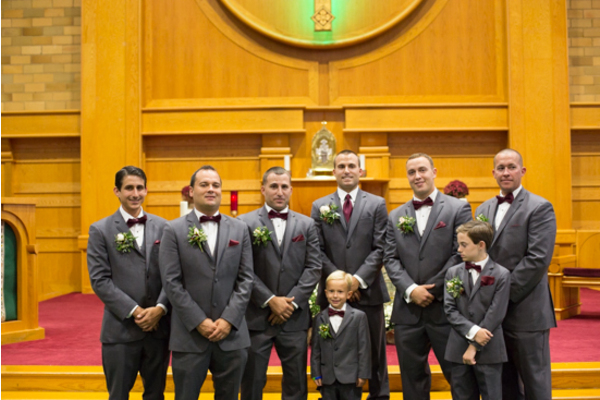 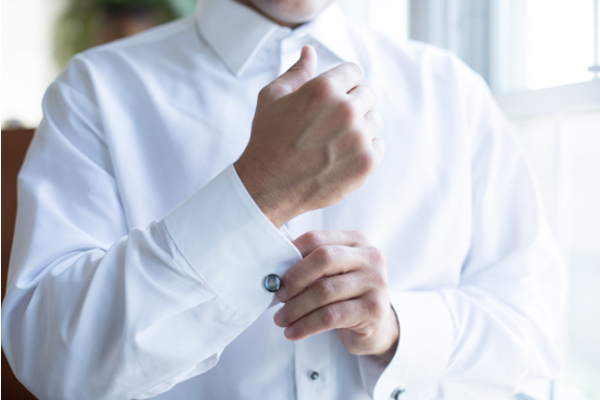 Meanwhile, our NJ Wedding Photographer captured the groom getting ready with his groomsmen wearing creative t-shirts. 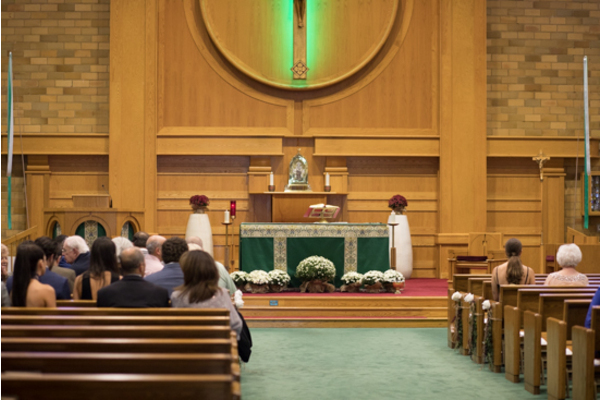 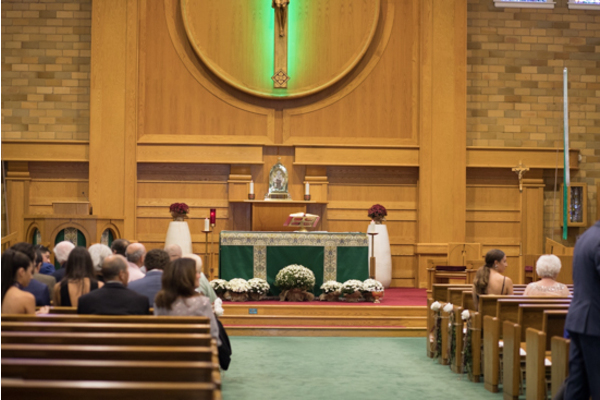 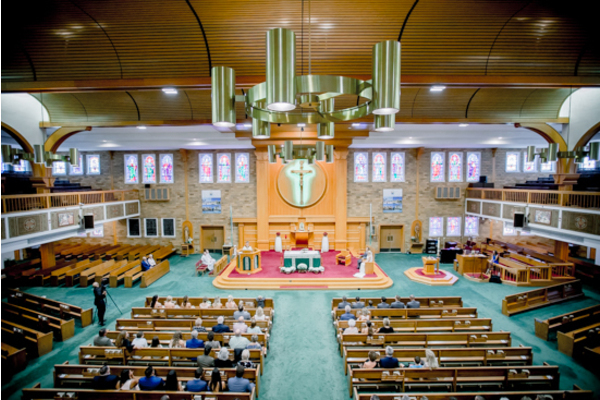 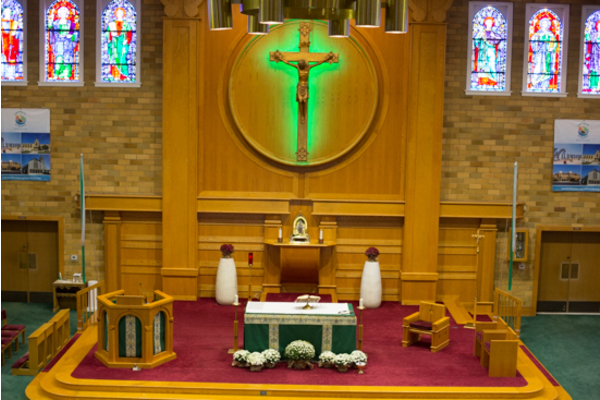 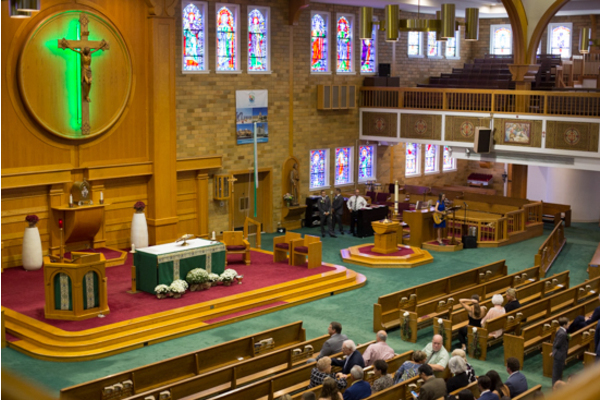 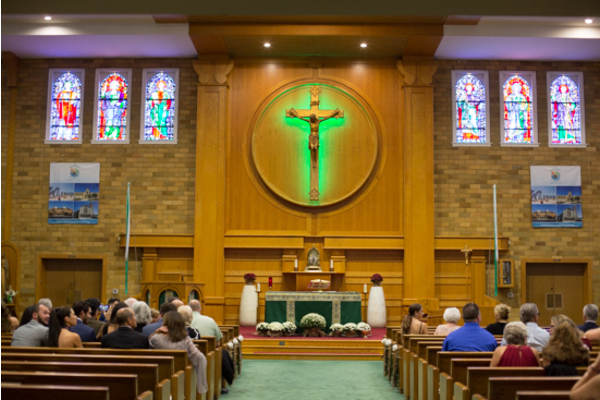 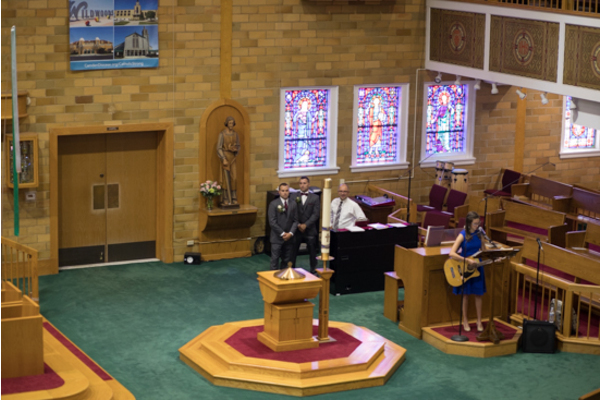 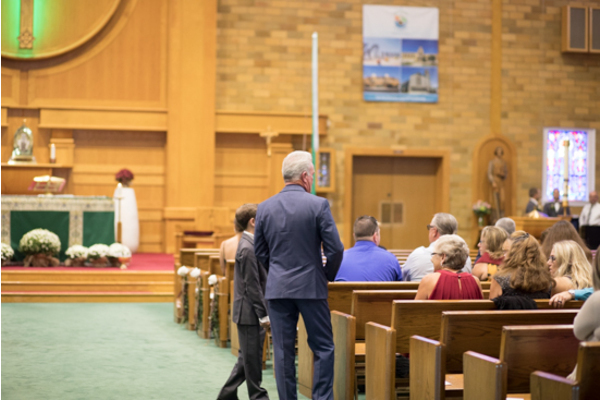 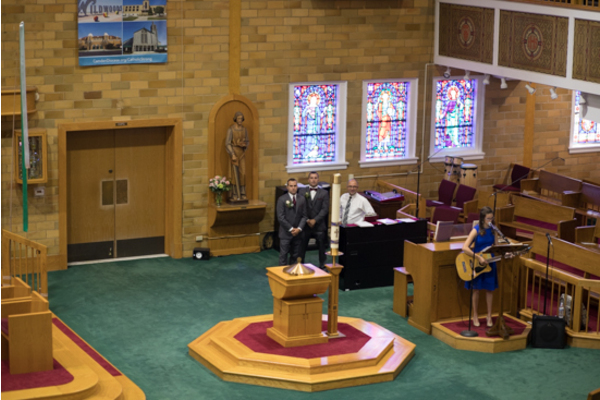 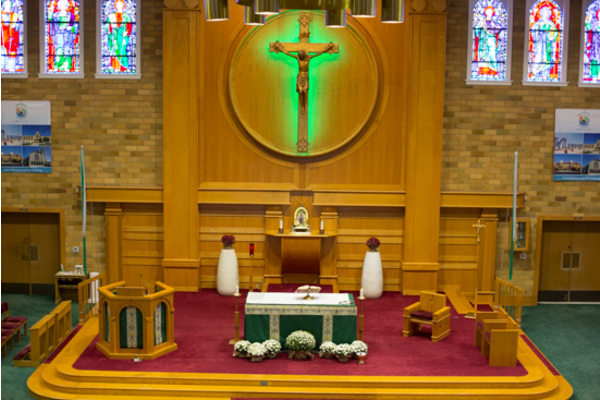 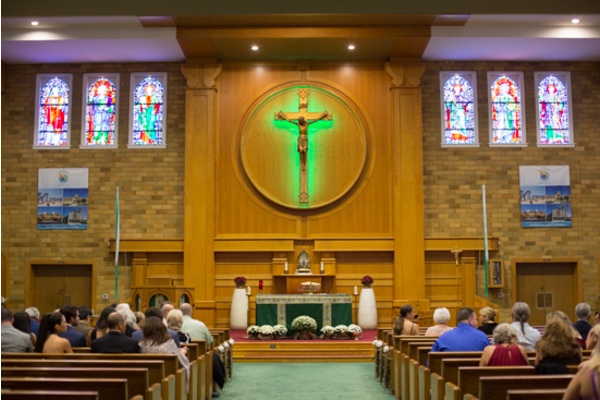 The ceremony space was very harmonious. 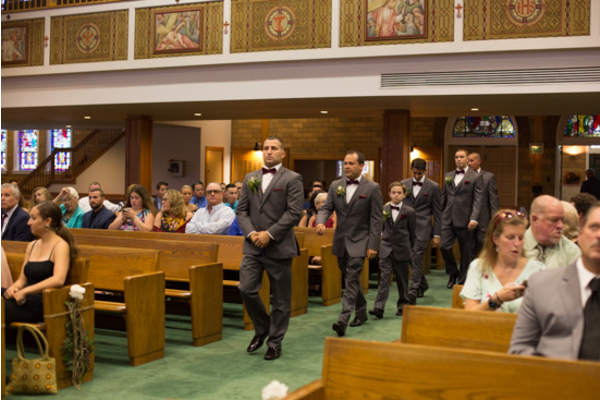 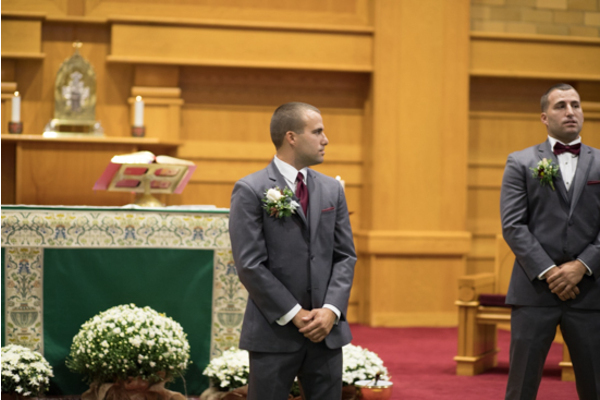 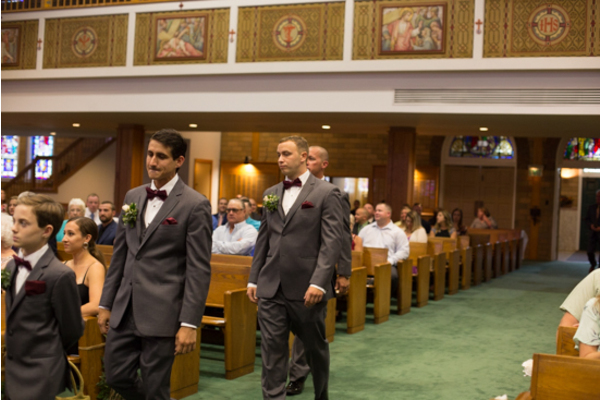 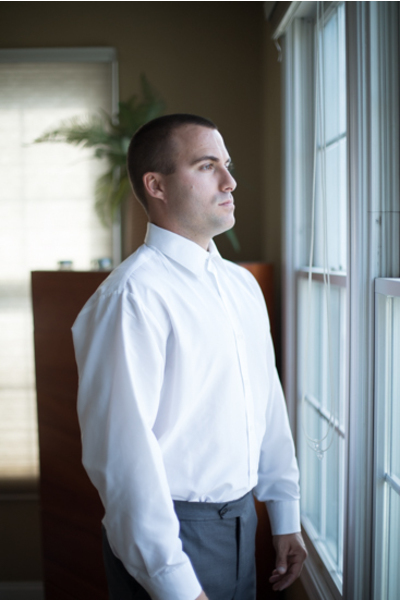 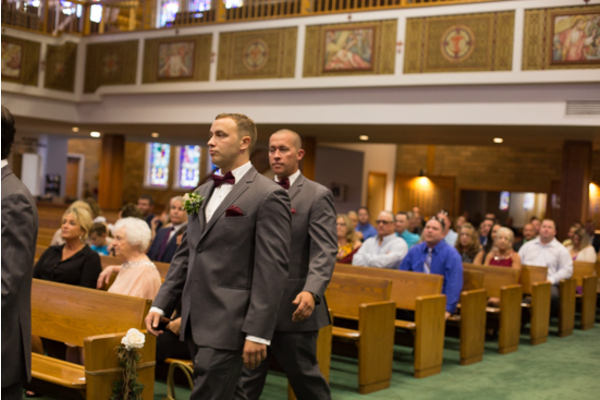 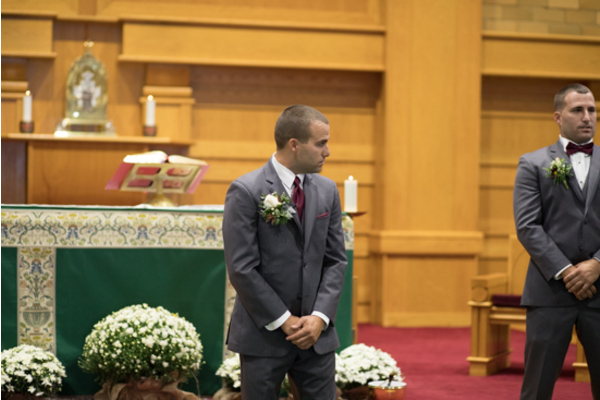 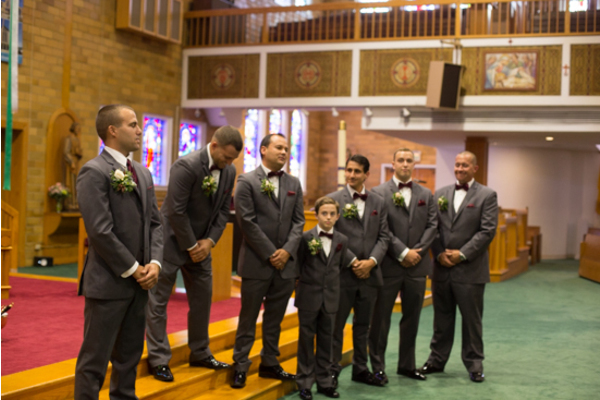 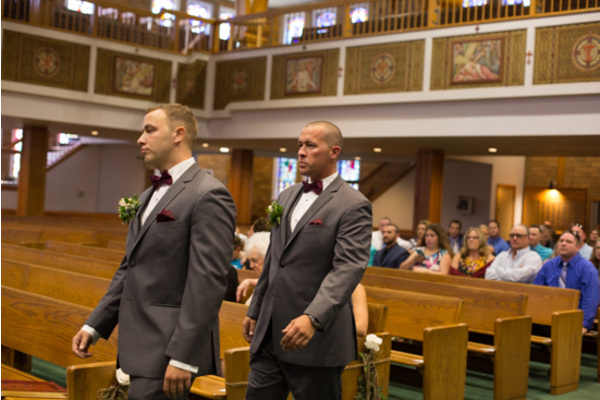 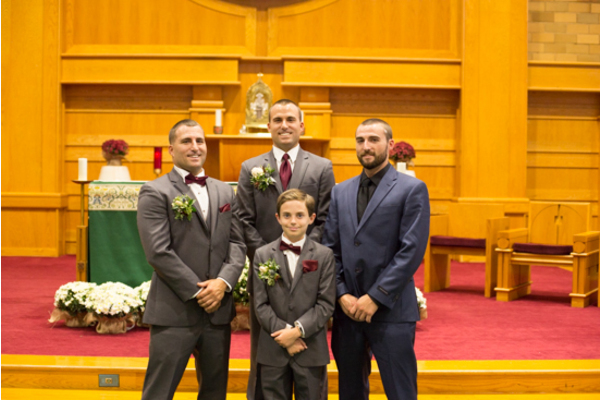 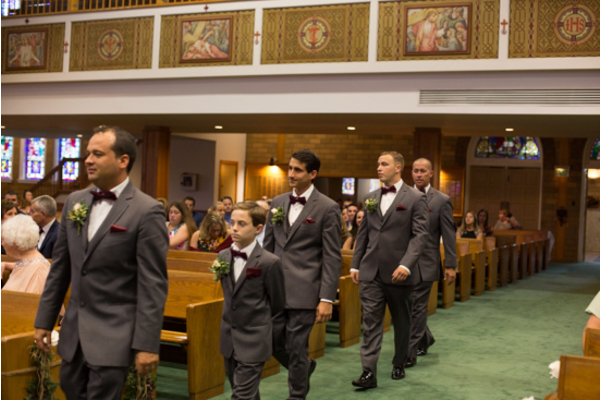 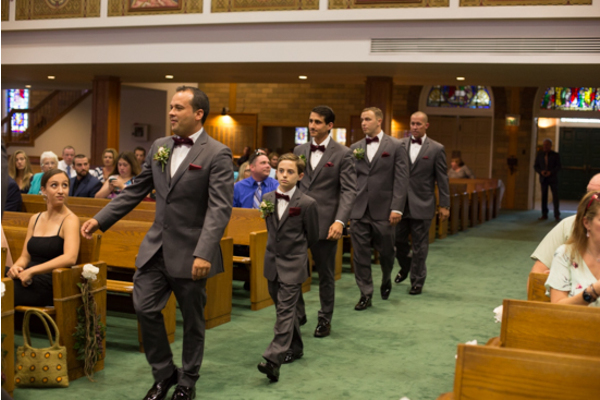 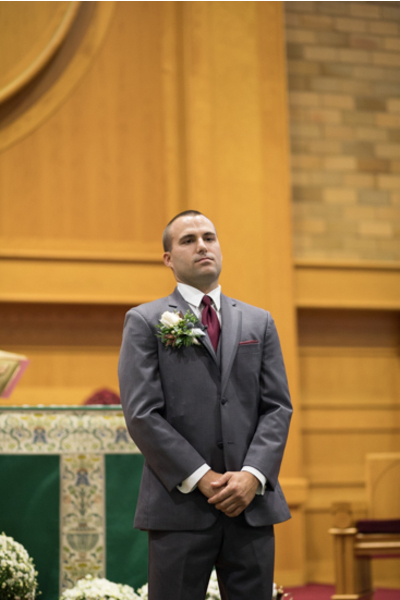 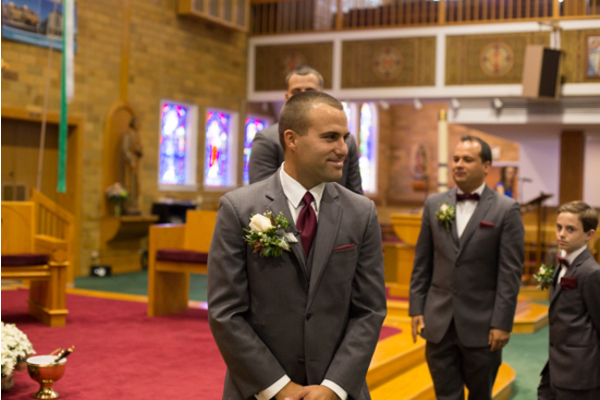 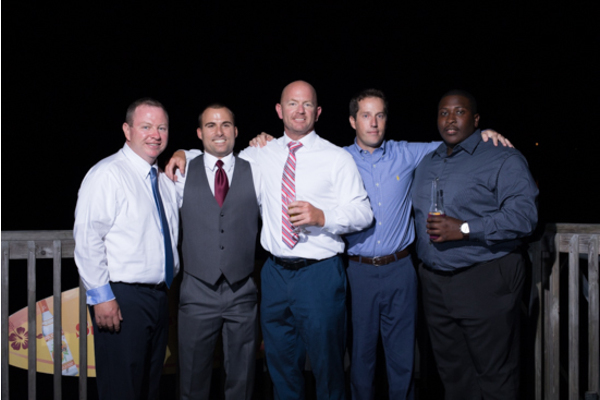 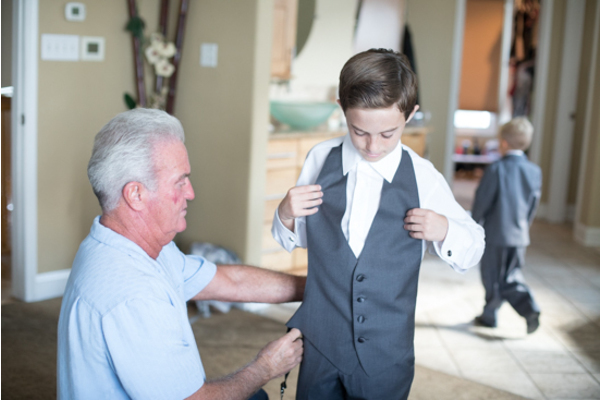 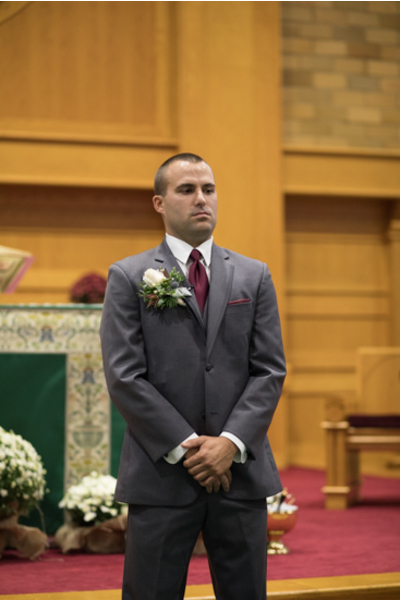 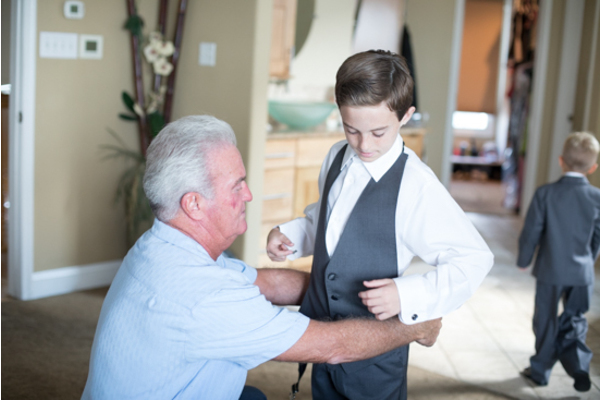 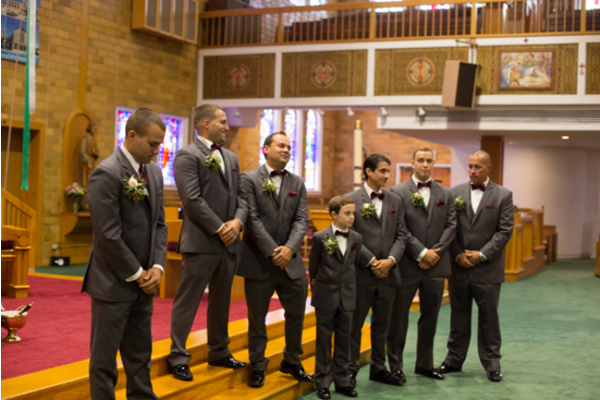 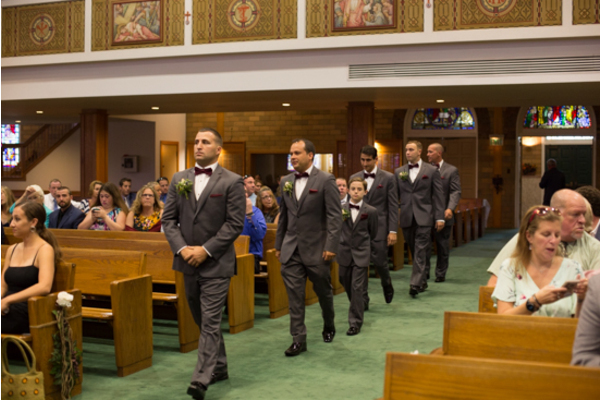 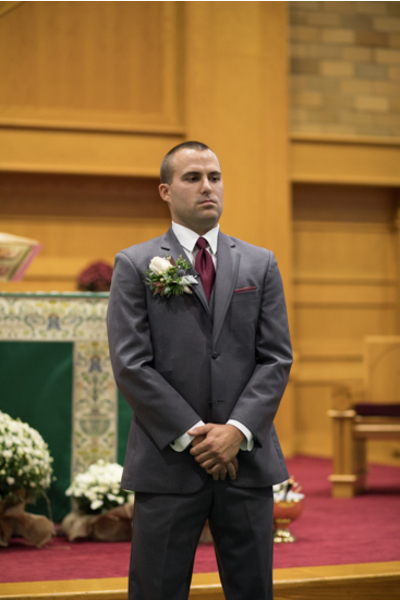 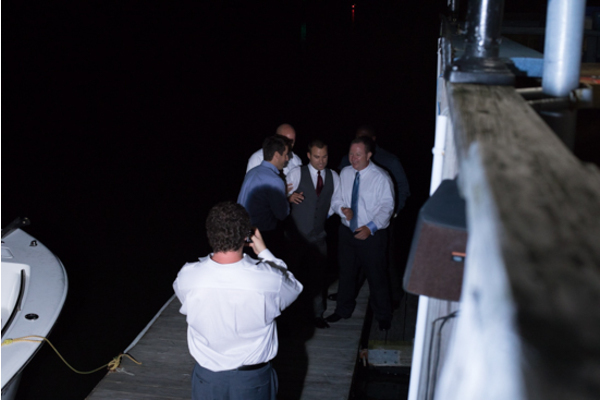 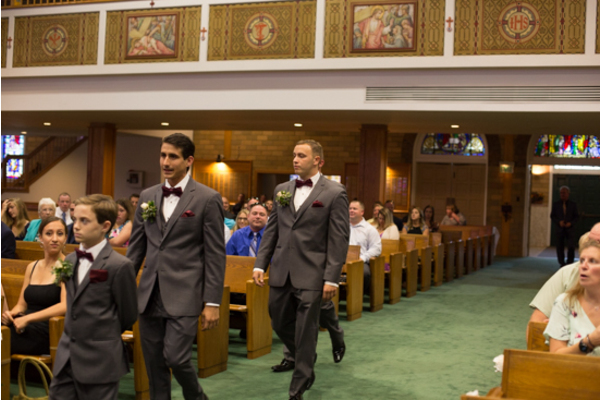 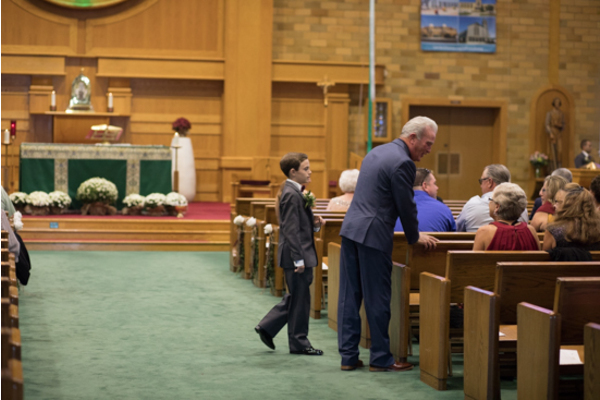 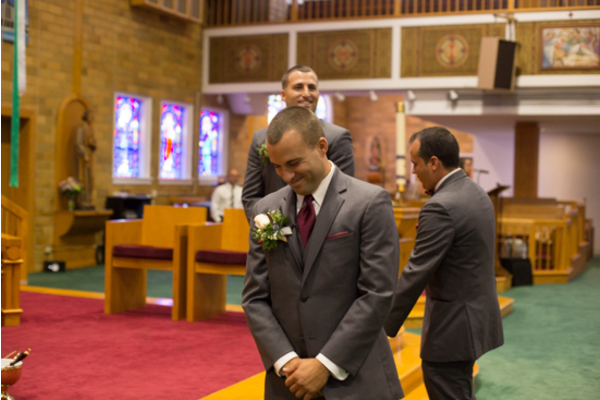 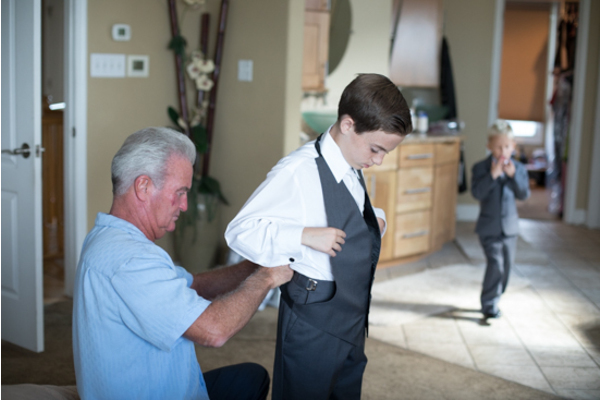 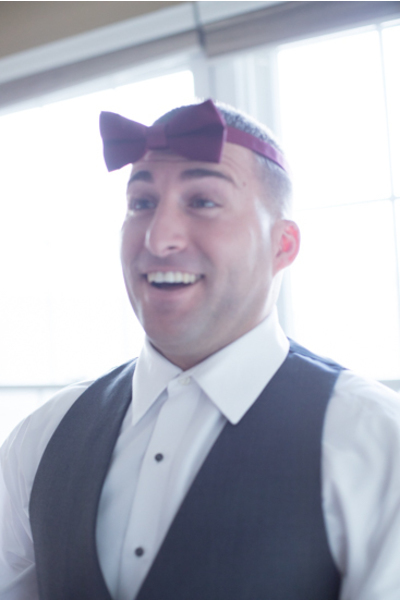 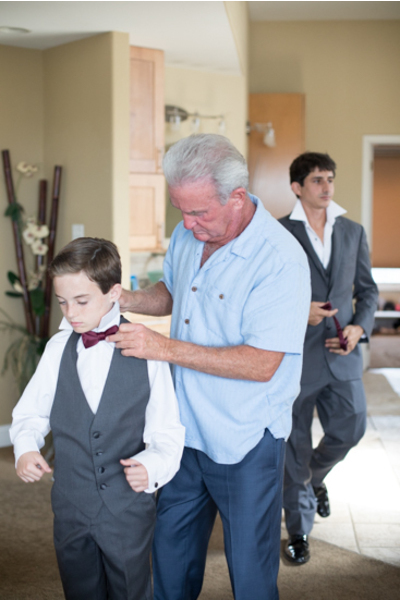 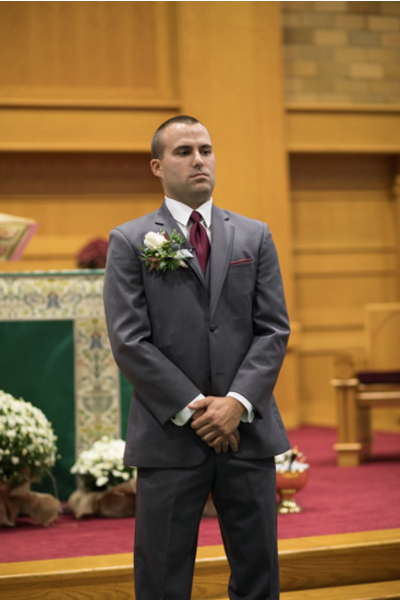 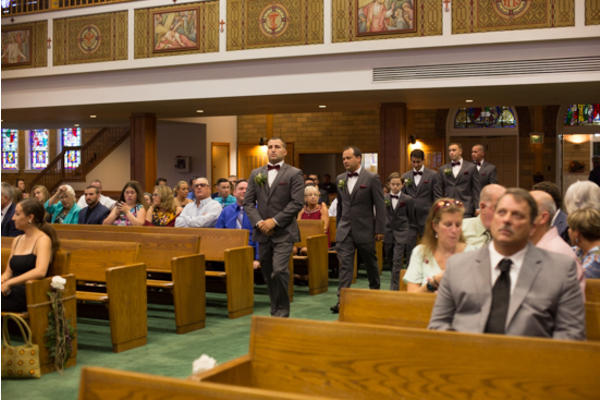 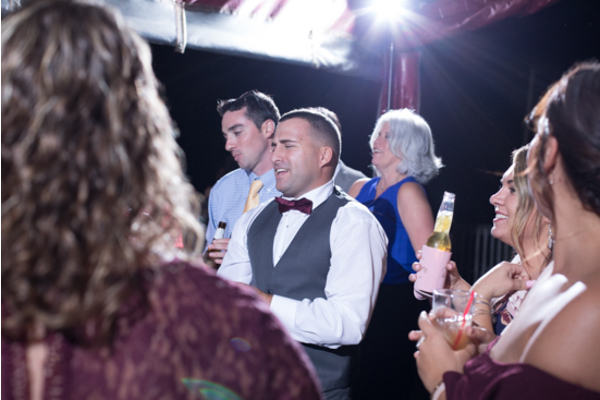 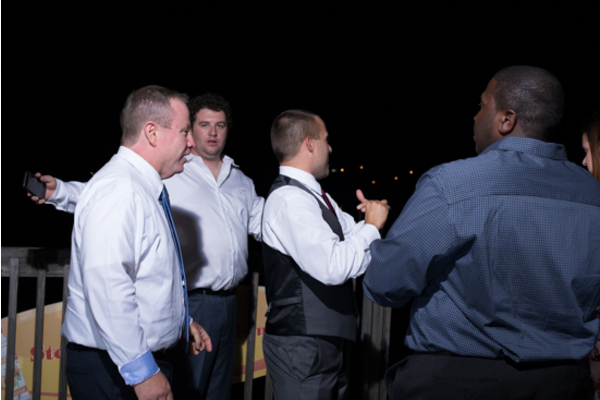 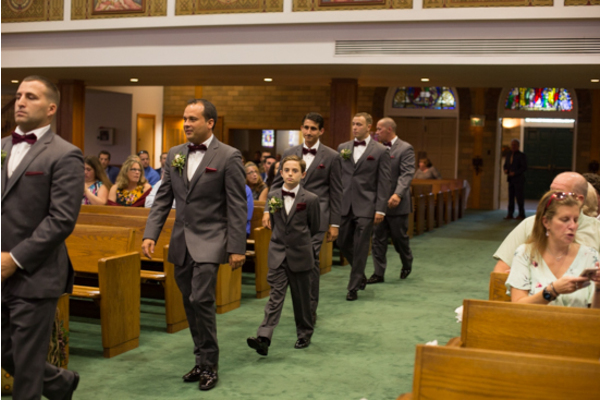 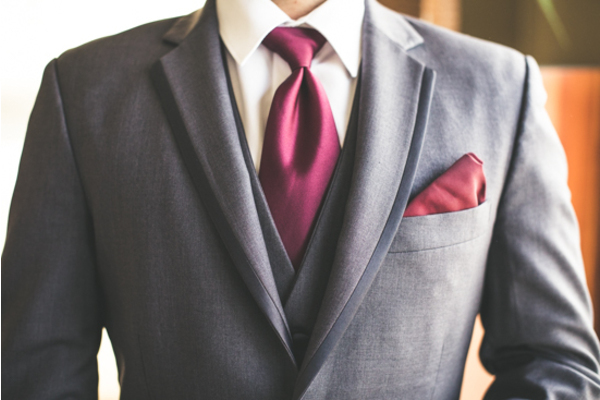 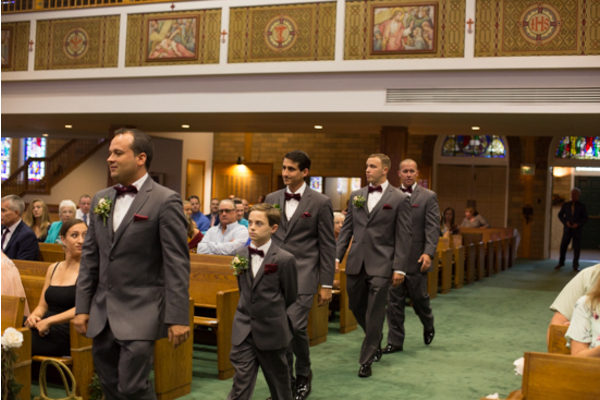 The groomsmen entered with Nick, who was eager to see his bride. 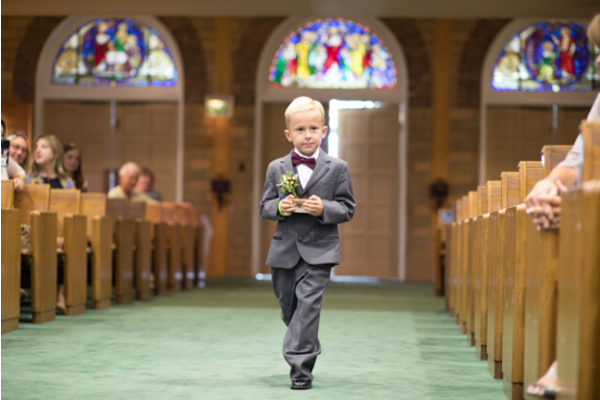 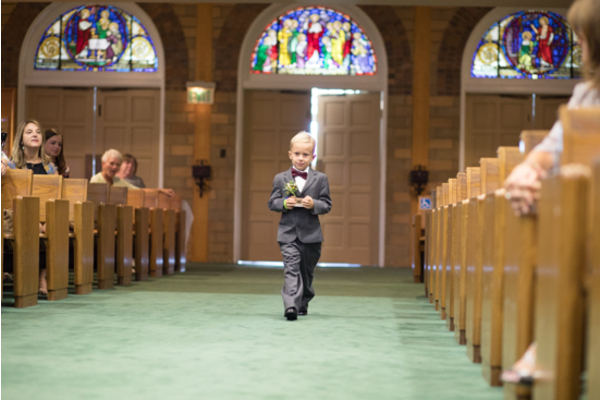 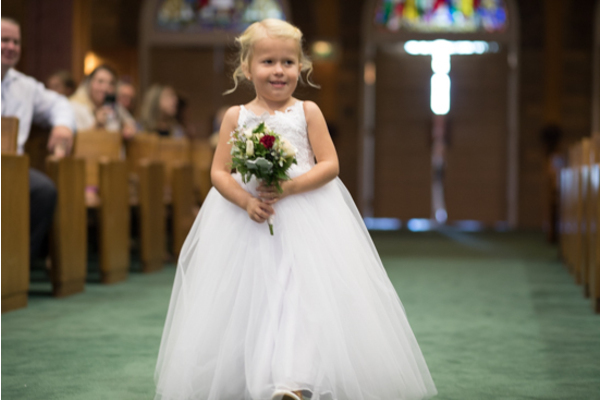 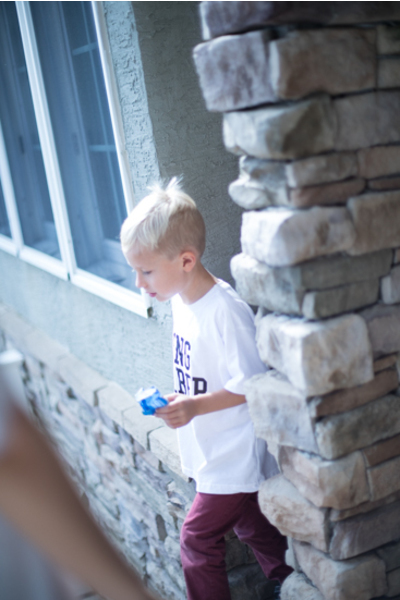 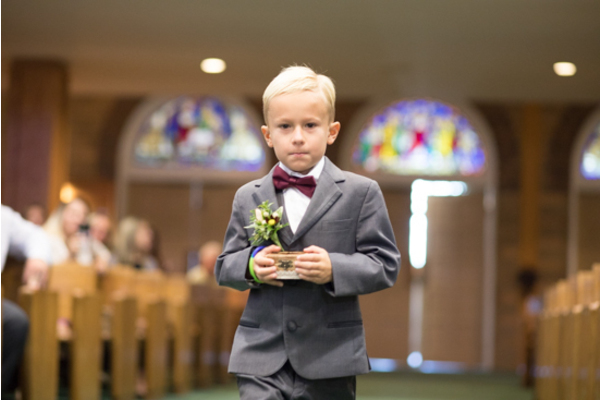 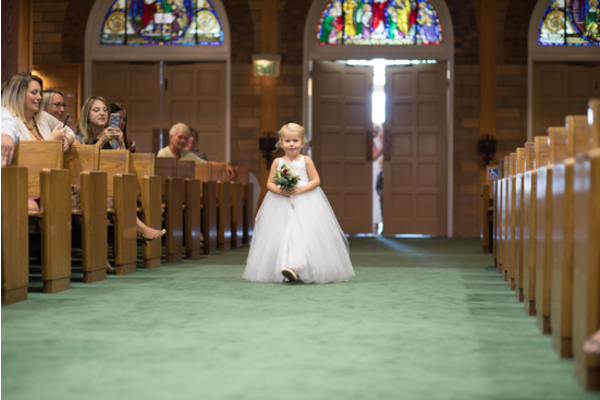 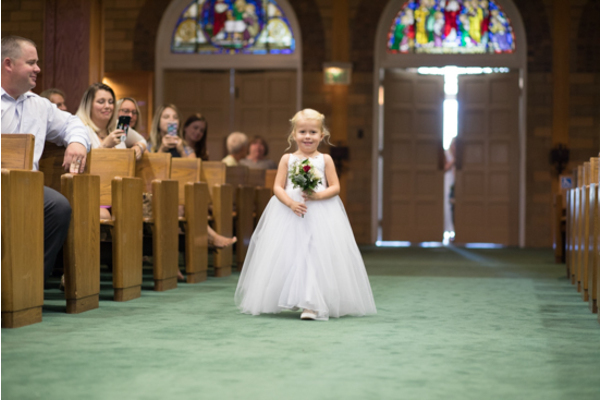 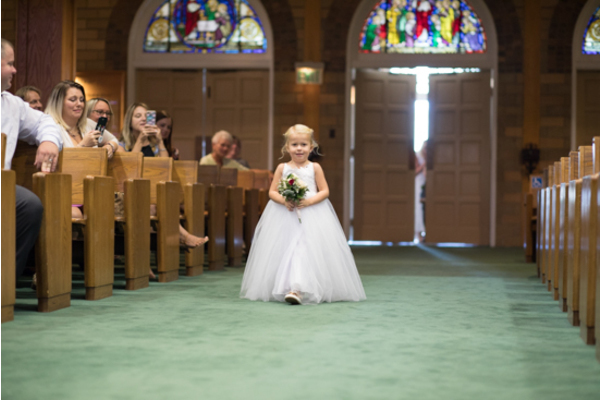 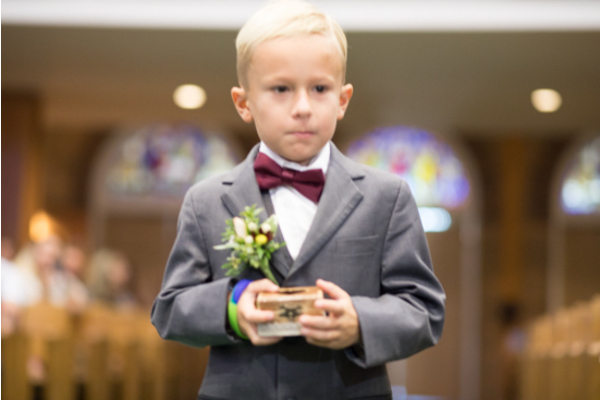 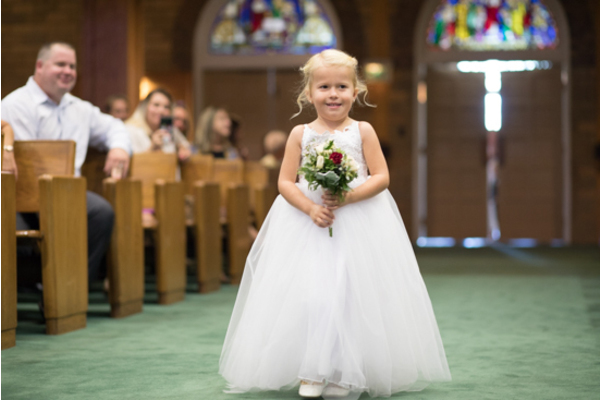 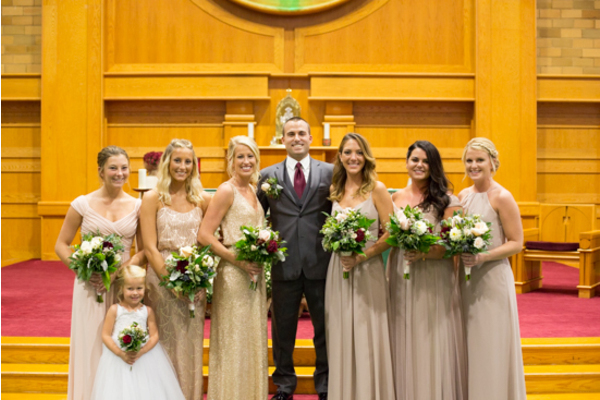 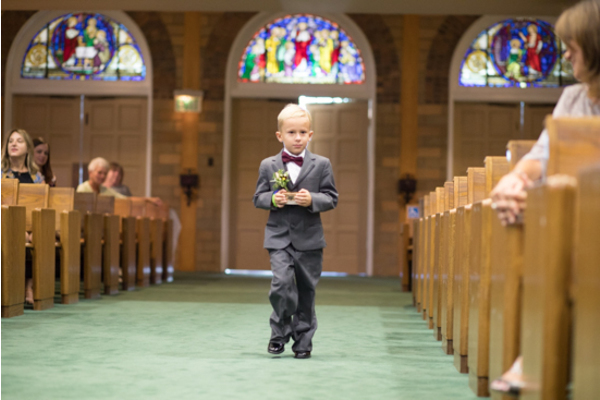 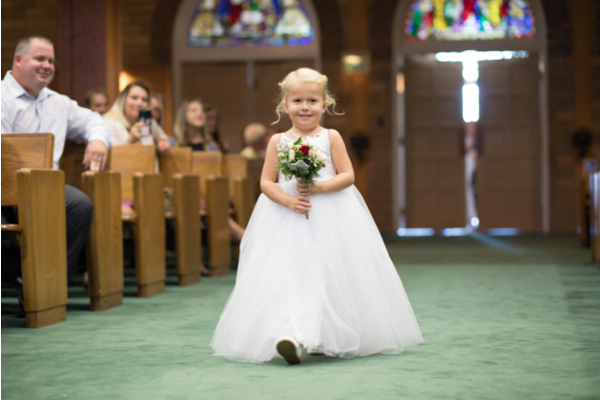 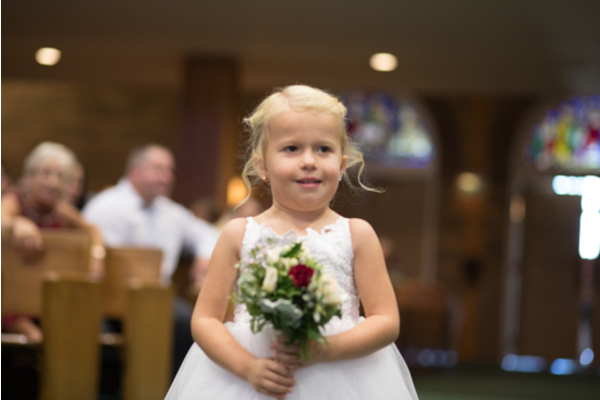 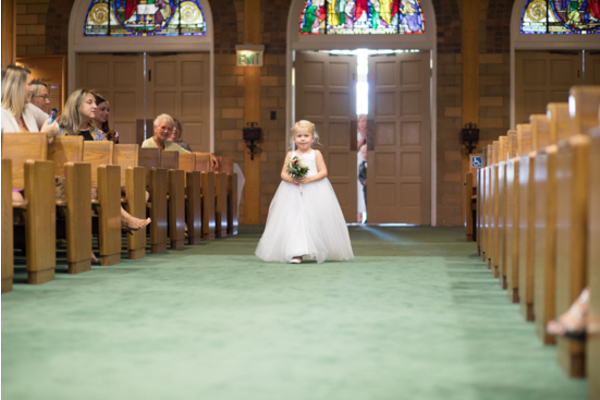 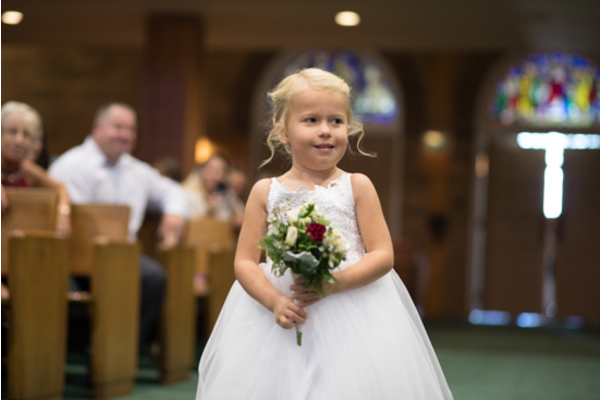 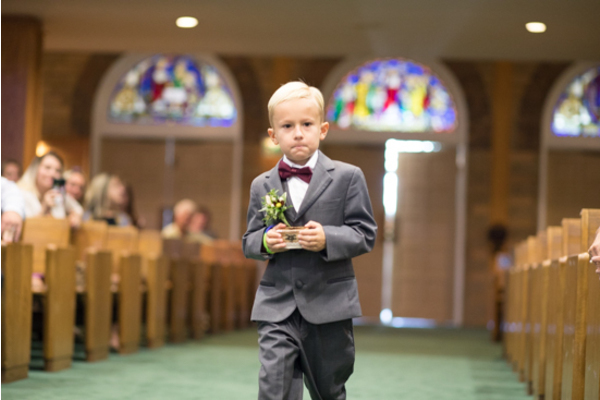 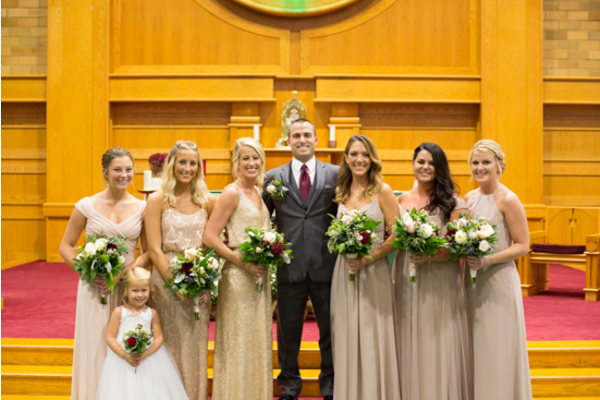 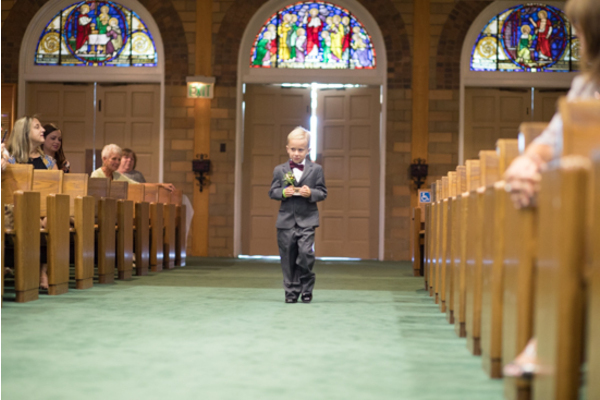 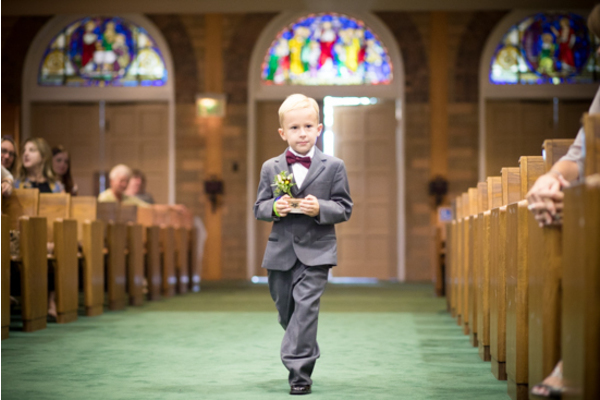 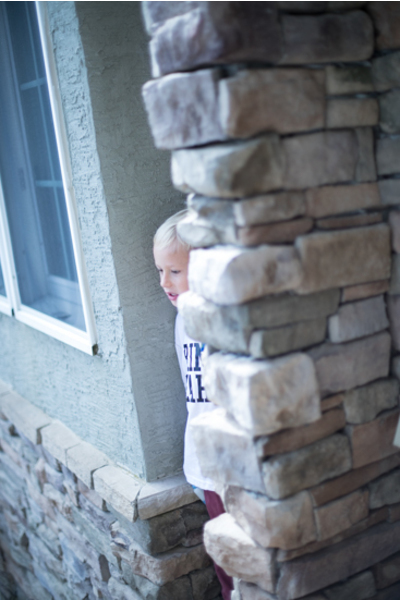 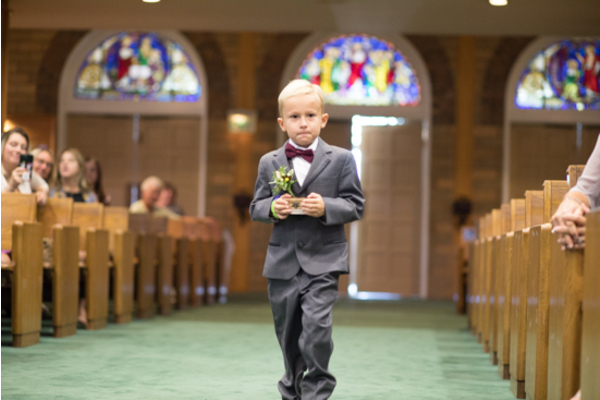 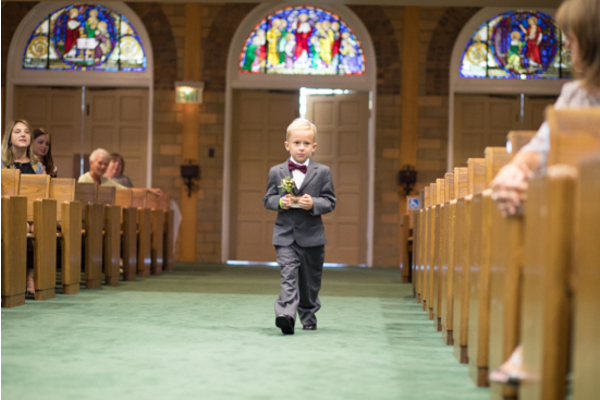 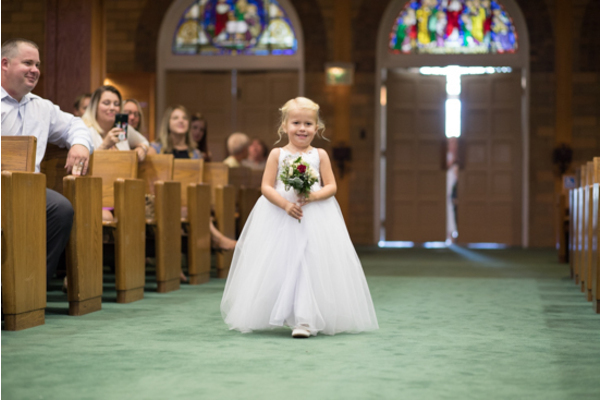 The bridesmaids walked down the aisle followed by the adorable flower girl and ring bearer. 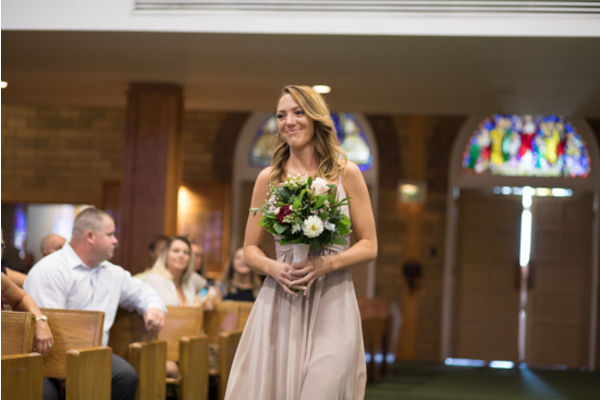 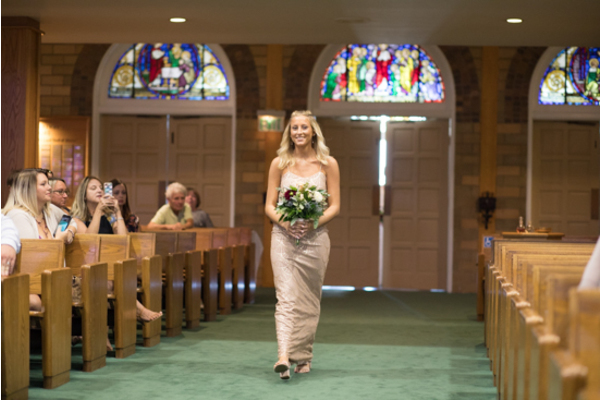 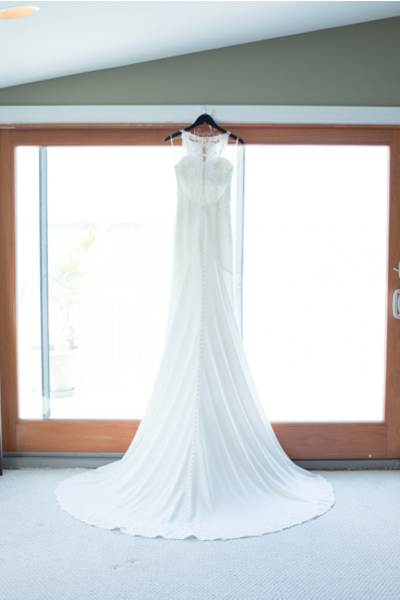 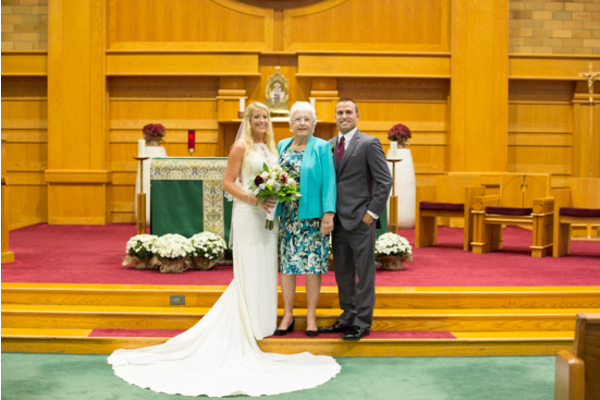 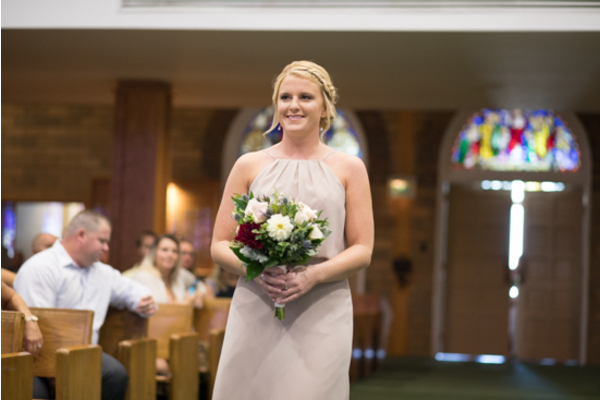 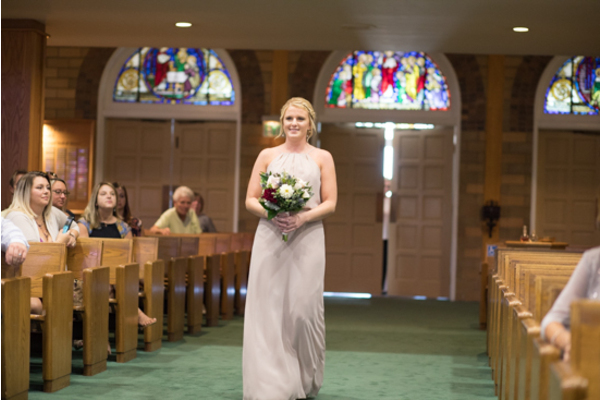 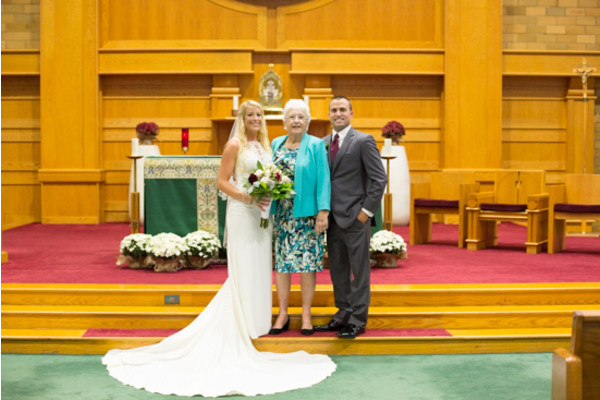 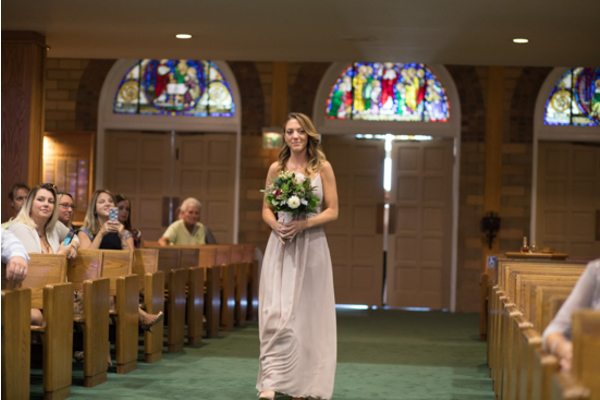 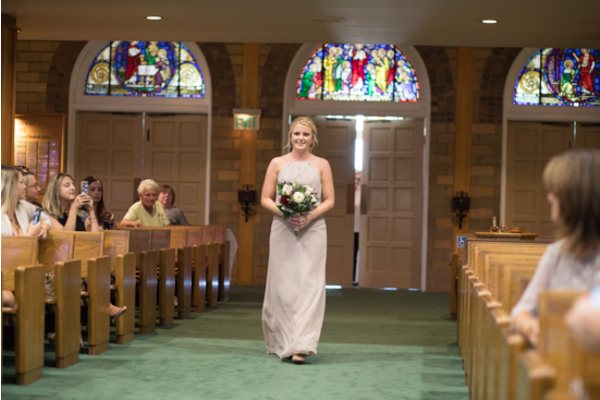 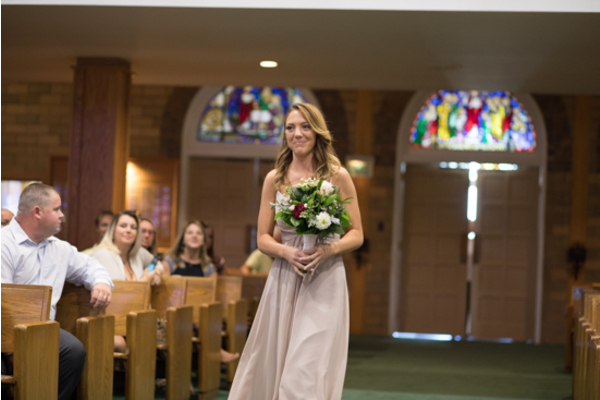 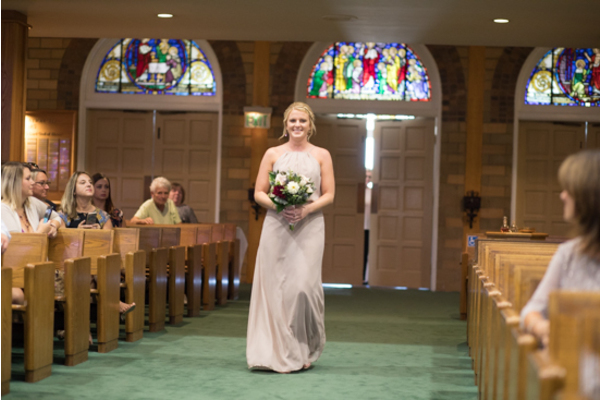 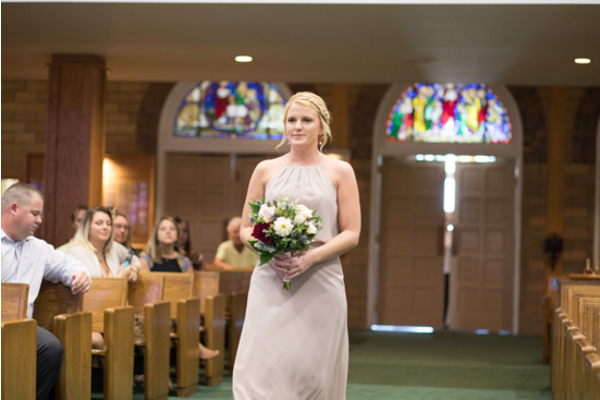 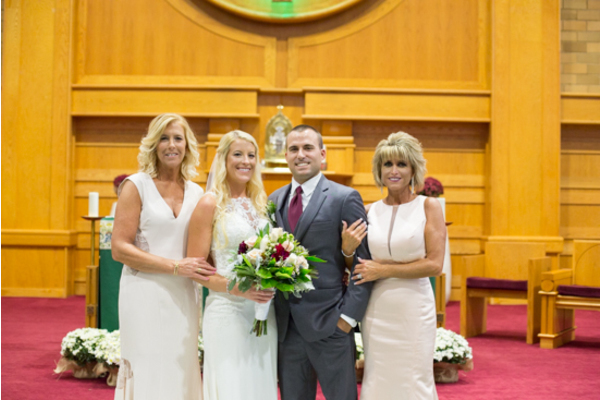 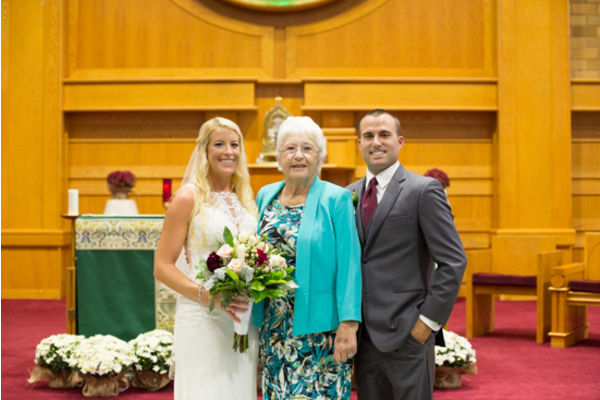 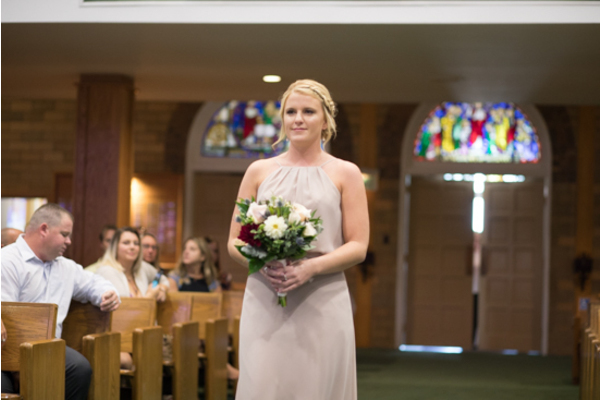 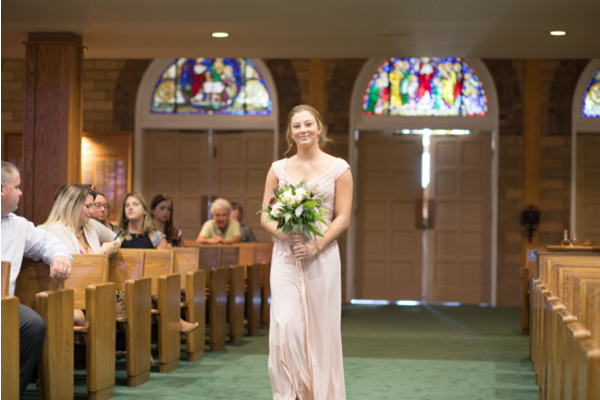 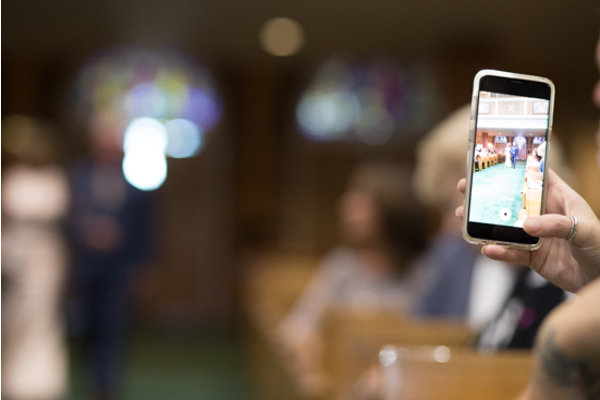 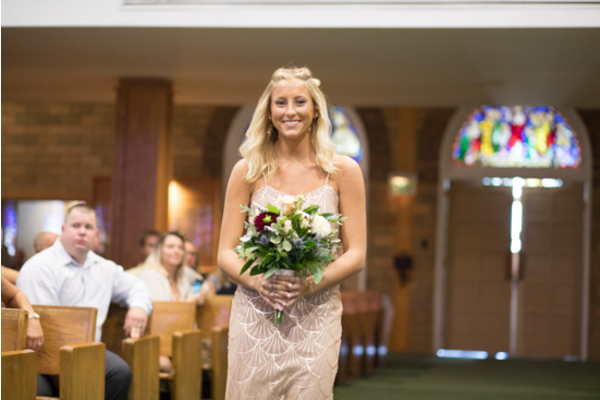 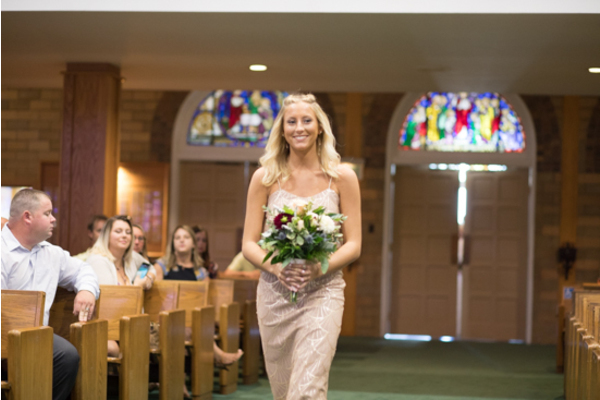 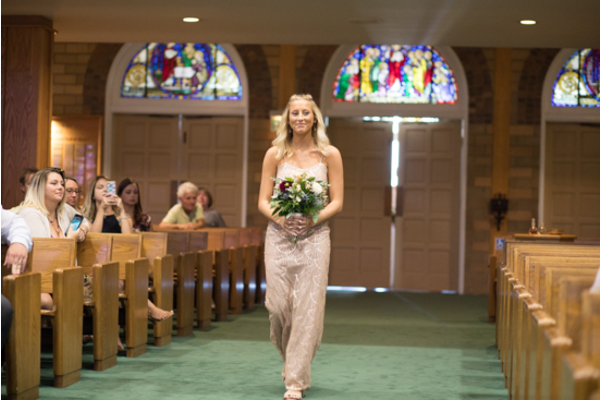 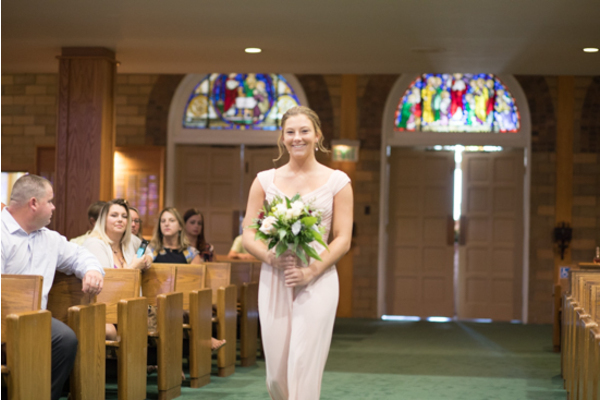 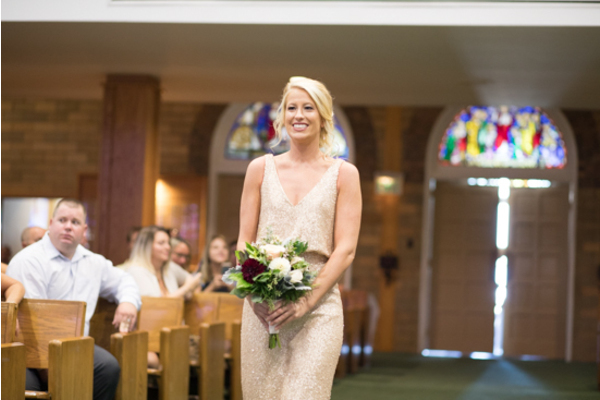 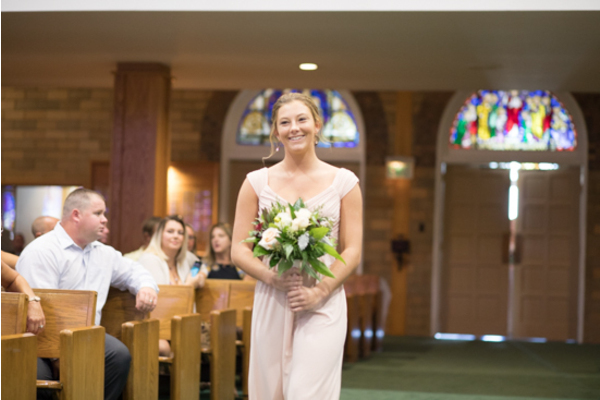 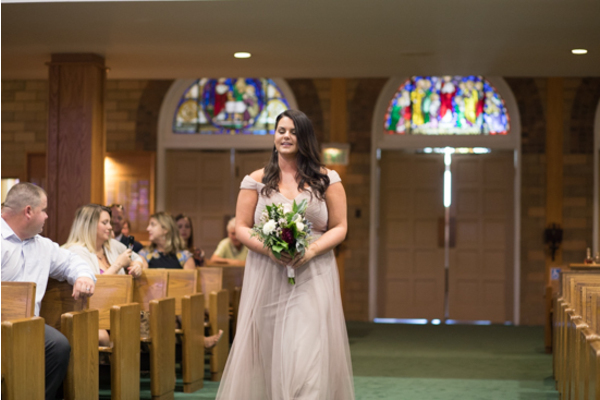 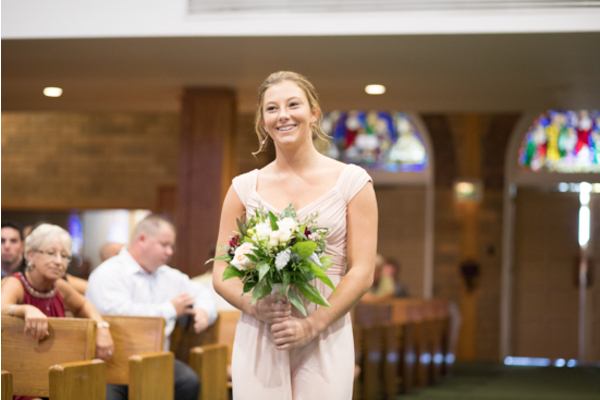 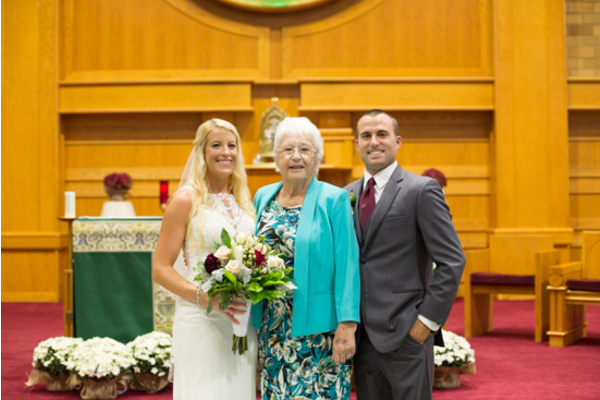 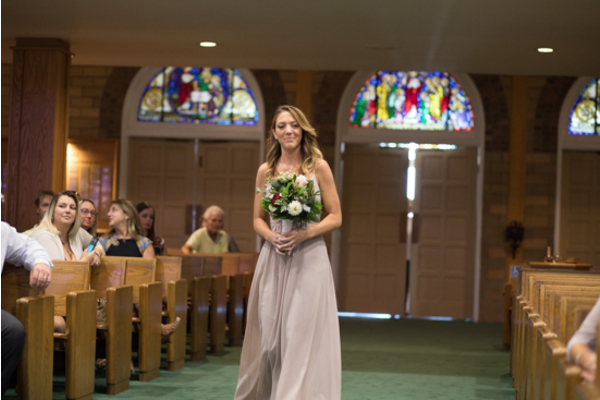 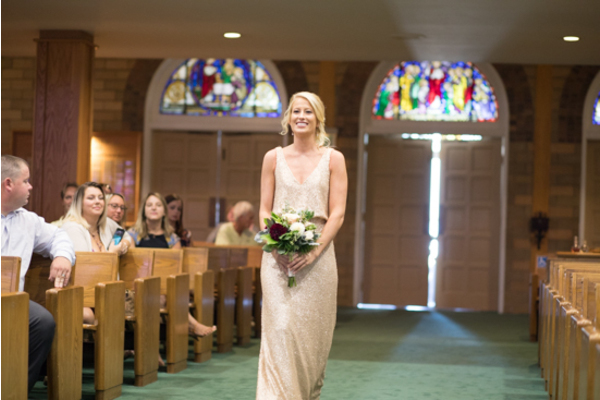 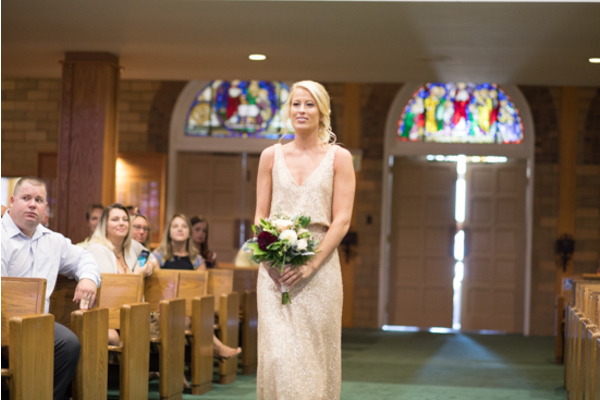 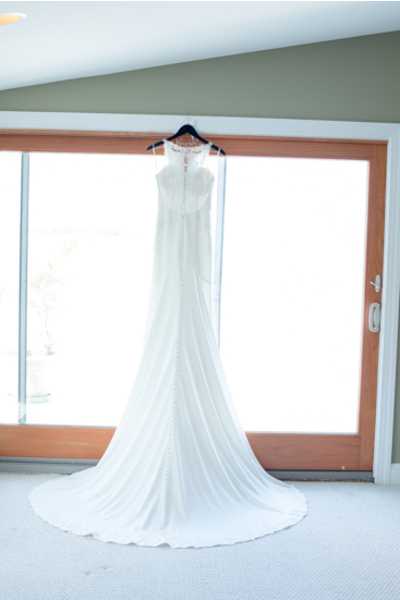 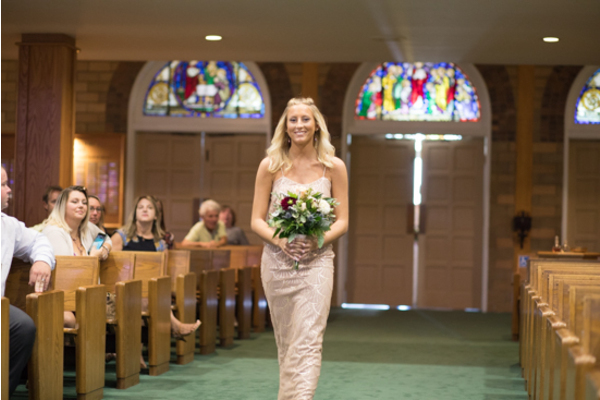 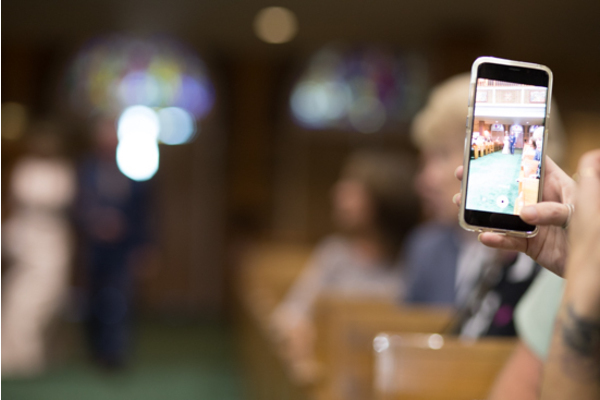 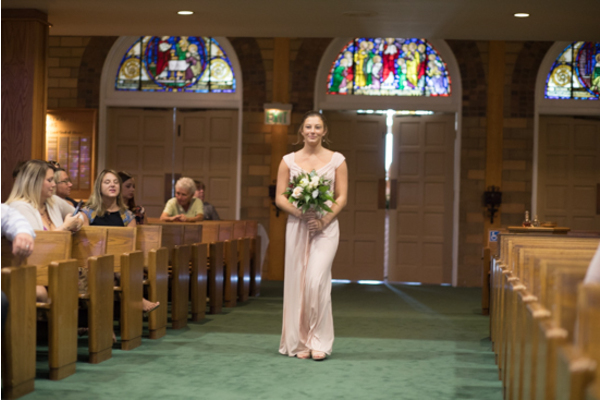 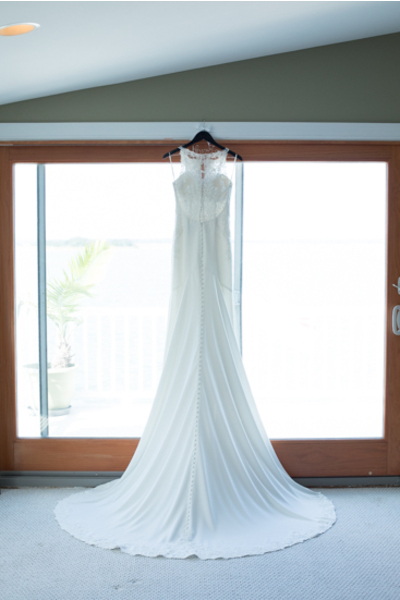 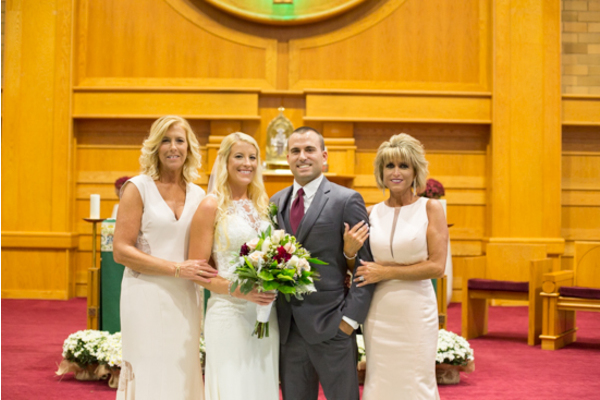 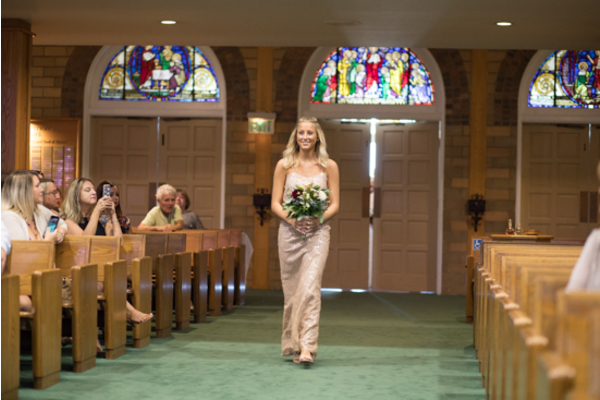 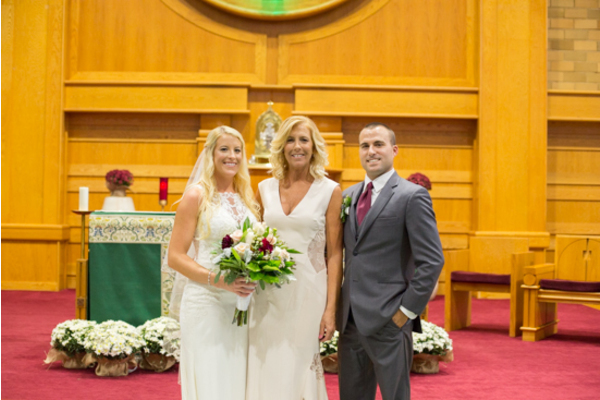 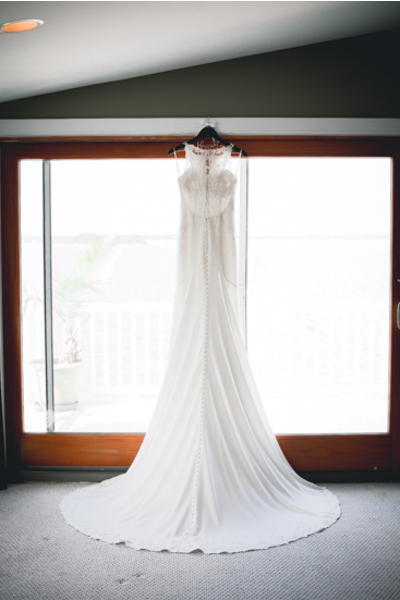 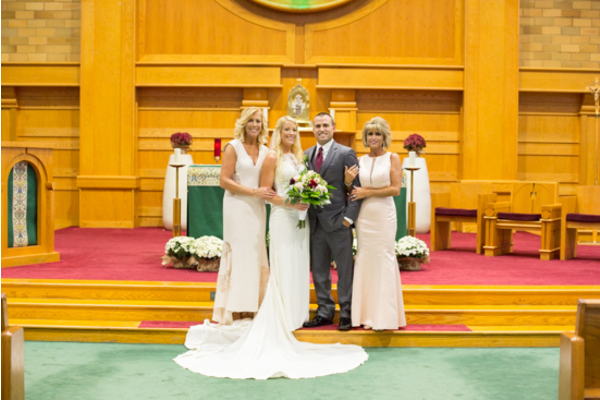 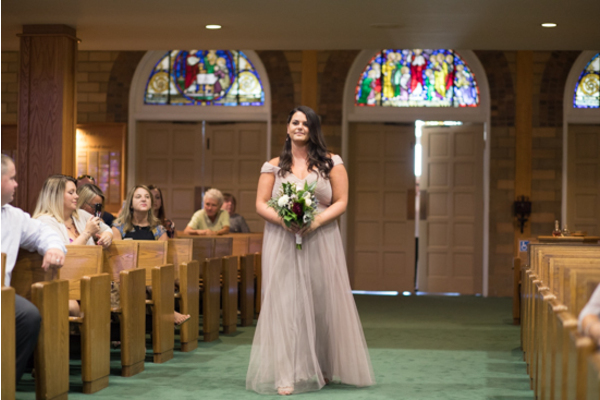 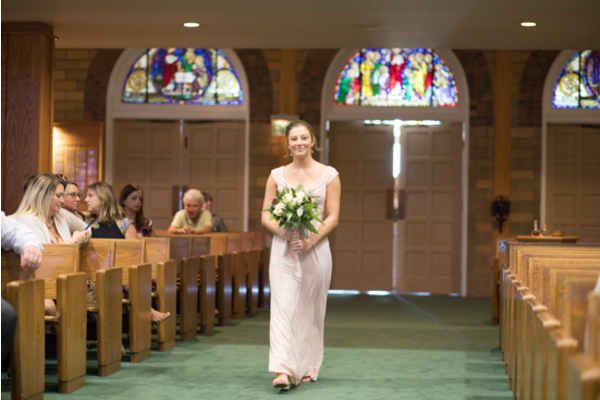 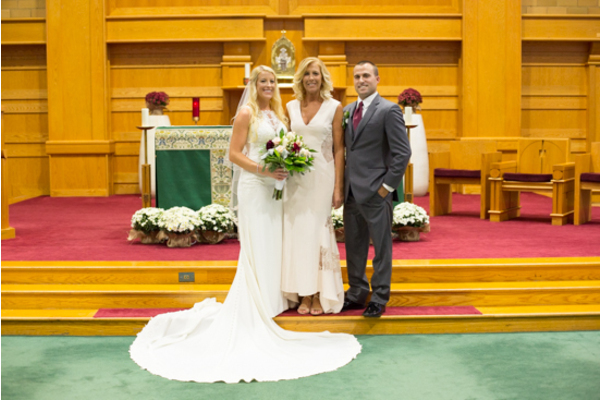 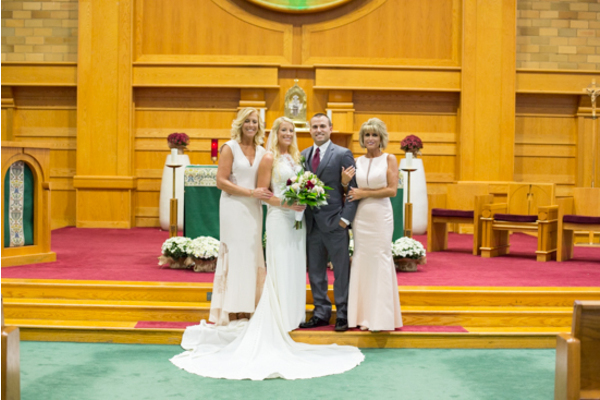 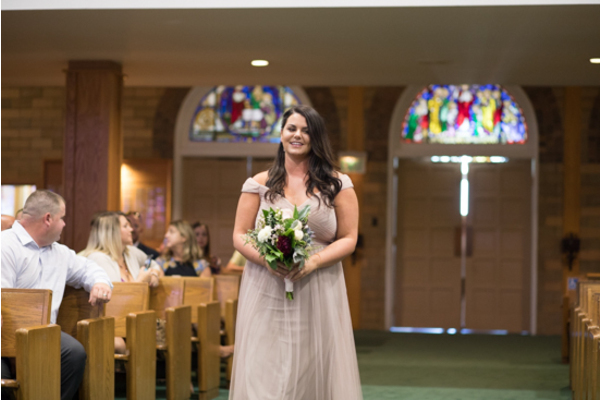 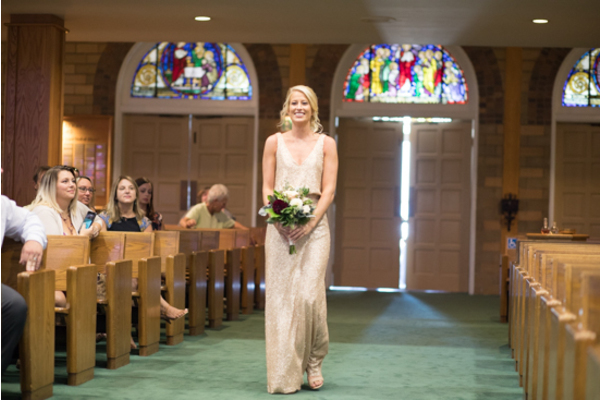 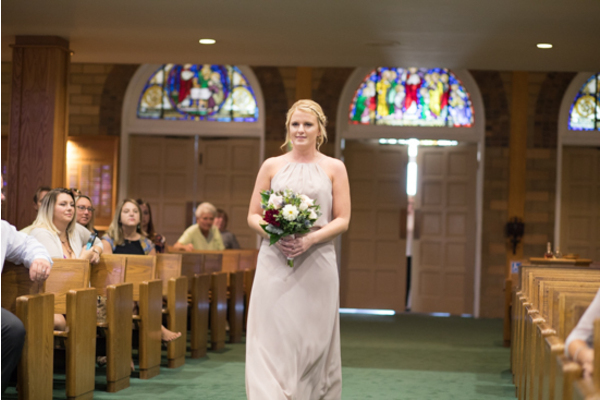 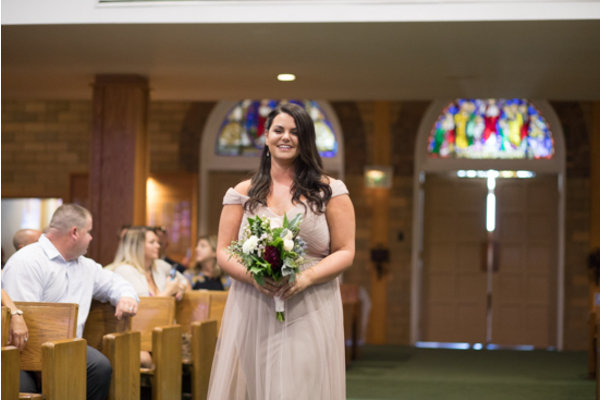 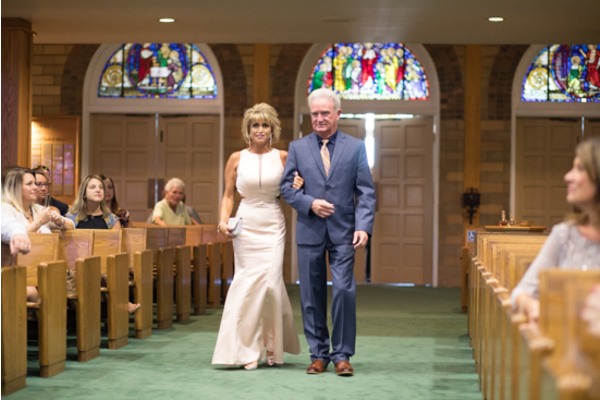 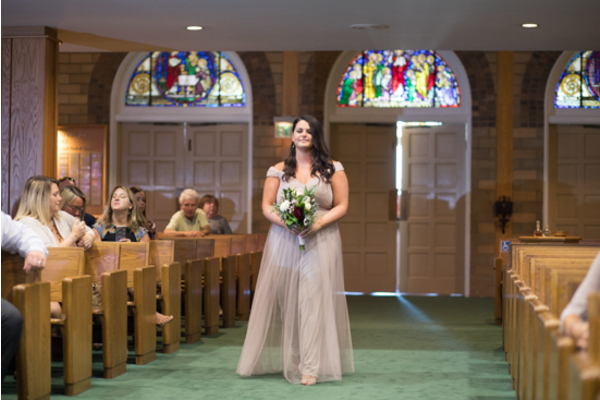 Our NJ Wedding Photographer took photos of the breathtaking bride walking down the aisle with her mother. 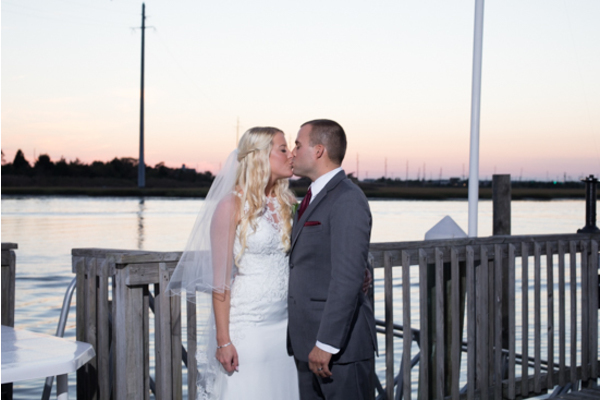 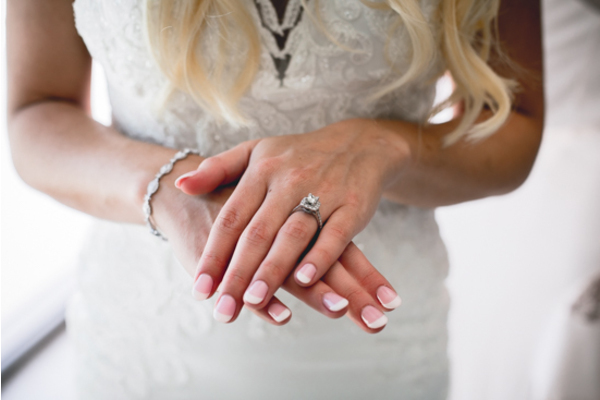 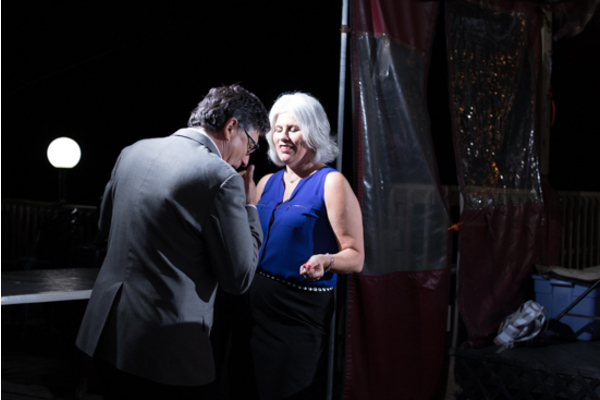 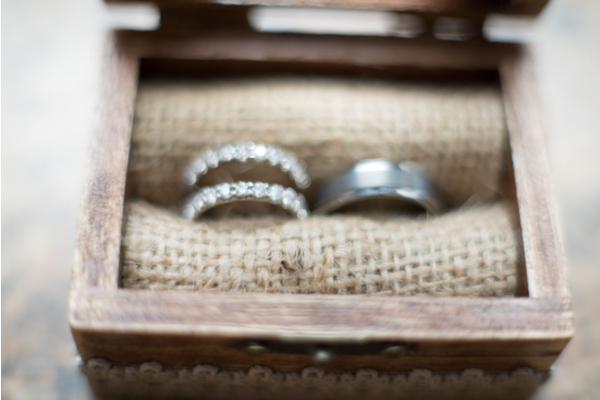 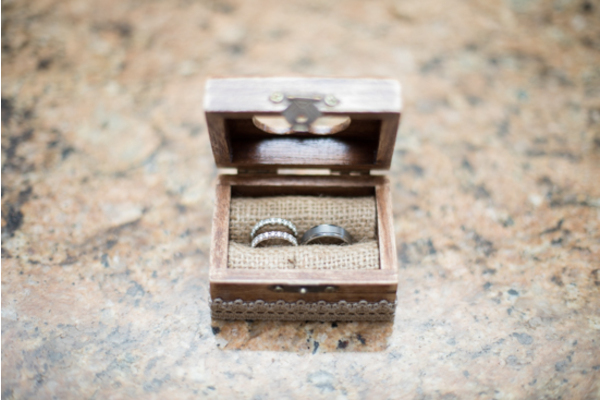 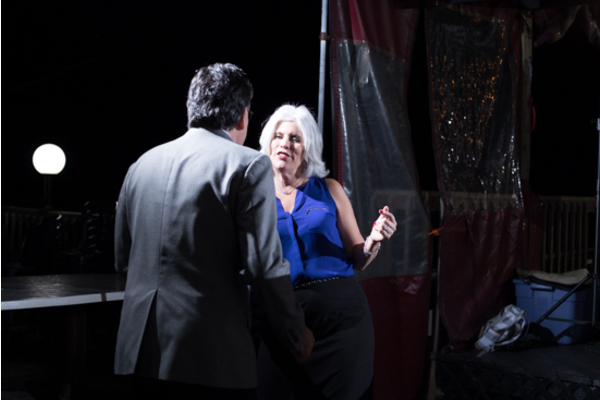 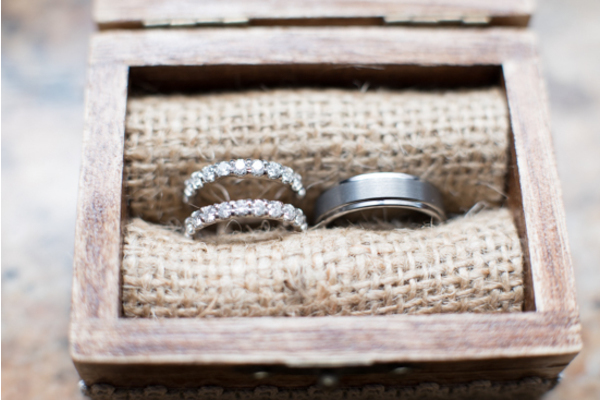 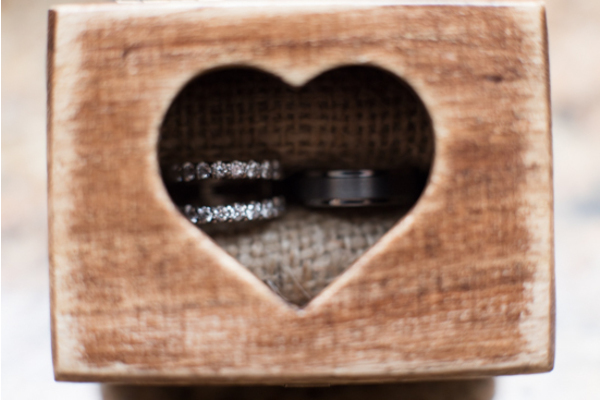 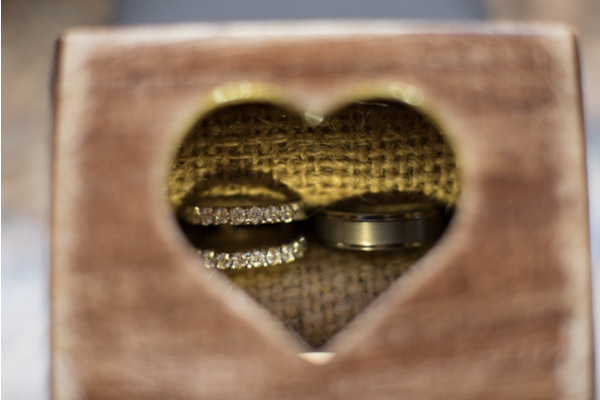 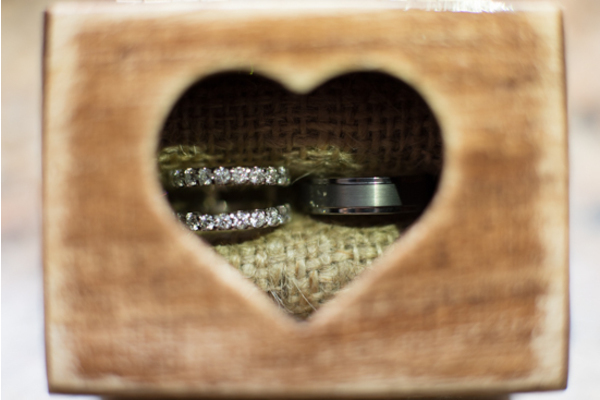 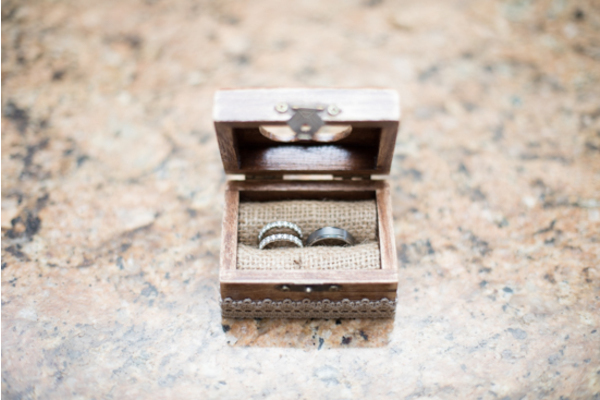 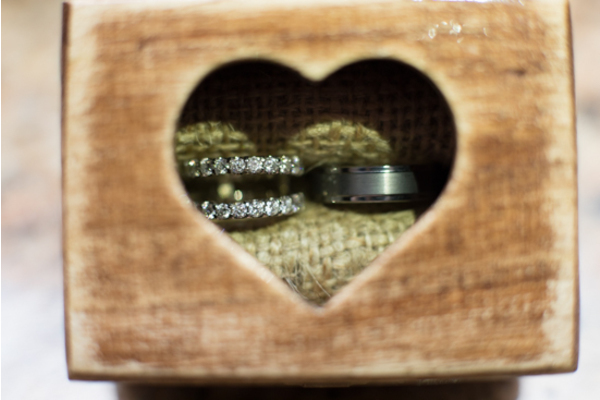 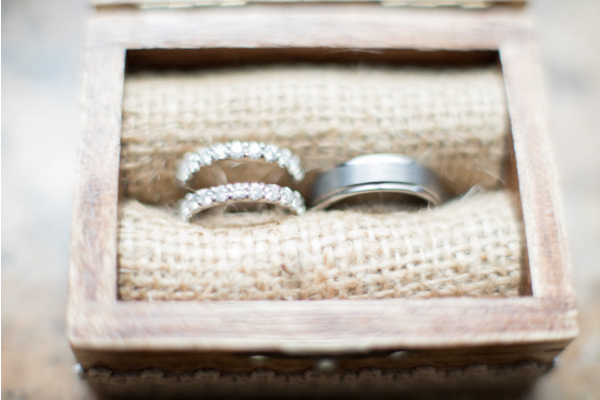 Finally, Victoria and Nick exchanged rings and had their first kiss as husband and wife. 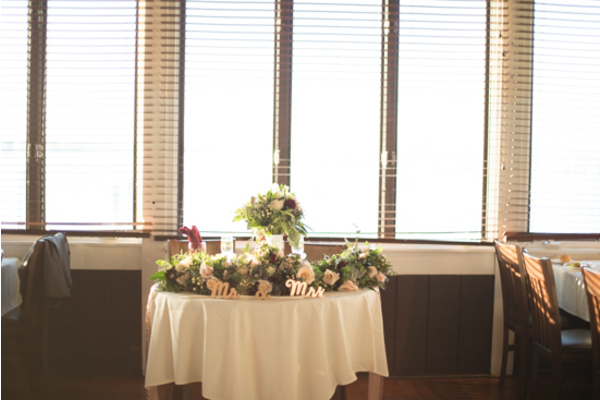 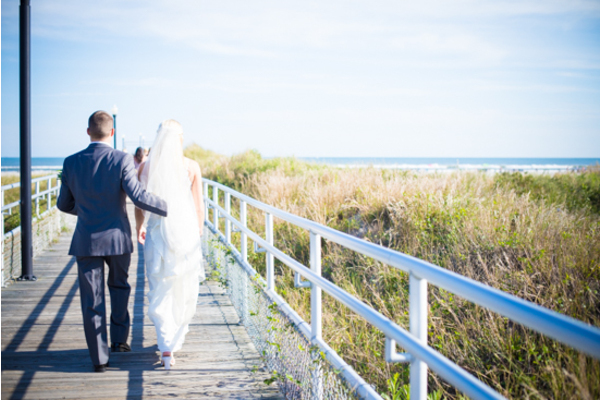 Following, they walked hand in hand back down the aisle together and took scenic pictures near the ocean. 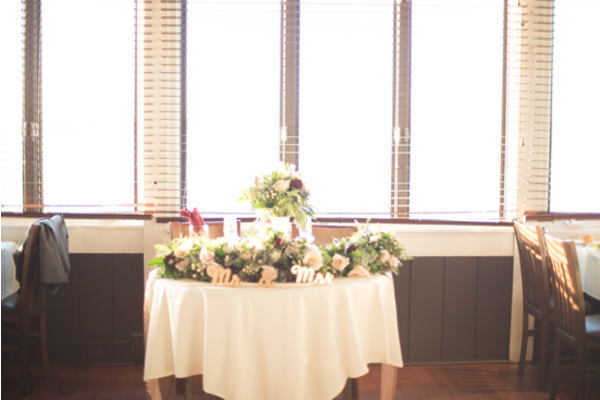 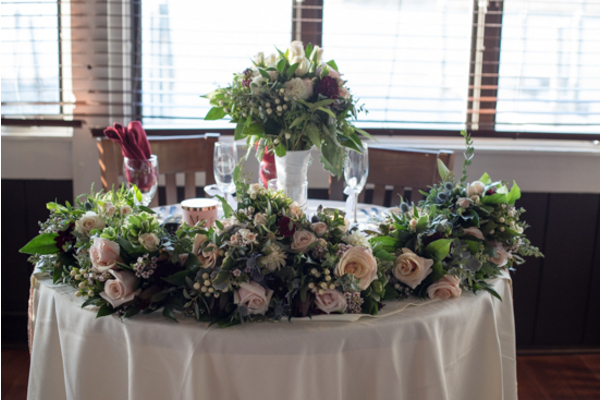 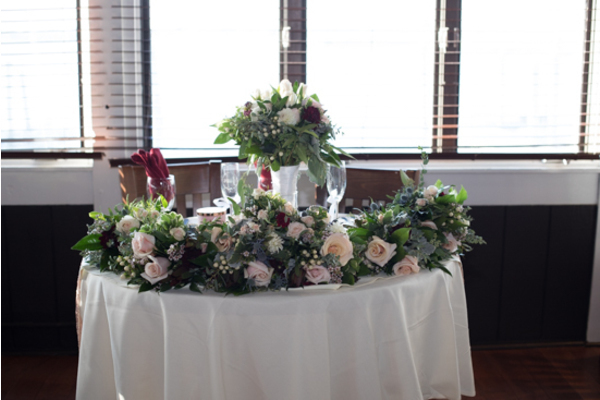 At last, Victoria and Nick entered their stunning reception. 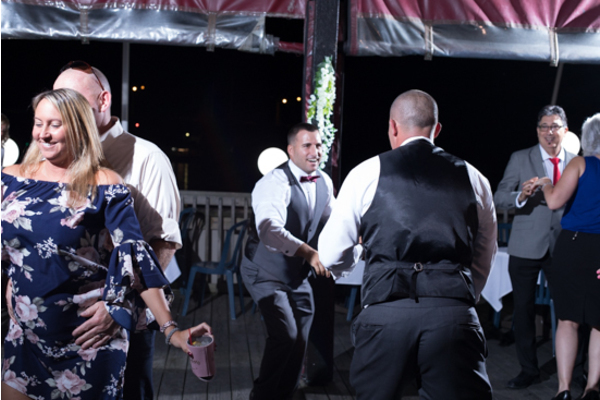 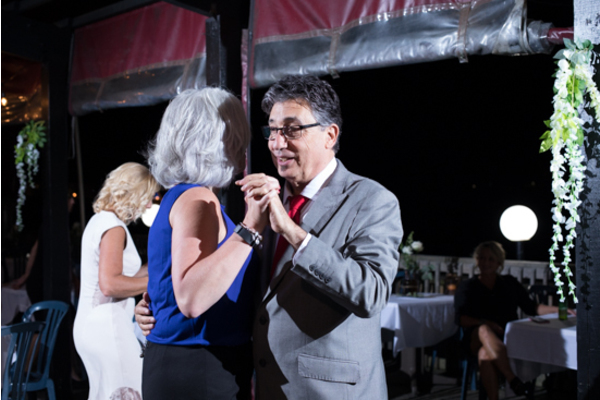 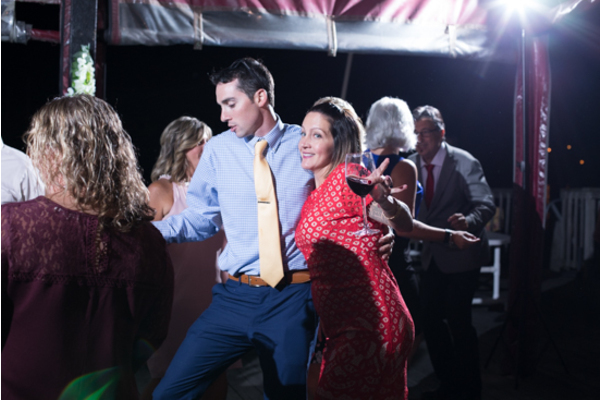 Our NJ Wedding Photographer photographed the remarkable first dance. 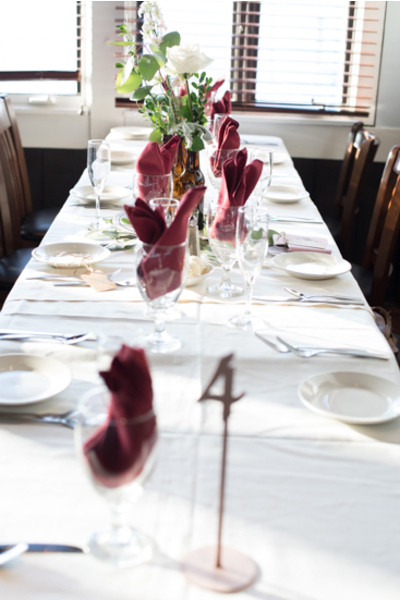 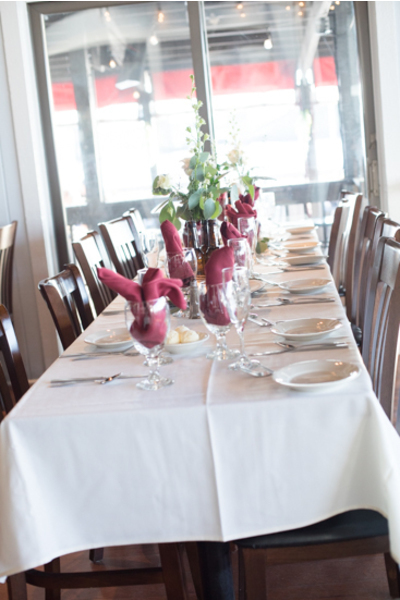 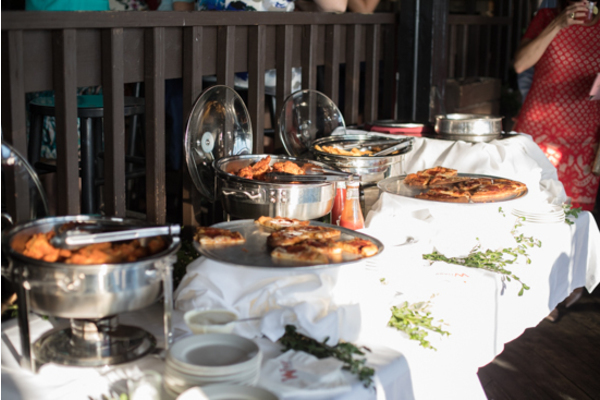 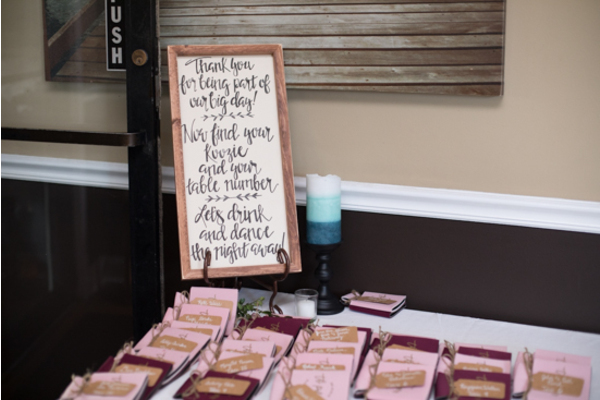 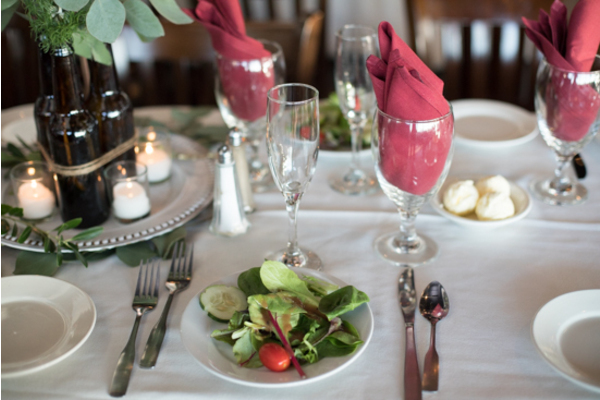 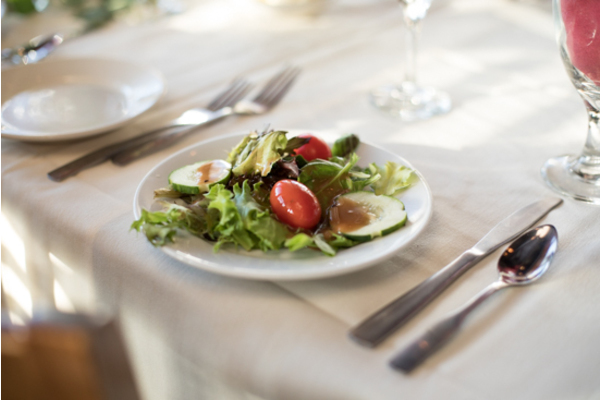 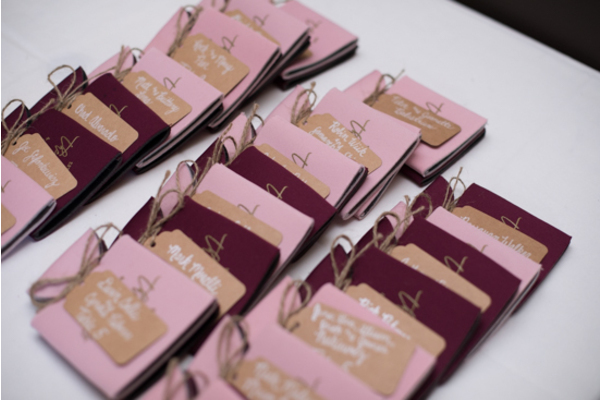 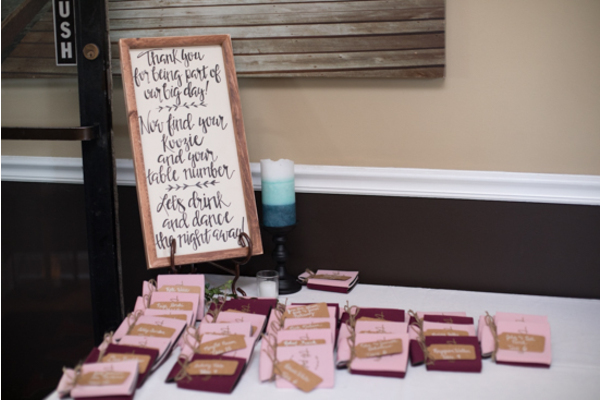 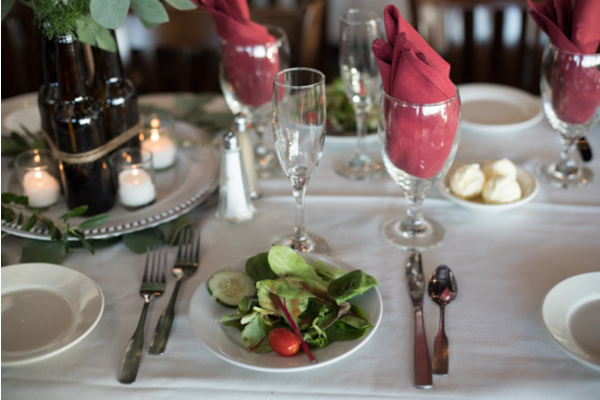 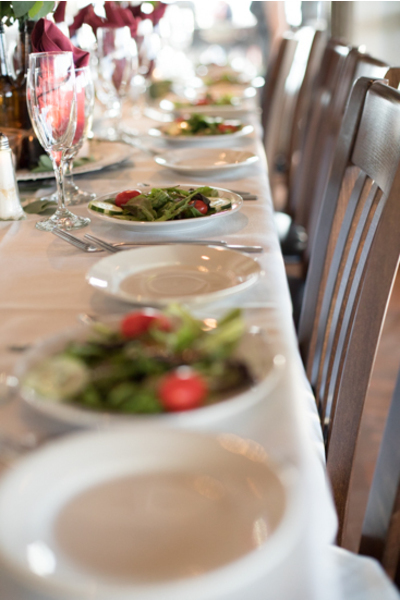 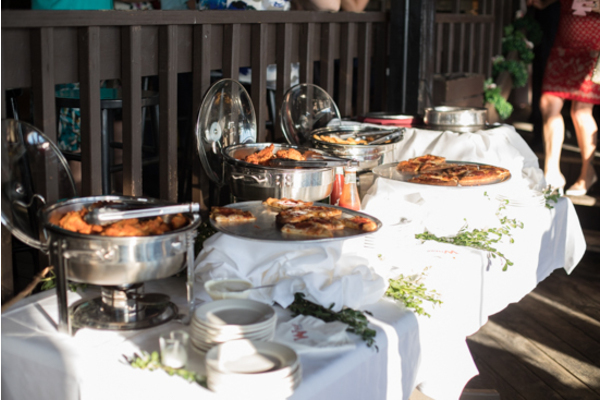 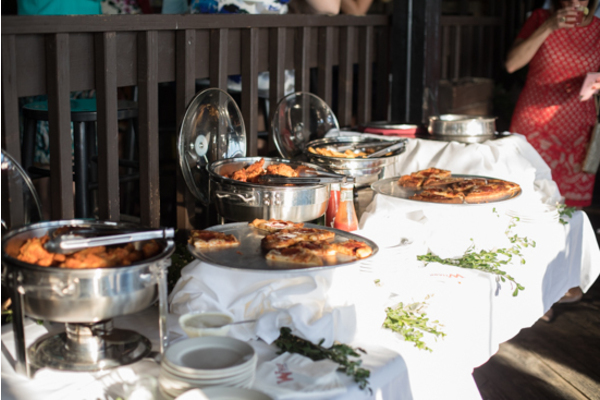 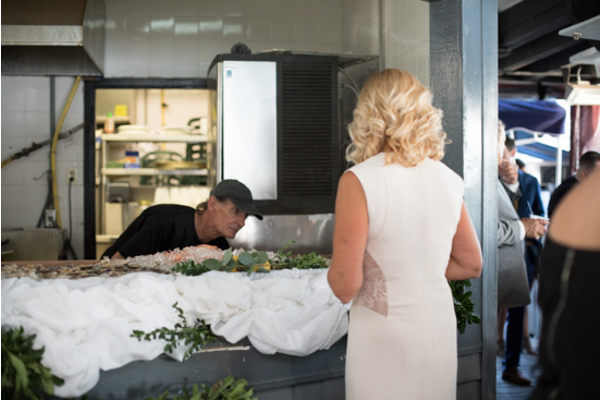 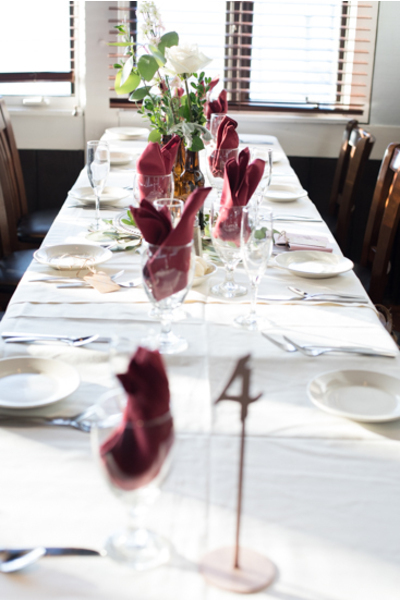 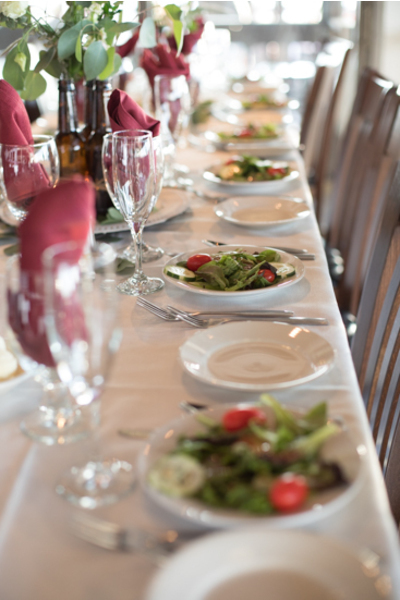 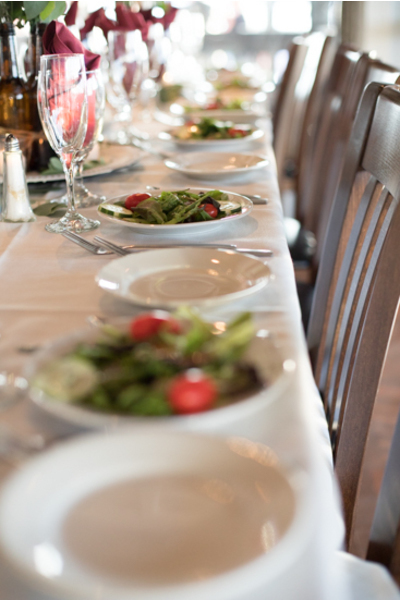 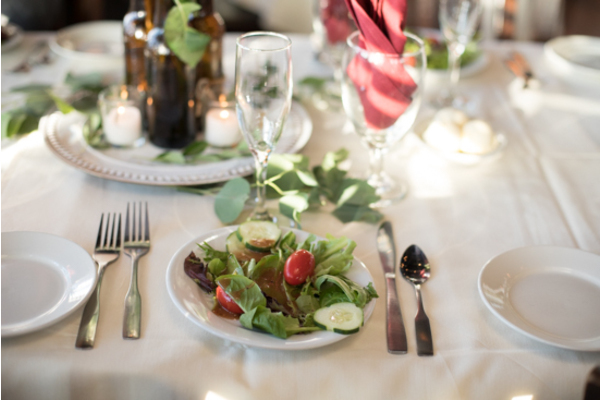 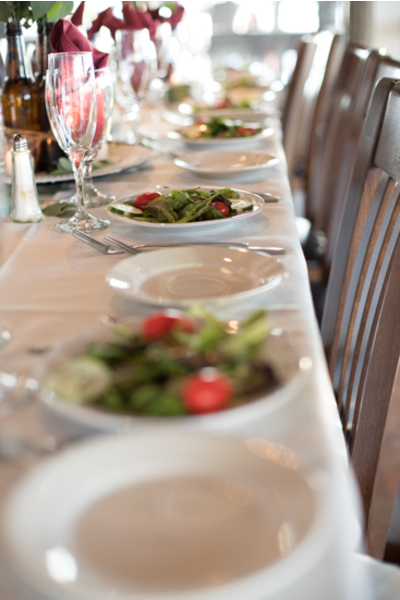 There were very memorable speeches, and the food was phenomenal! 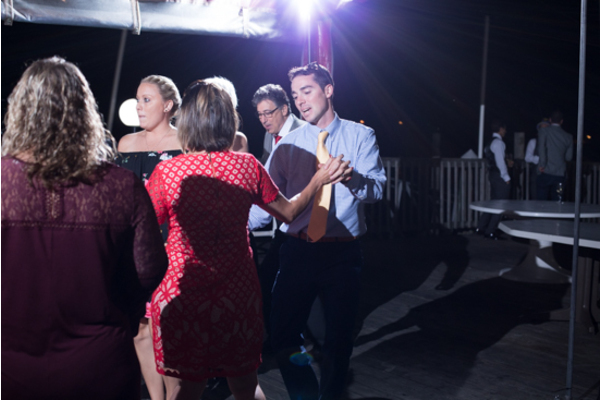 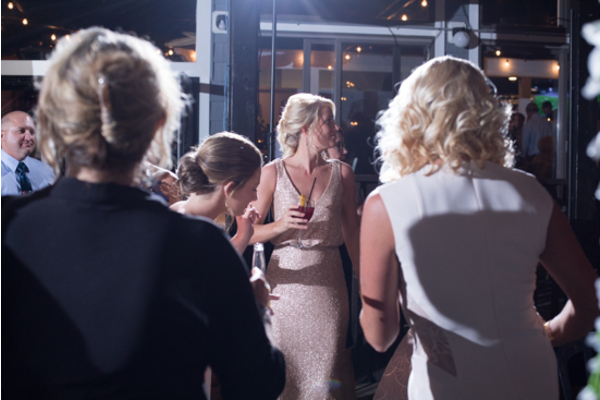 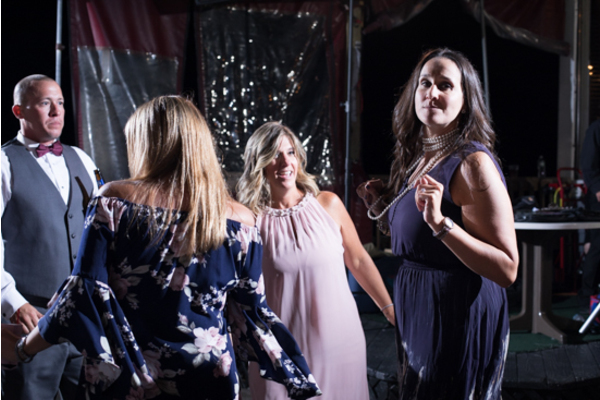 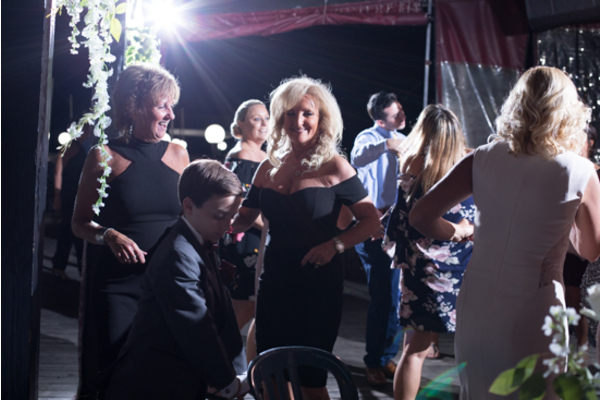 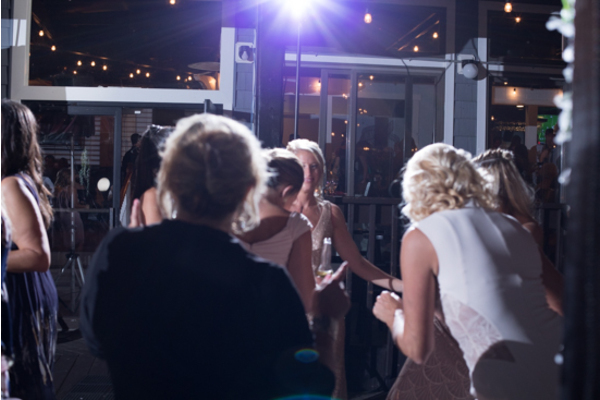 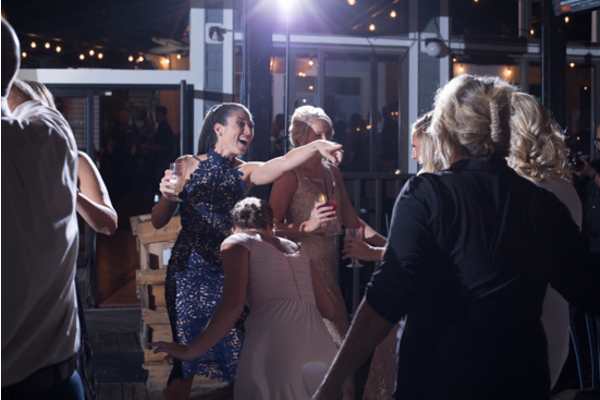 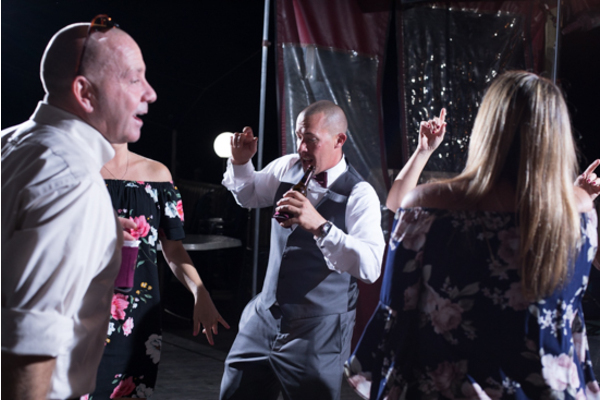 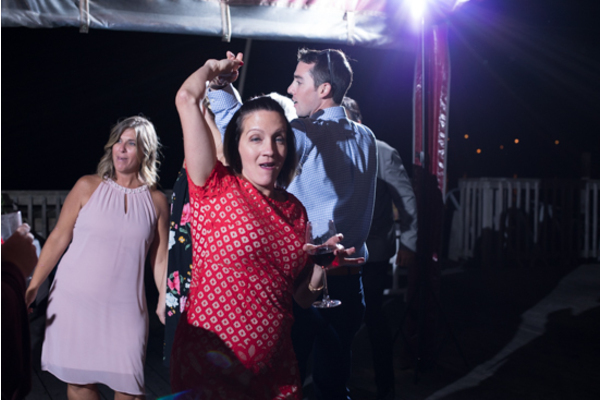 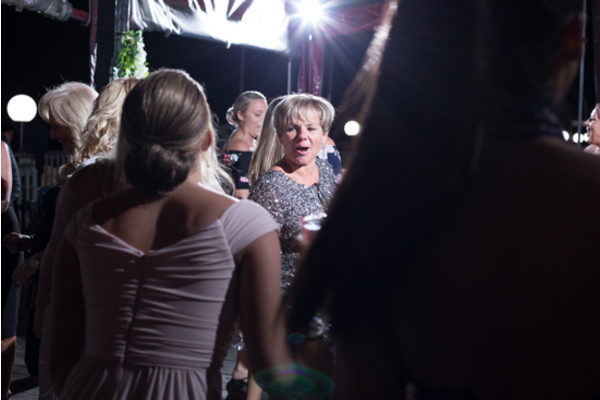 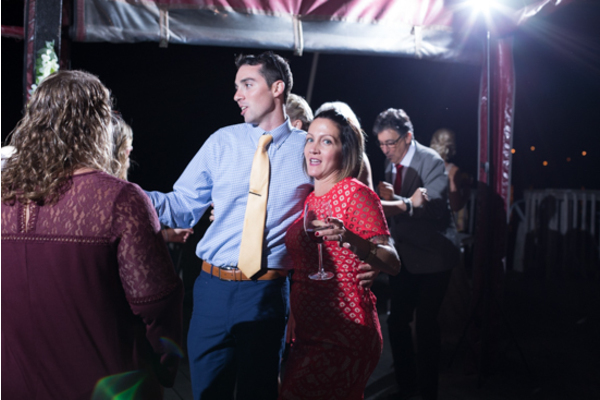 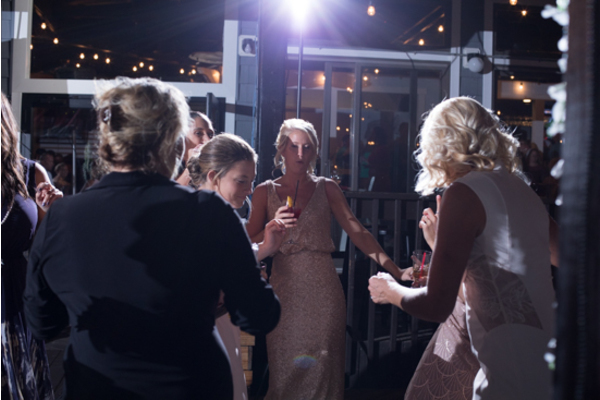 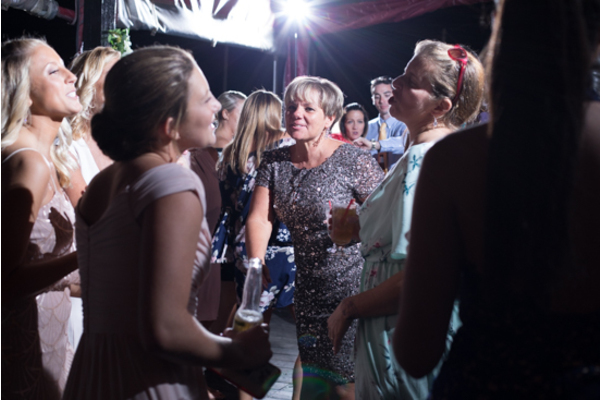 All the guests had tons of fun and danced the night away. 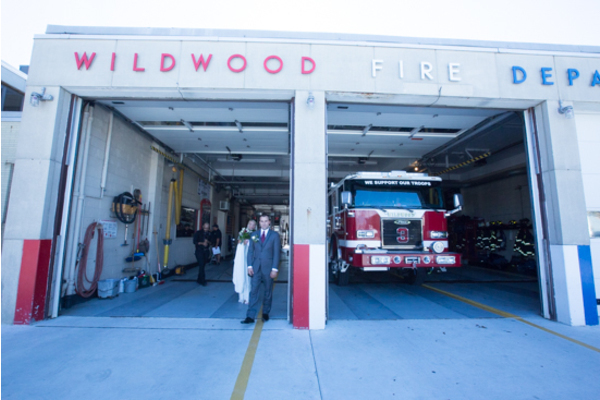 We are thrilled to have been a part of such a great day! 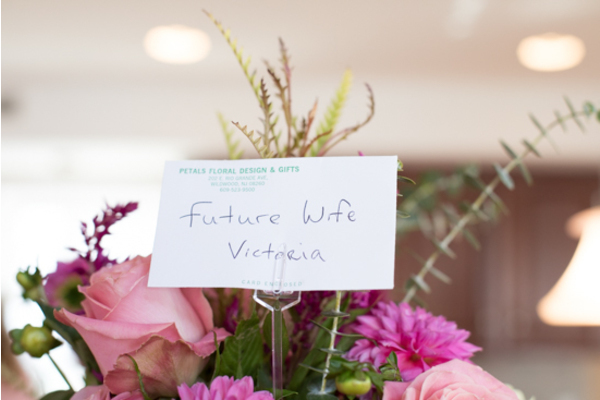 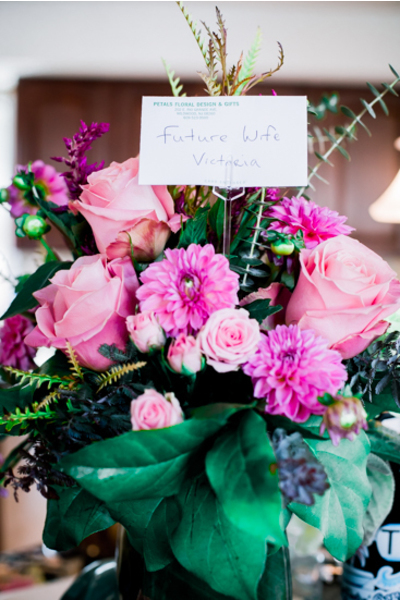 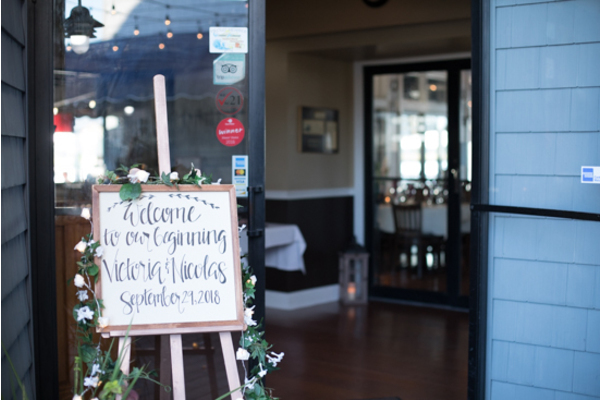 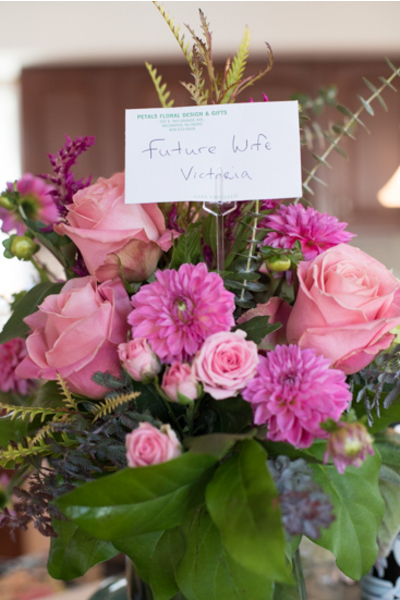 Congratulations, again, to Victoria and Nick! 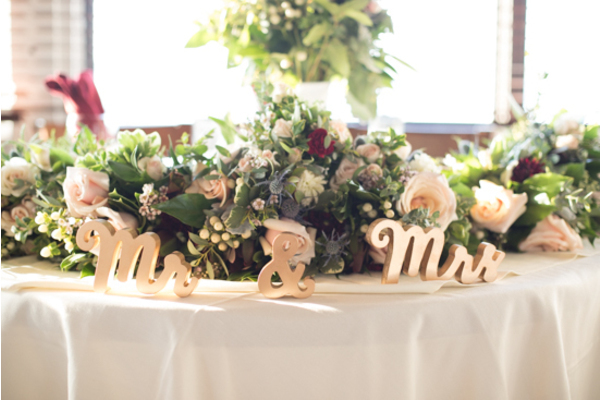 We wish you endless love and happiness!